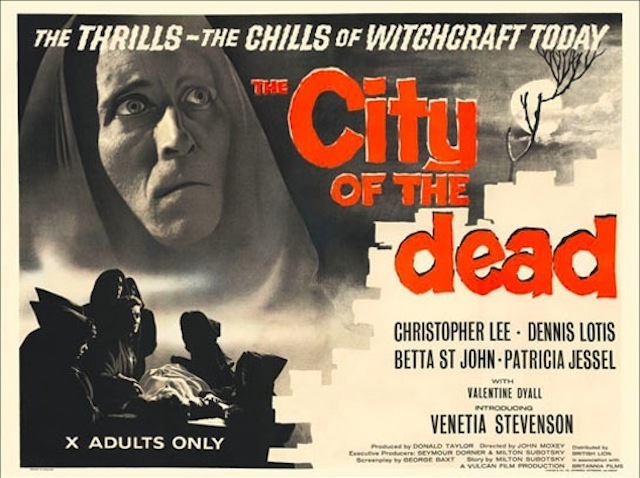 Remake of City of the Dead due out some time in 2013? 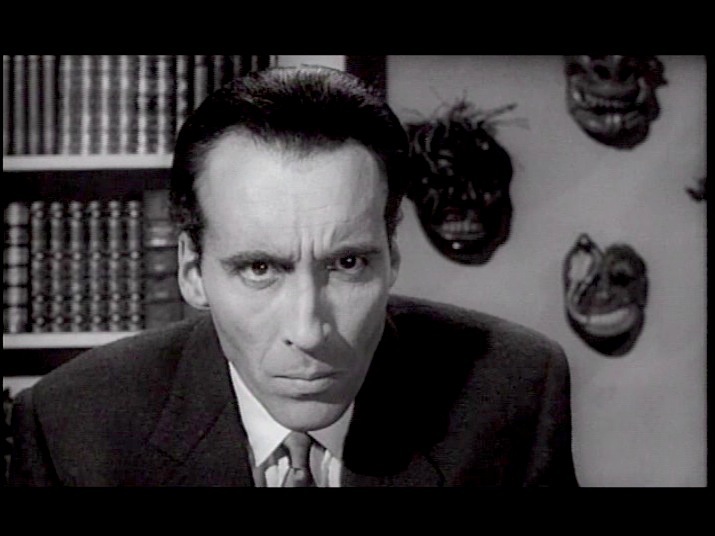 Horror Hotel or City of the Dead is also a story co-scripted by Milton Subotsky an American émigré who relocated to England and eventually took over as the head founder of Amicus the only true rival to Hammer Studios Gothic series of films at the time. 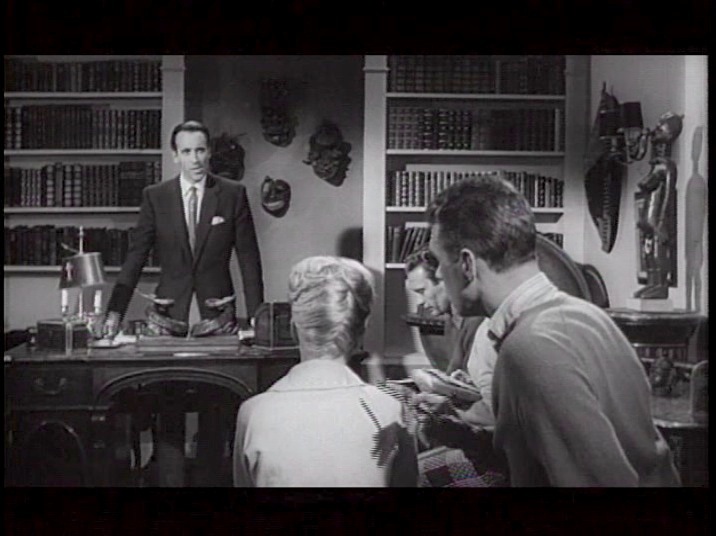 Horror Hotel was their first film made by the company then called Vulcan Productions. 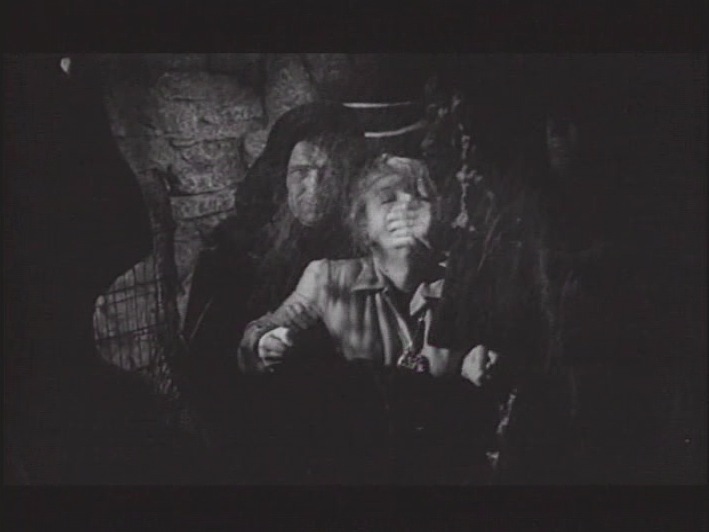 Subotsky was also the uncredited producer on the film. 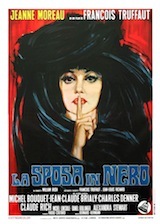 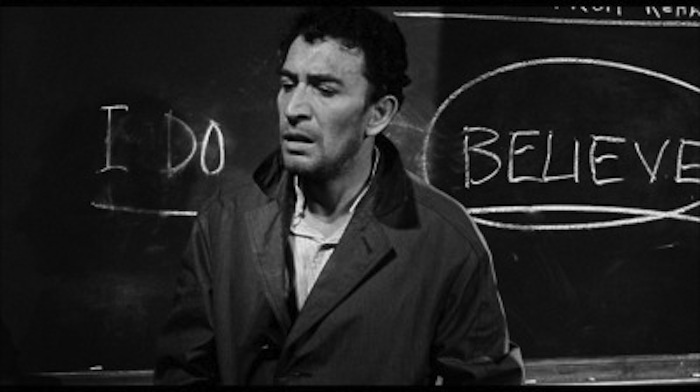 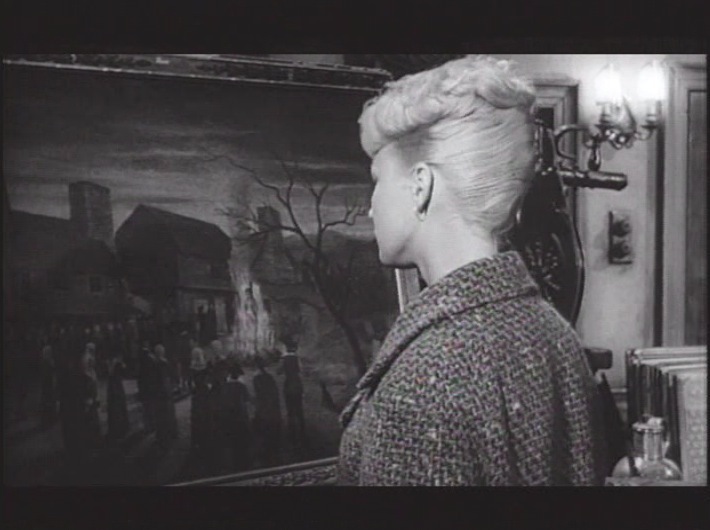 Released in the states with the title Horror Hotel the film used the inane catch phrase “Just Ring For Doom Service” which is unfortunate as it downplays the truly profound artistic quality of the film’s visual narrative. 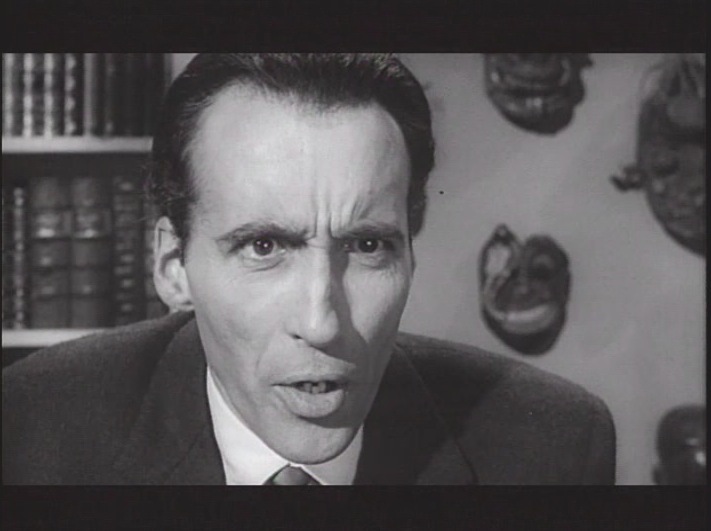 The film also marks the first appearance of Christopher Lee in the Satanic Cinema genre. 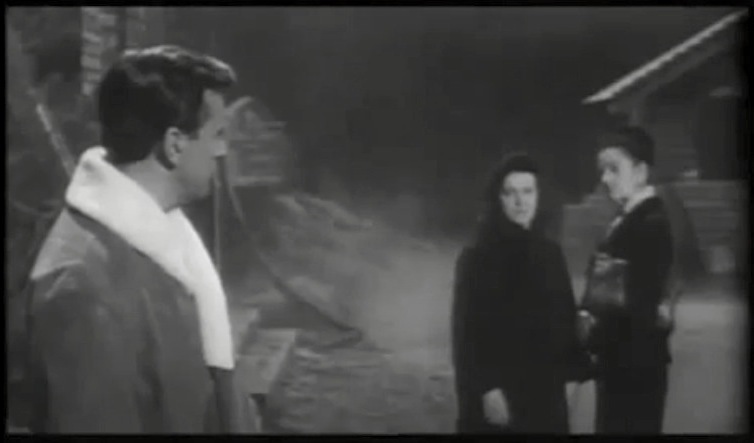 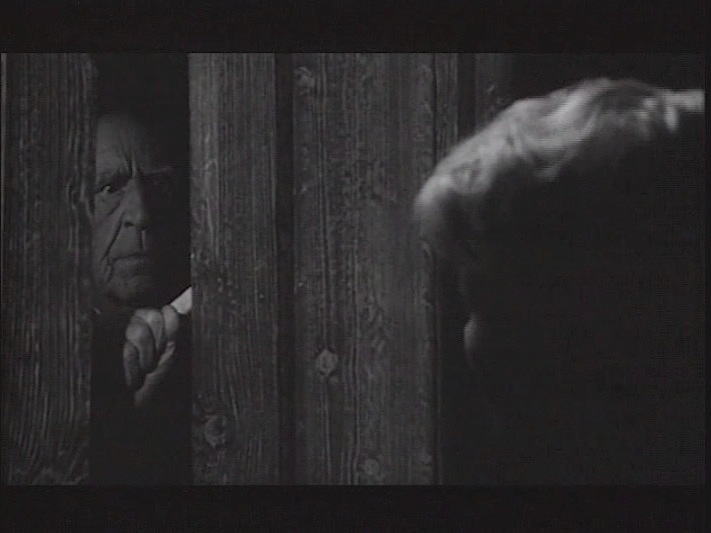 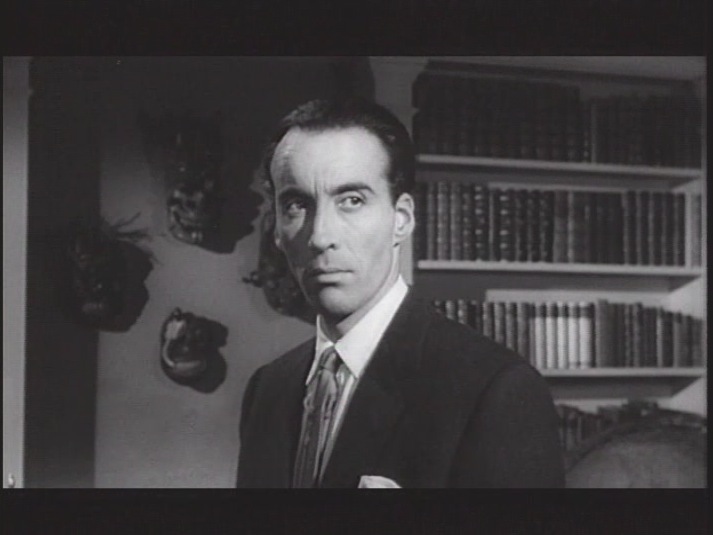 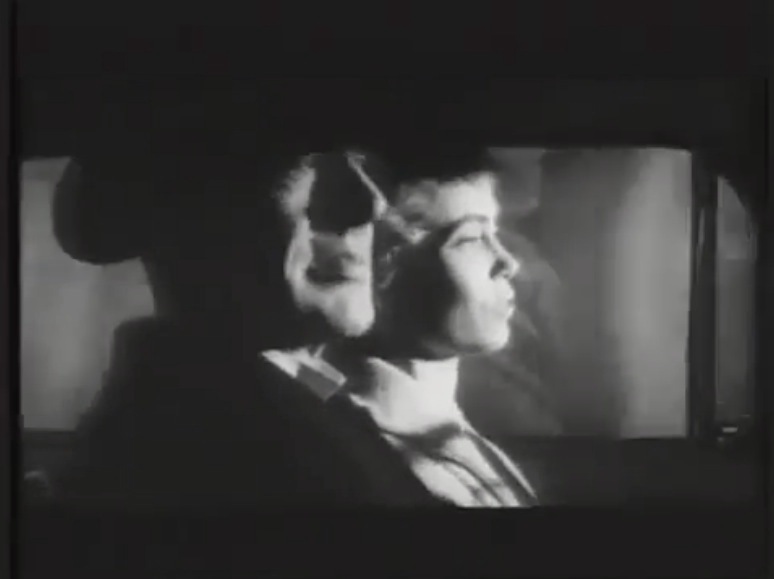 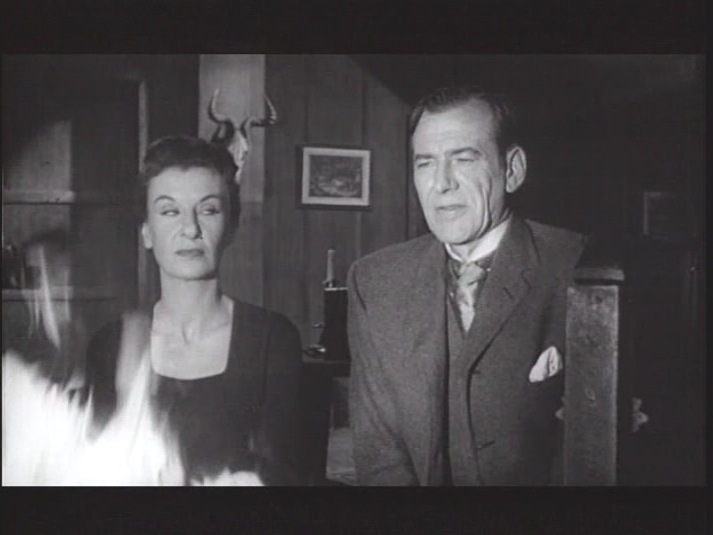 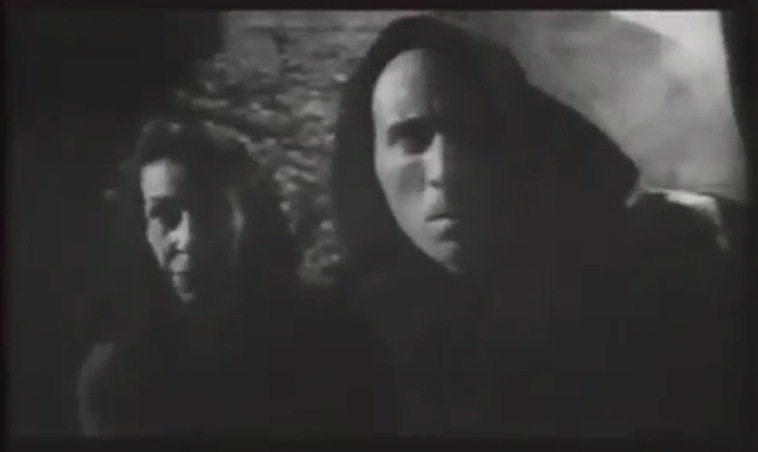 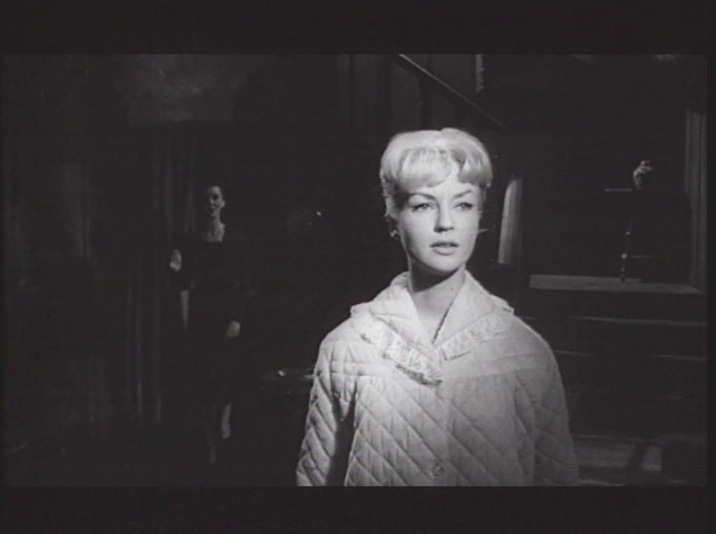 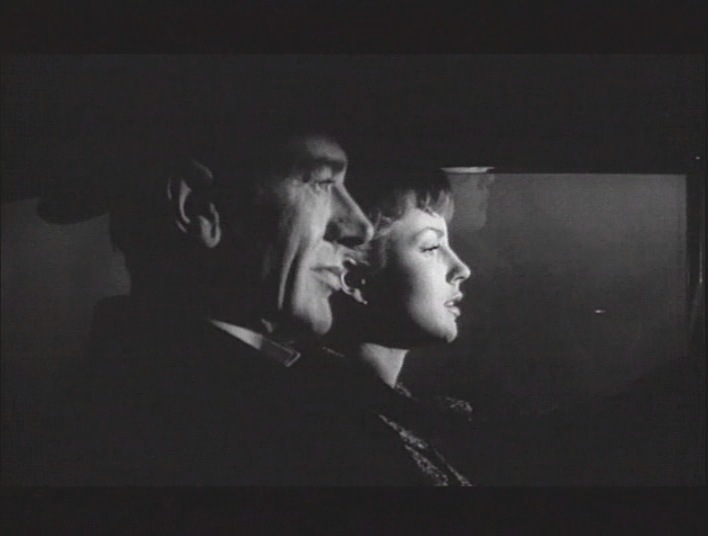 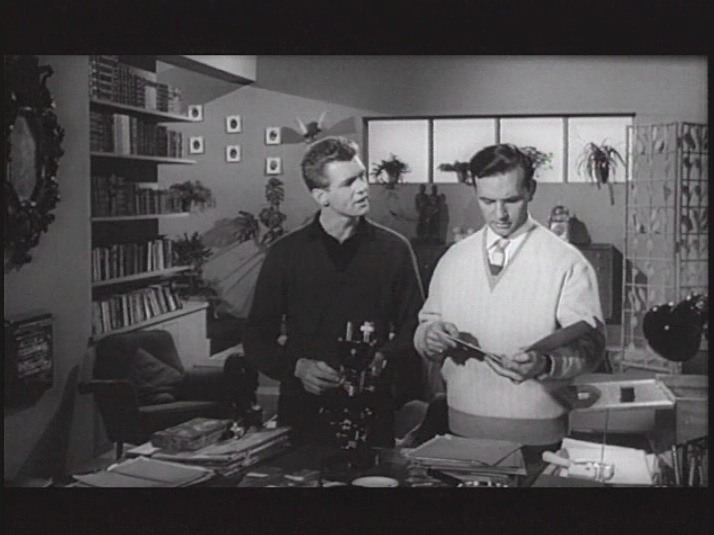 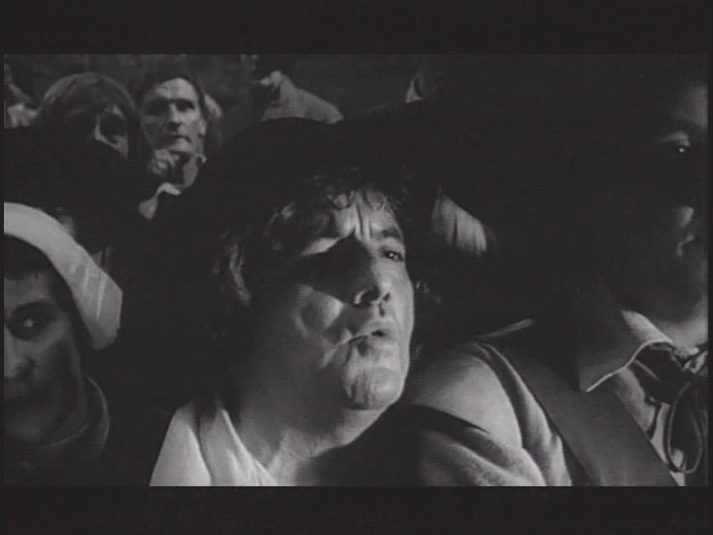 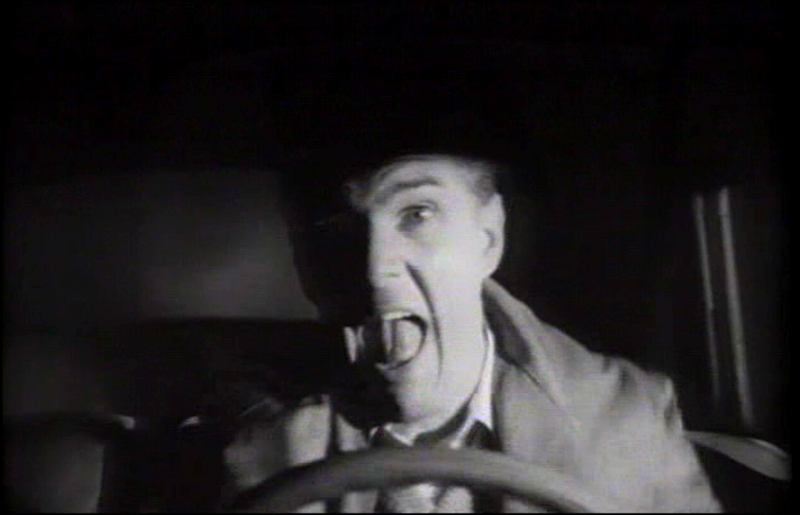 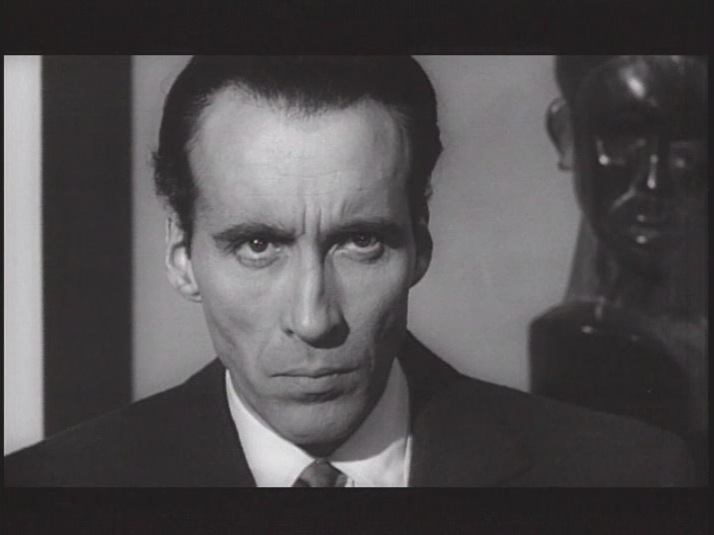 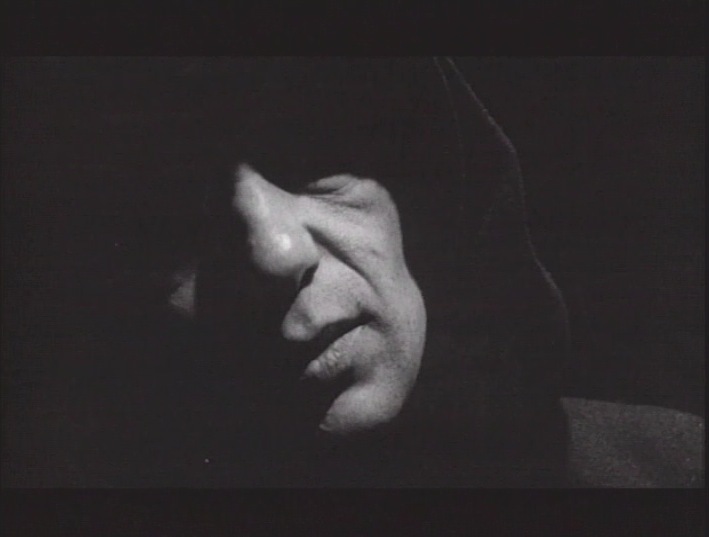 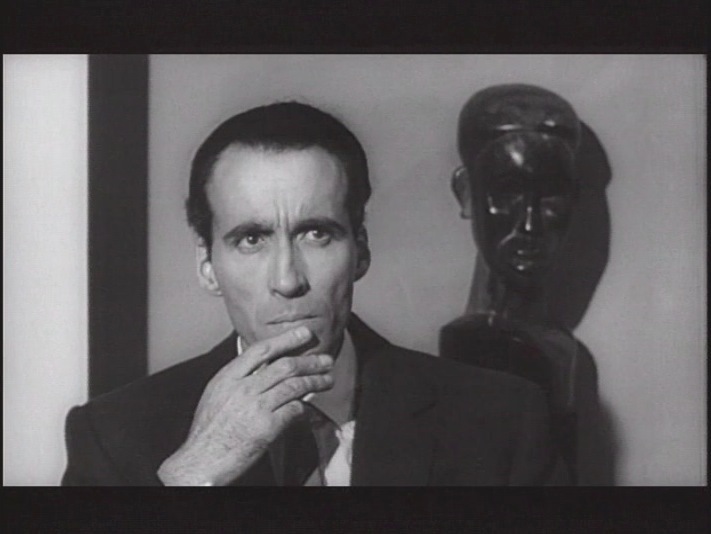 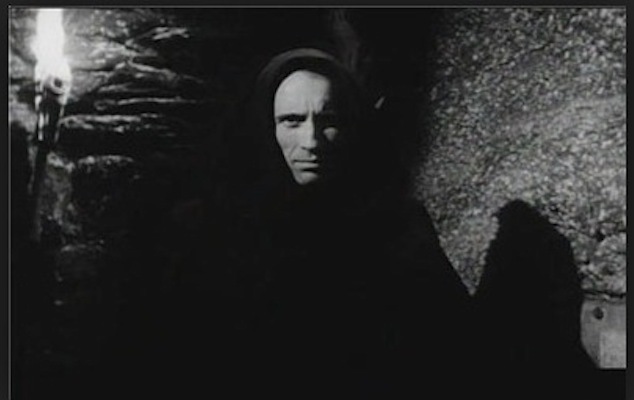 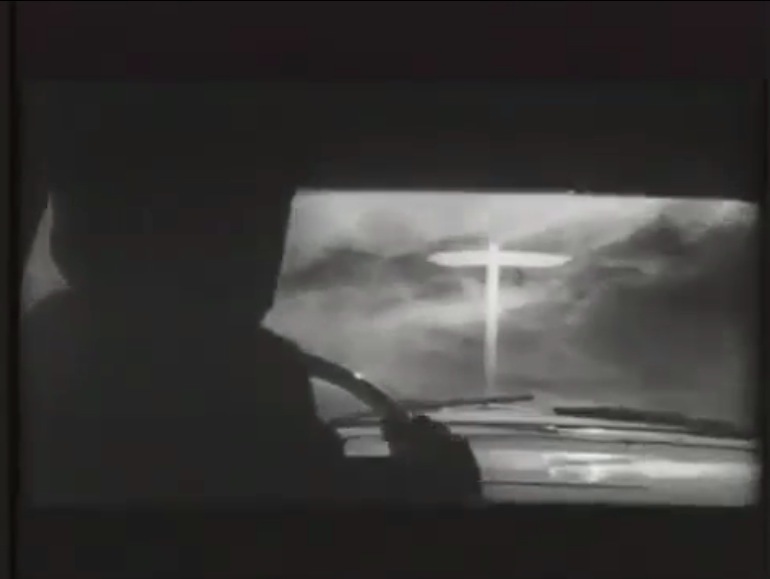 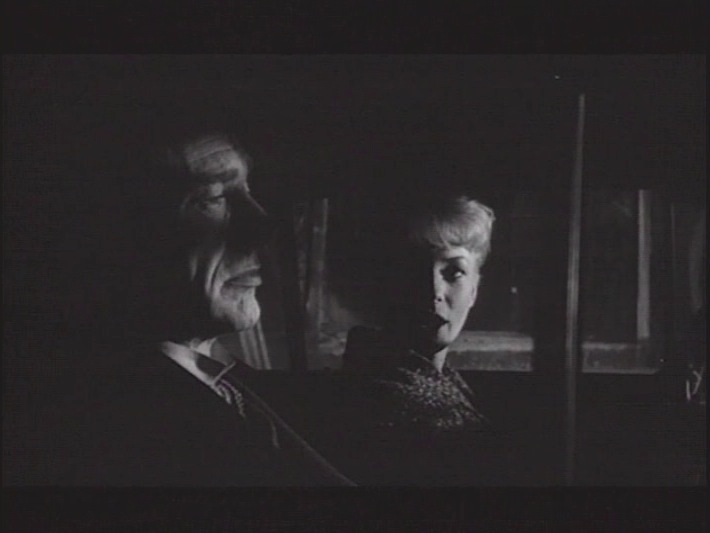 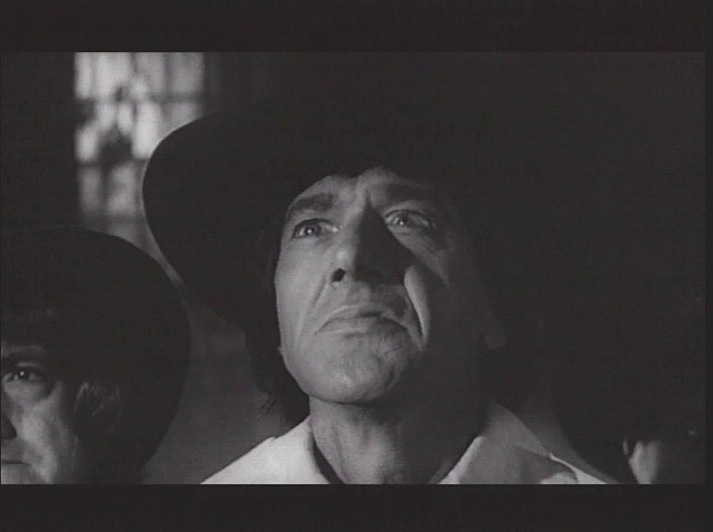 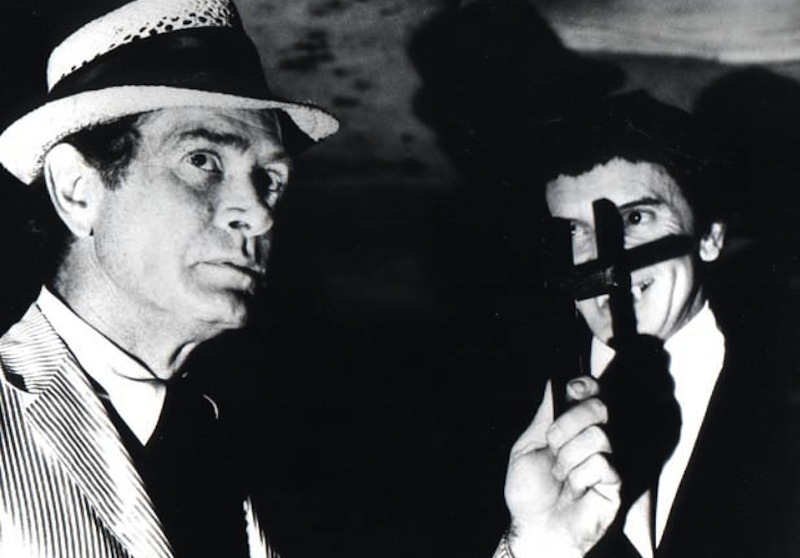 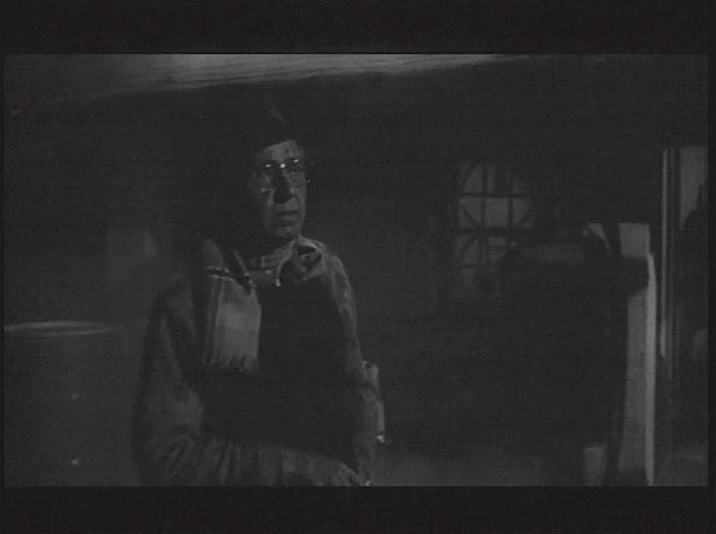 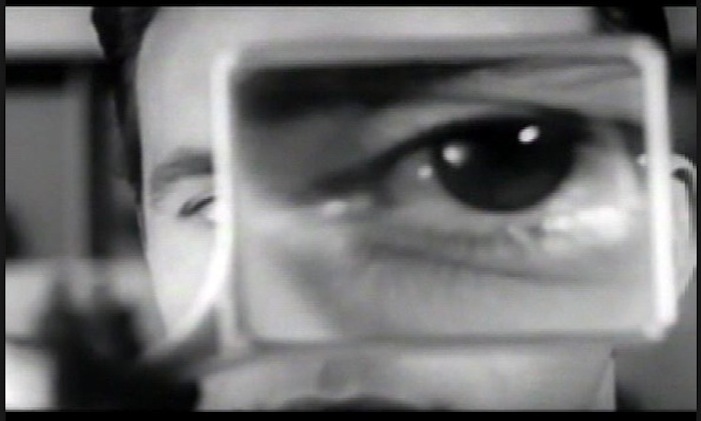 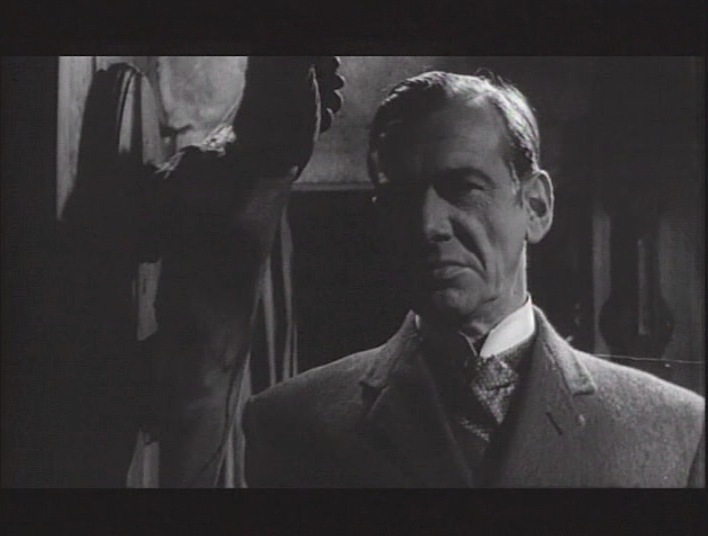 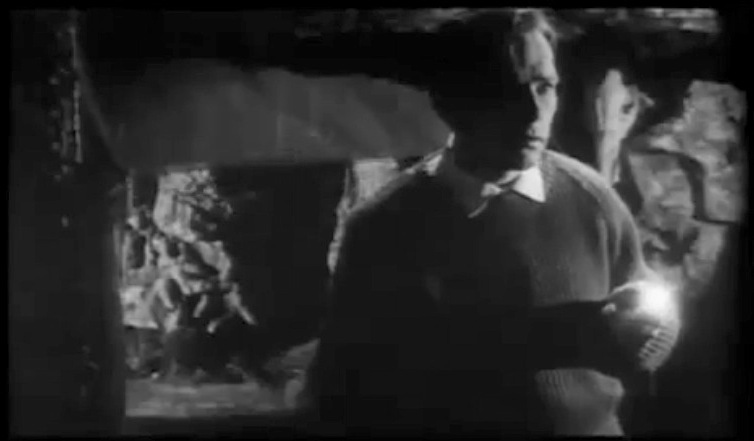 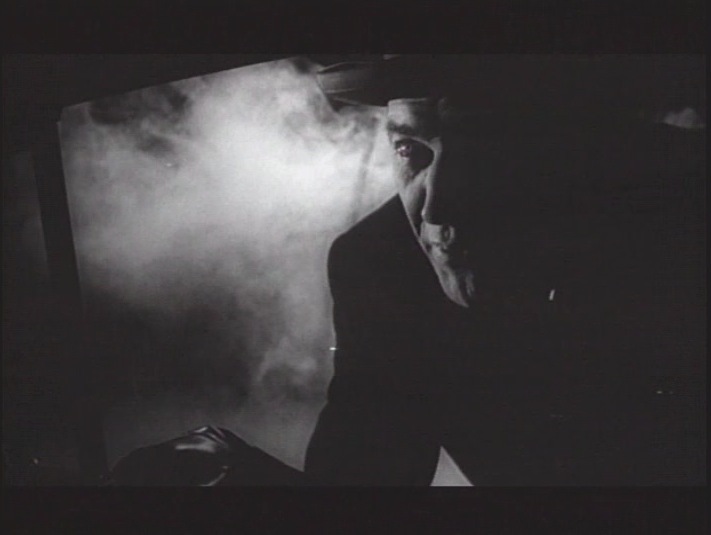 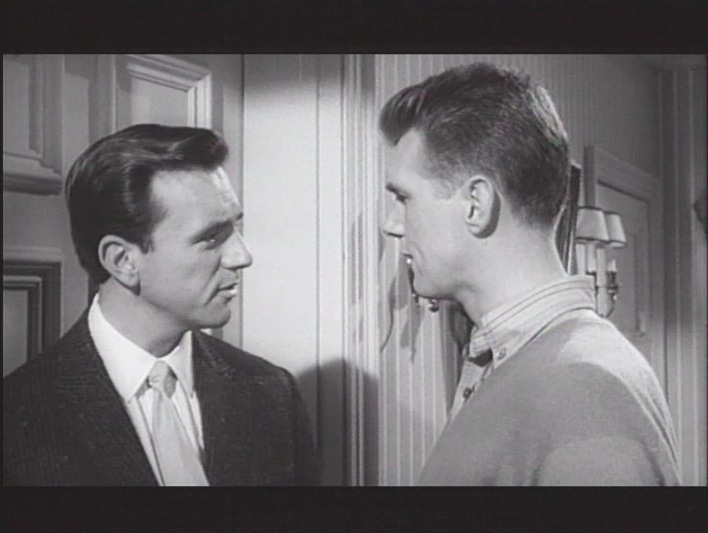 Then Lee appeared in The Alfred Hitchcock Hour‘s quite interesting occult themed sequence rather than Hitch’s usual mystery methodology, an episode entitled, The Sign of Satan (released May 8, 1964 from Season 2 episode 27) where Christopher Lee plays the mysterious foreign actor Karl Jorla in a episode that also dealt with devil worship. 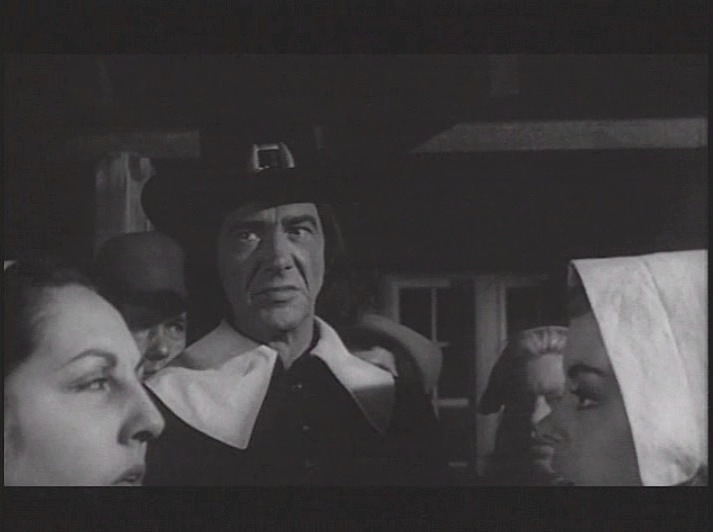 Horror Hotel was filmed on a sound stage in England, with an all British cast, yet the plot was set in an obscure village in America’s provincial Massachusetts for it’s historical relationship to the Salem Witch Trials and the mystique of the witchcraft frenzy that was so pervasive during the Puritanical 17th Century. 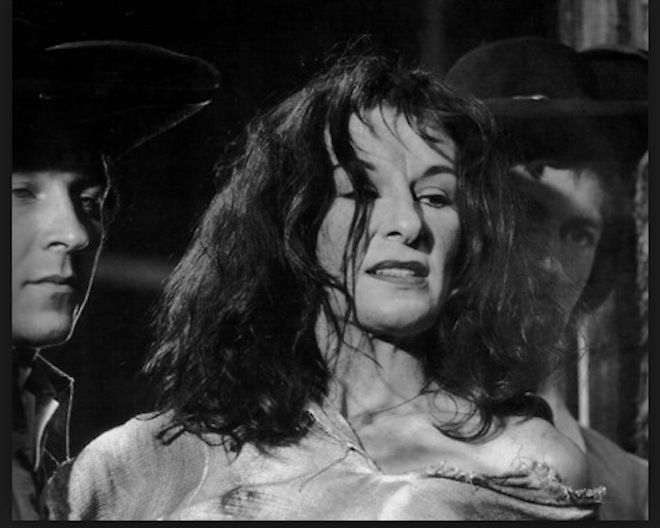 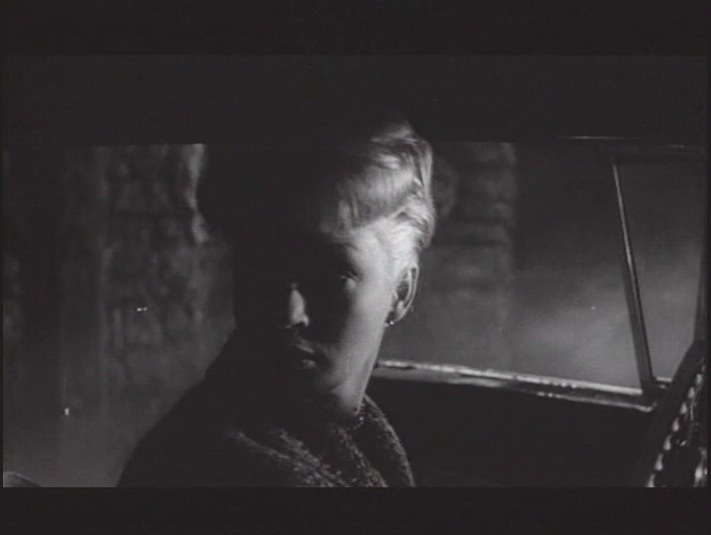 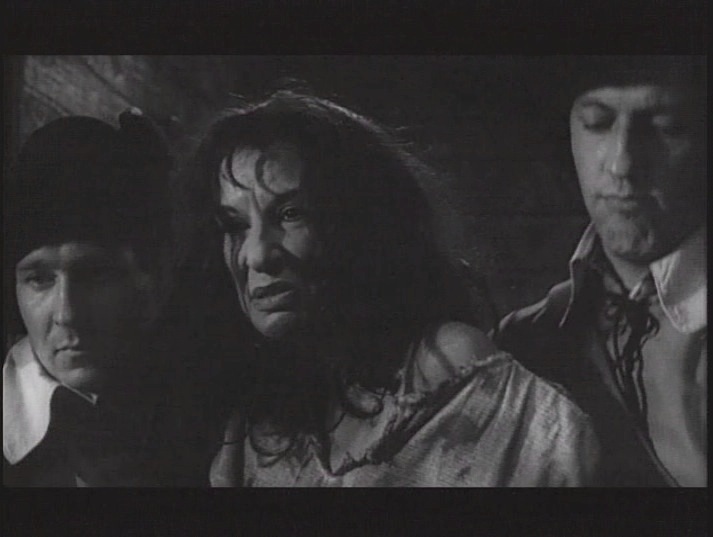 With a haunting bit of cinematography by Desmond Dickinson (Olivier’s Hamlet 1948, Horrors of the Black Museum 1959, the noir classic The Frightened City 1961, A Study in Terror 1965, one of my guilty pleasures which is Beast in the Cellar 1970, Who Slew Auntie Roo 1972 with my one of my favs Shelley Winters and Beware My Brethren 1972) and art direction by John Blezard and Original music by Douglas Gamley. 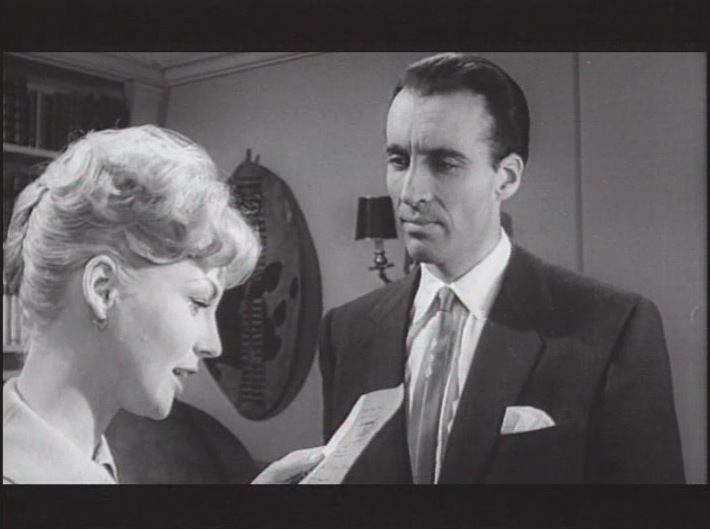 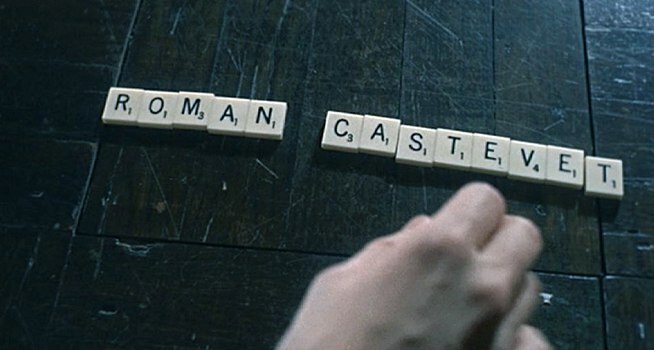 The cast includes Christopher Lee as Professor of Demonology Alan Driscoll, Dennis Lotis as Richard Barlow and Venetia Stevenson as avid student Nan Barlow. 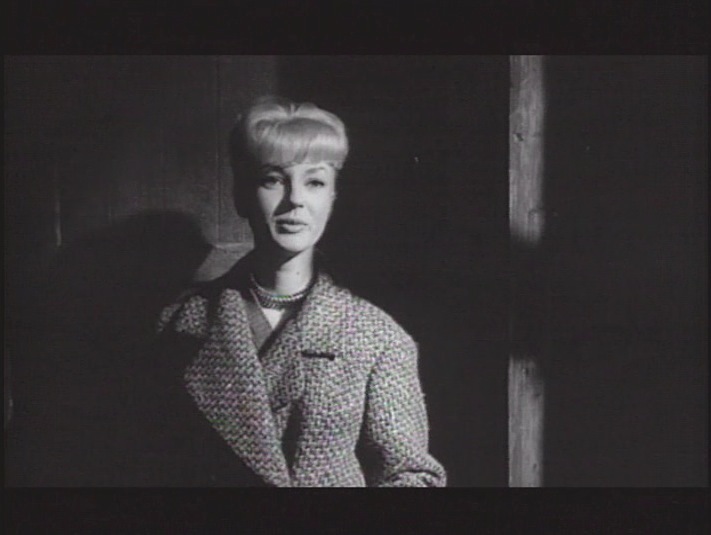 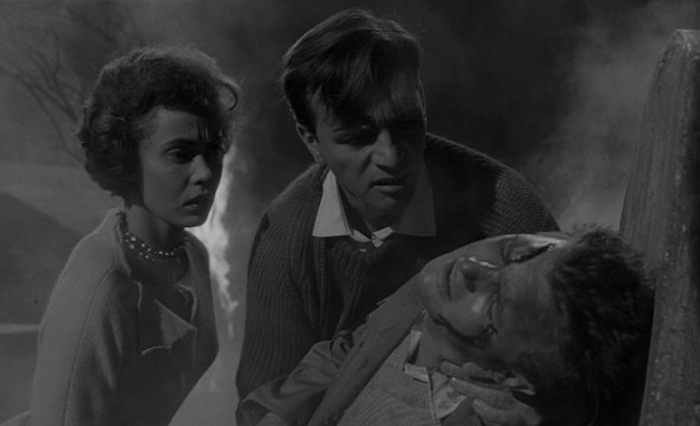 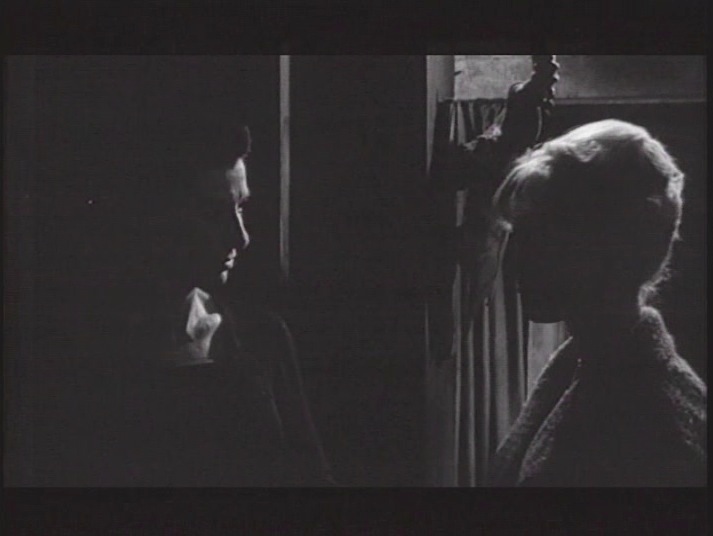 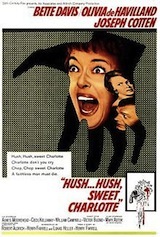 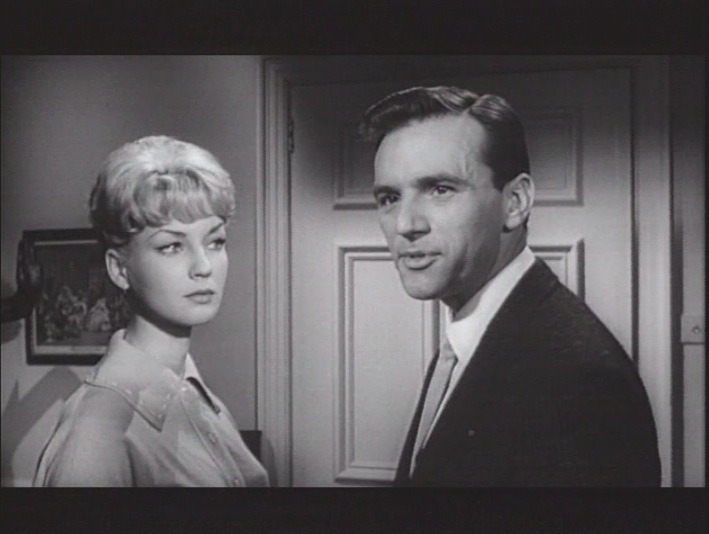 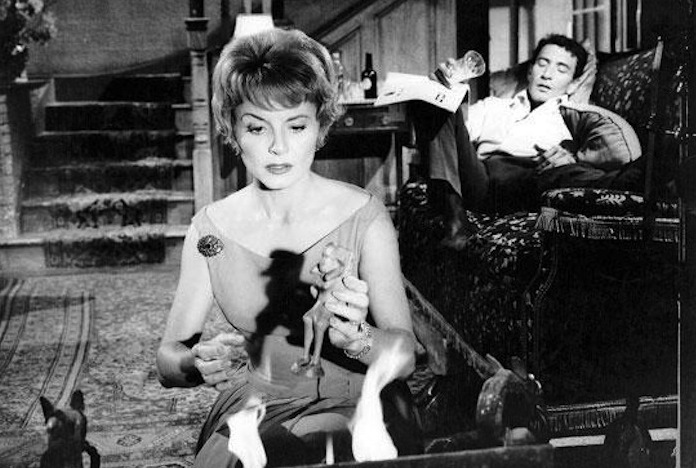 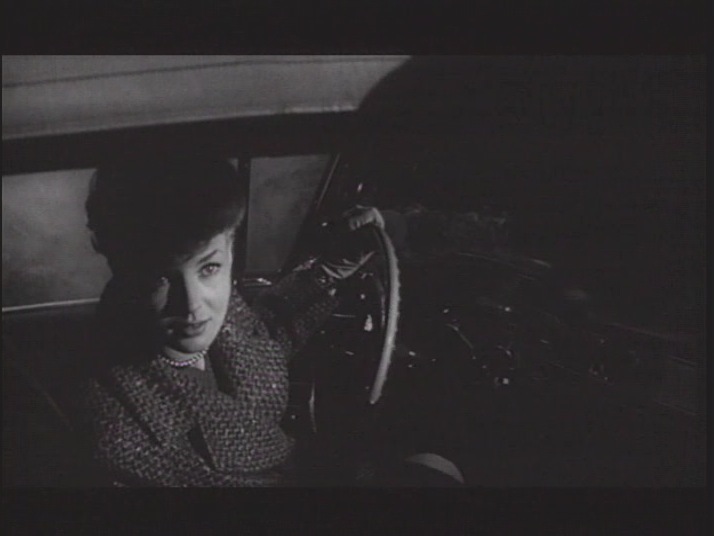 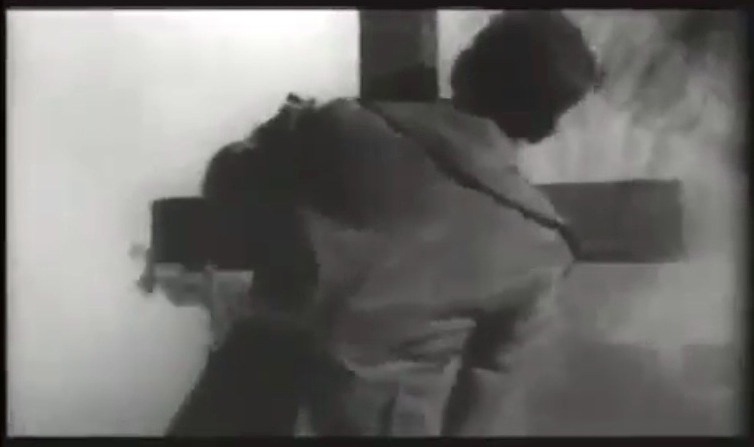 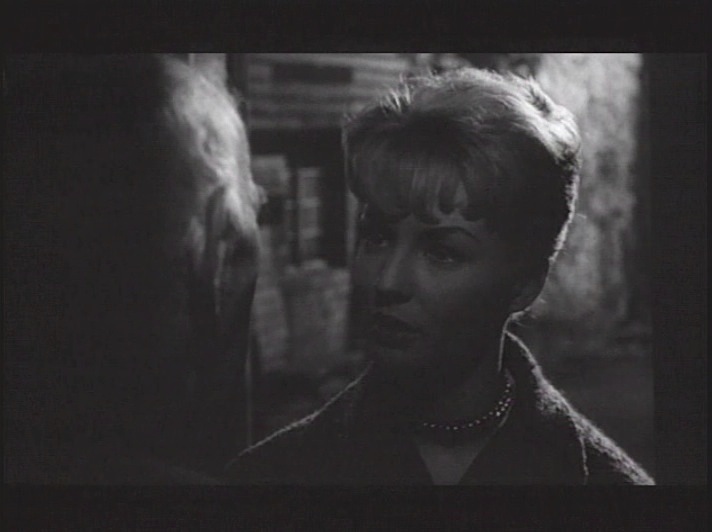 Interestingly enough, it’s quite shocking that the script actually kills off the supposed heroine Nan within the first 30 minutes of the film, much like Janet Leigh’s character Marion Crane in Alfred Hitchcock’s Psycho 1960. 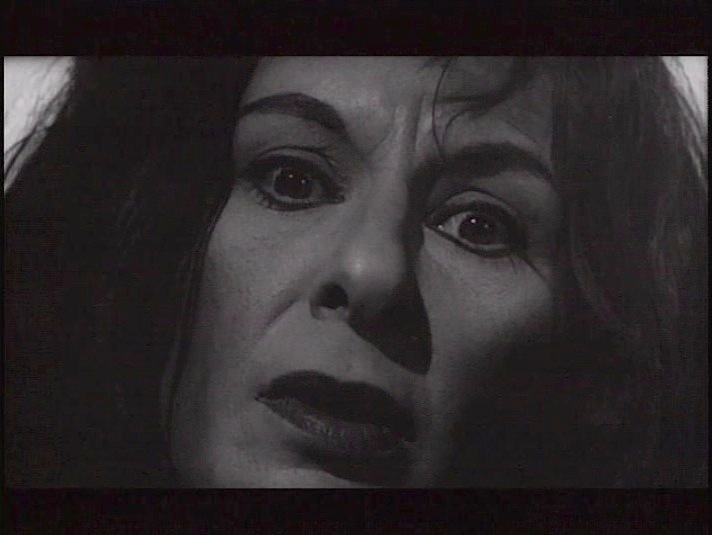 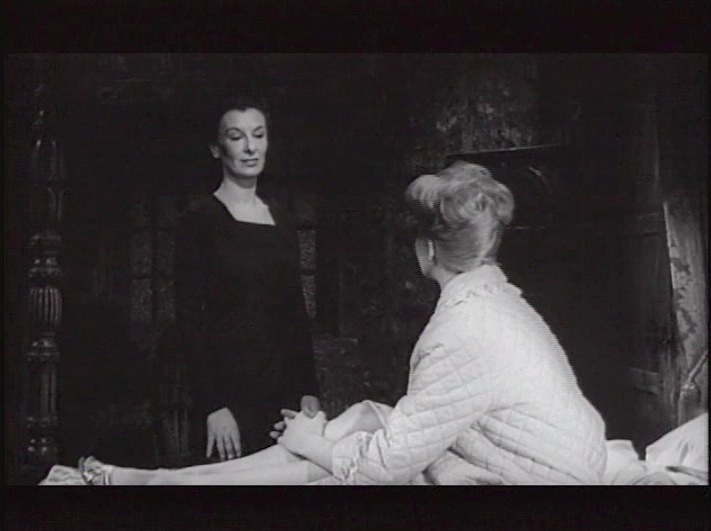 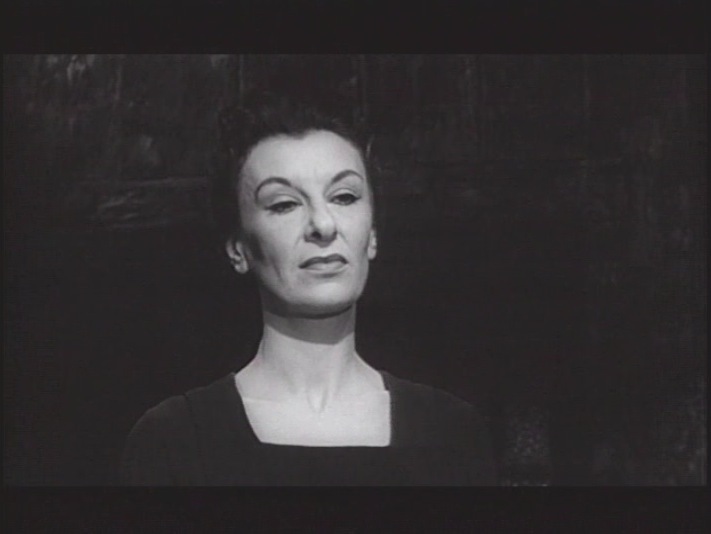 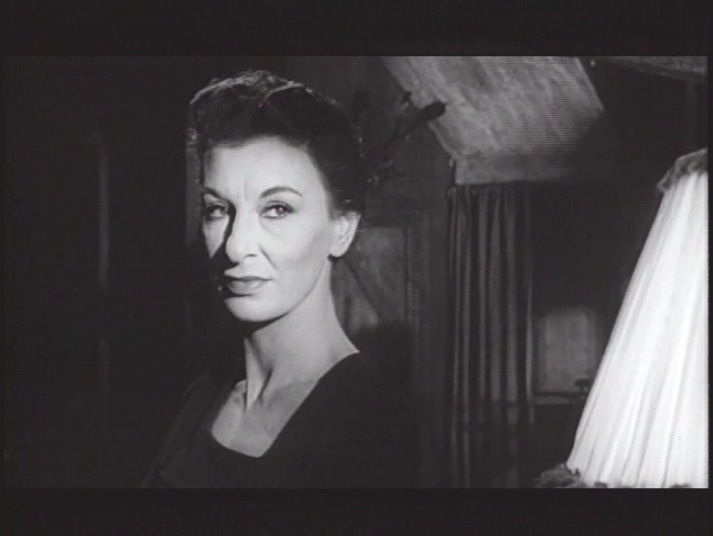 Patricia Jessel is the imposing Elizabeth Selwyn/Mrs.Newlis an obvious anagram for the 300 year old witch much like name switcheroo used by Sidney Blackmer’s Roman Castevet in Rosemary’s Baby 1968. 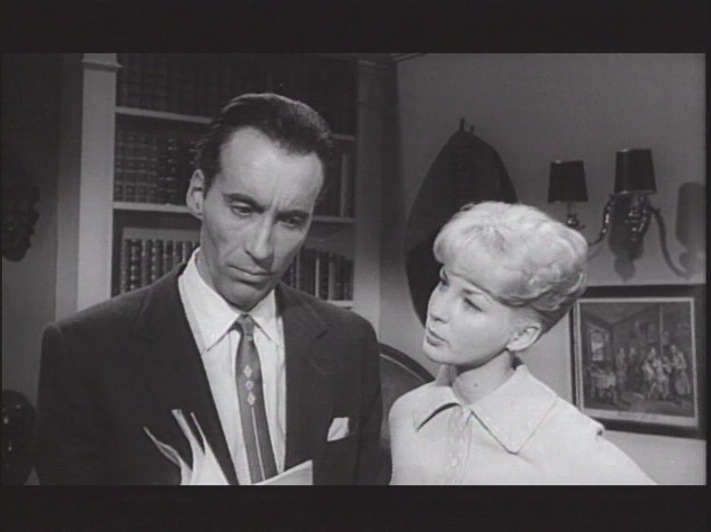 Tom Naylor plays Bill Maitland Nan’s prowess boyfriend. 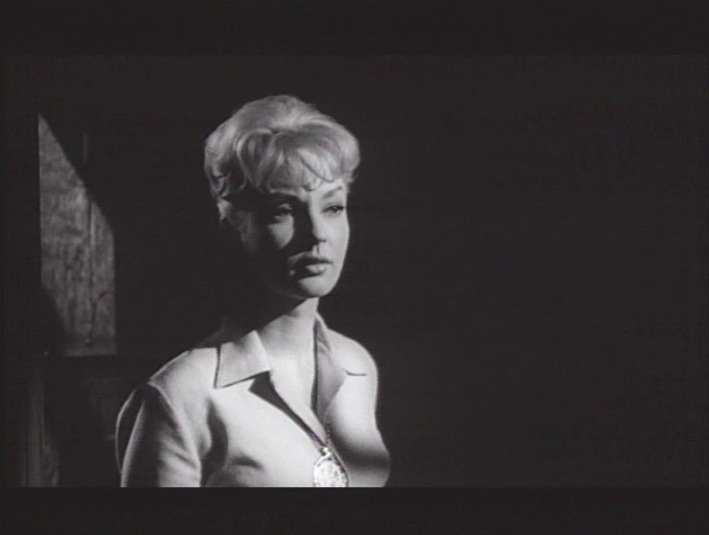 Betta St. John is Patricia Russell the granddaughter of the blind Reverend Russell played by Norman Macowan. 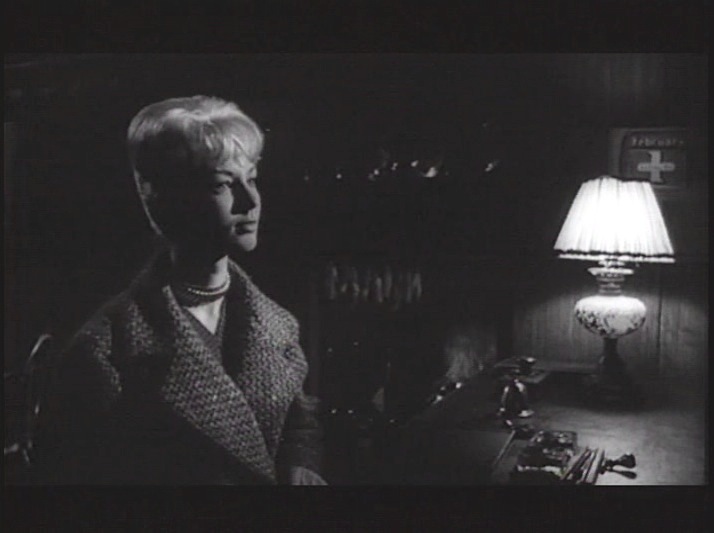 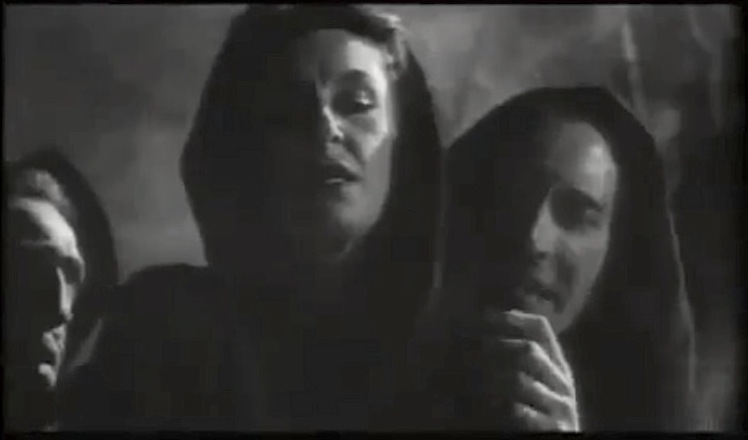 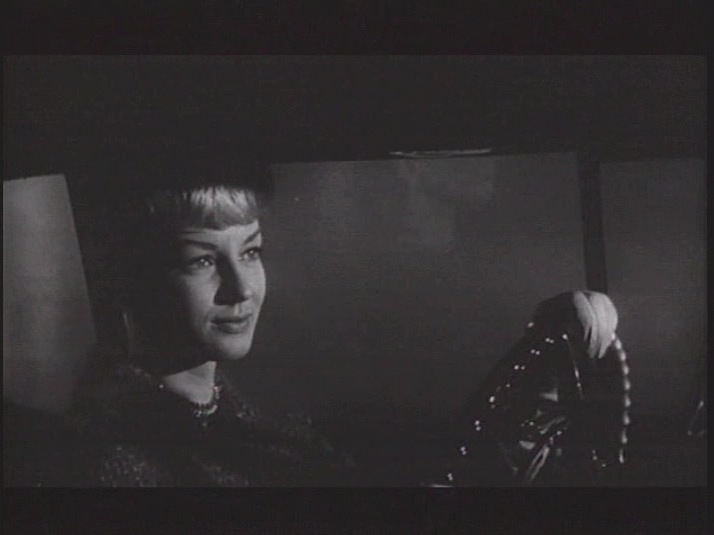 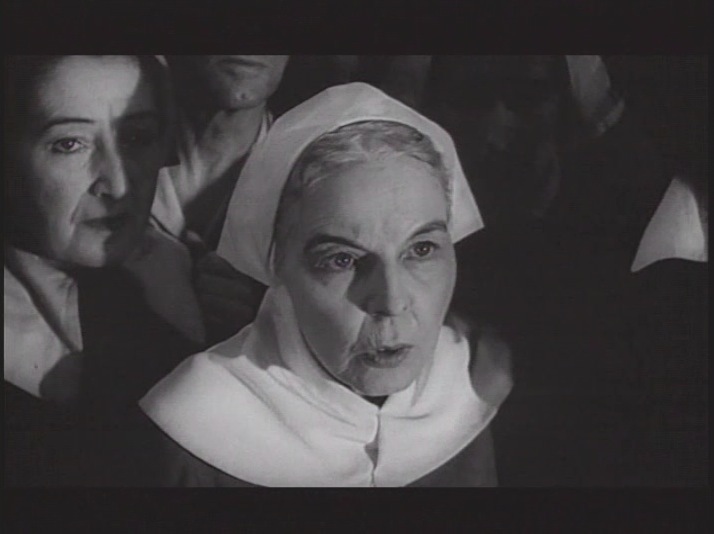 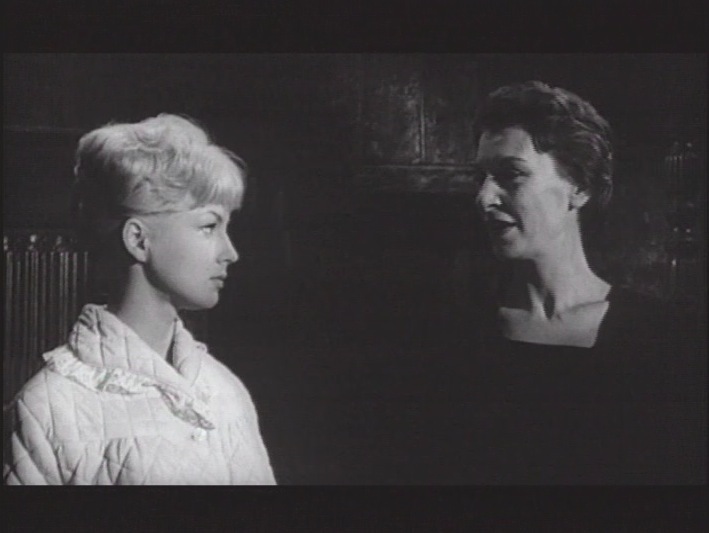 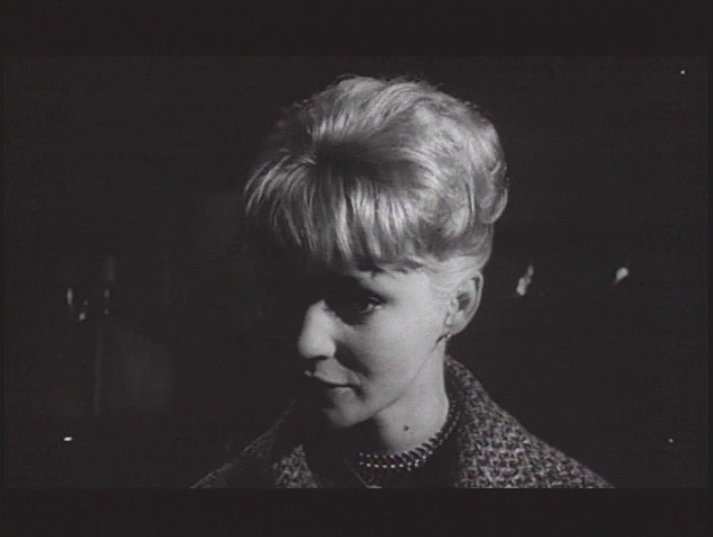 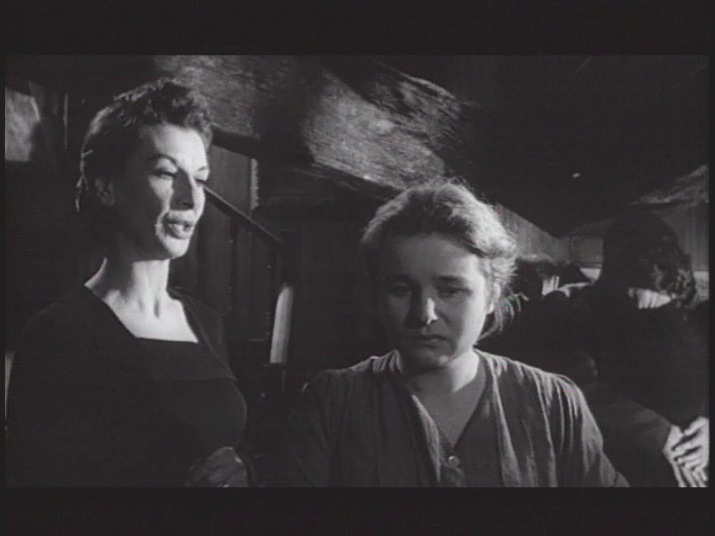 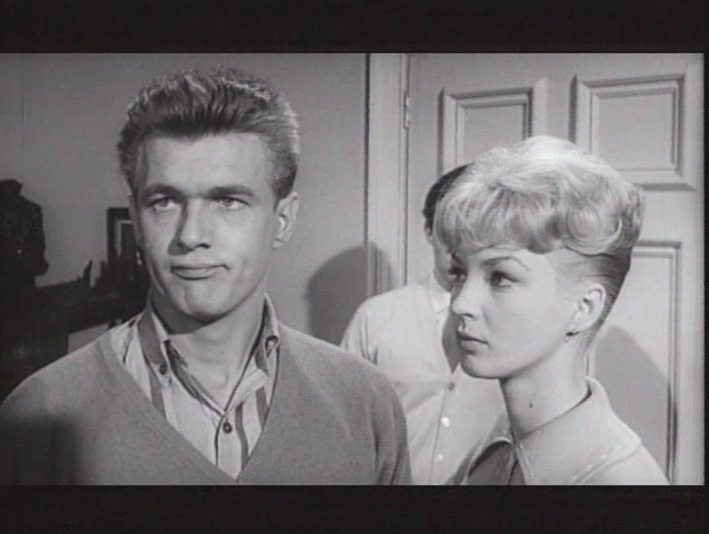 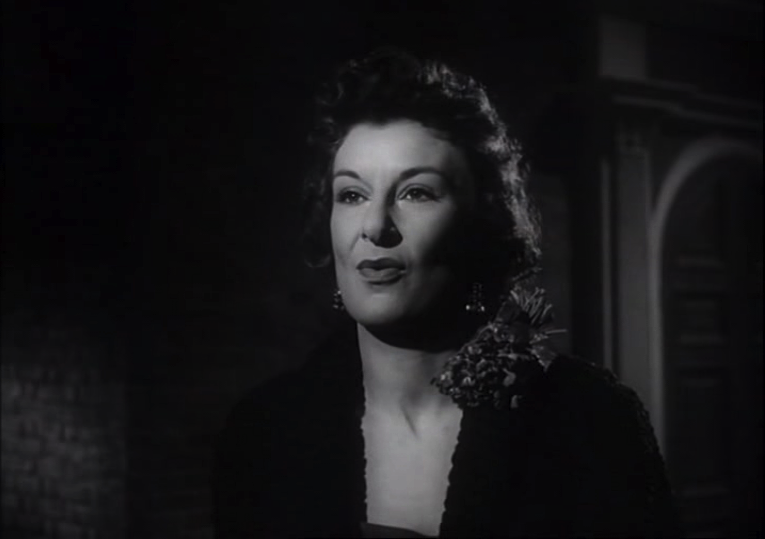 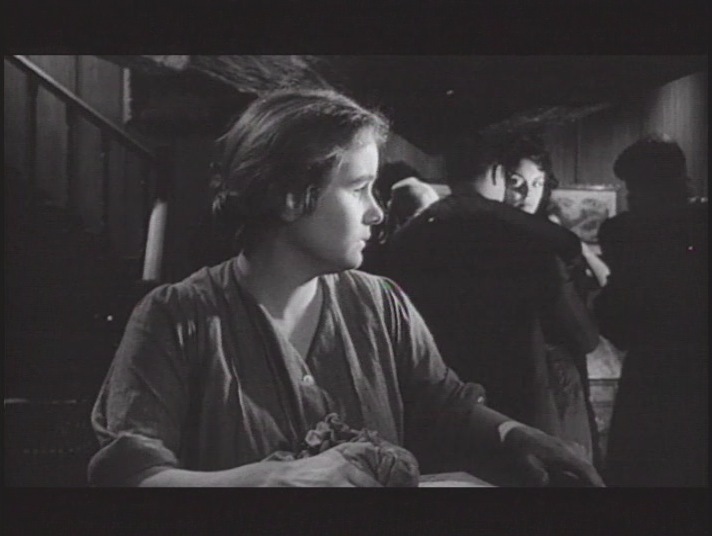 Ann Beach has an impish sort of Patty Duke like quality to her as the poor mute Lottie a slave under Mrs. Newlis’ iron grip and Valentine Dyall (love him as Dudley the caretaker ‘all you city people’ in Robert Wise’s The Haunting ’62) plays Reverend Jethrow Keane also resurrected from those by gone days of witch burnings. 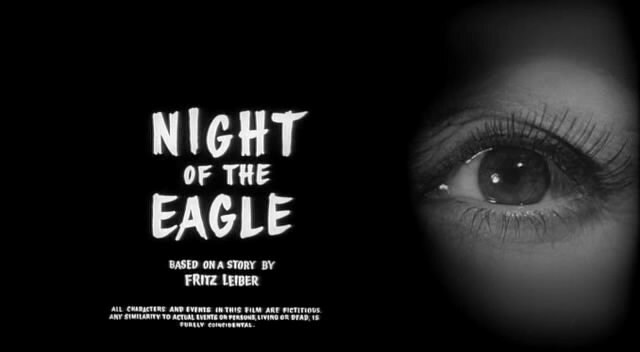 I’m not sure why this absolute gem has been so overlooked, when it’s still such a genuinely frightening and effectively creepy contribution to the classic horror genre. 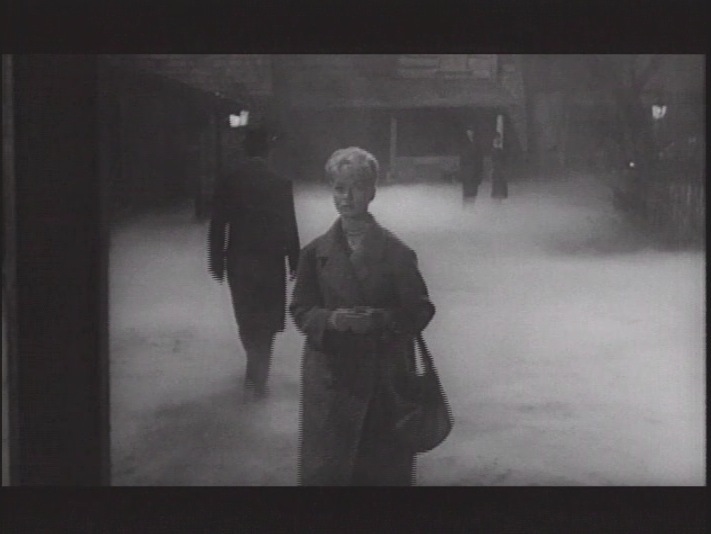 It’s moody and saturated with an unearthly fog that blankets the town and exudes an impending sense of doom and dread. 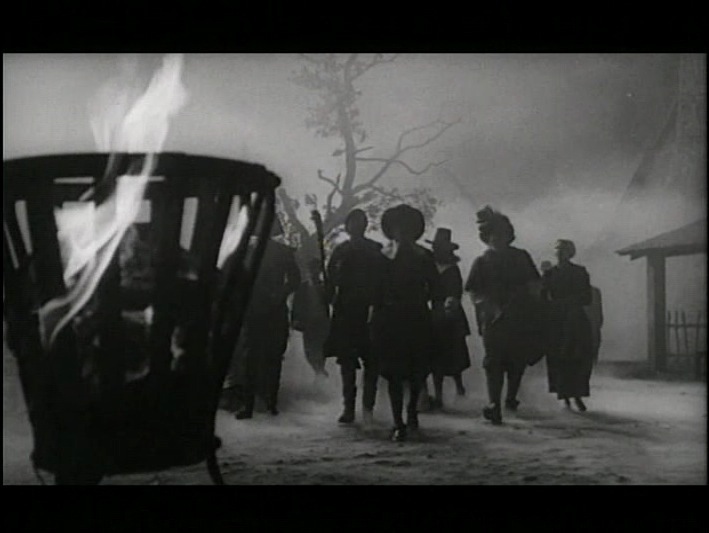 The film is almost impressionistic with it’s tonality of the macabre which permeates the landscape with the undead specters walking amidst the fog soaked night, and we as spectators know of the looming arcane rites of the ritualistic blood sacrifices held by ambiguous figures in monkish robes. 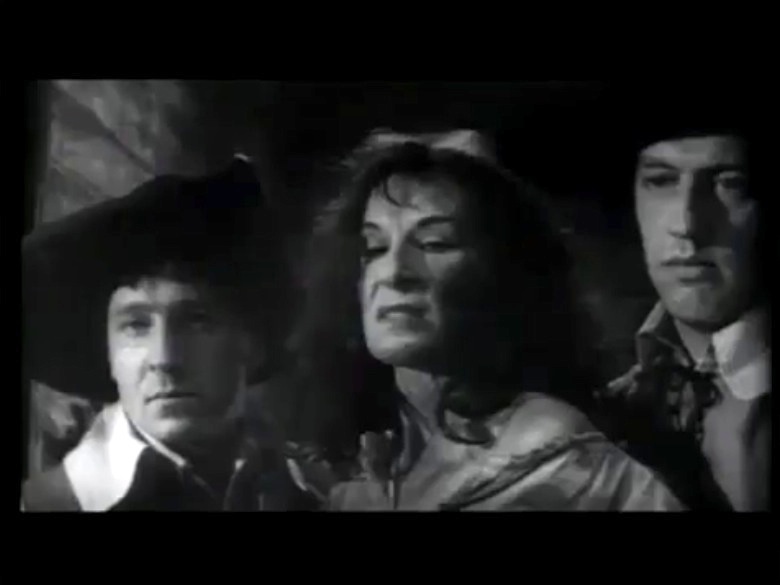 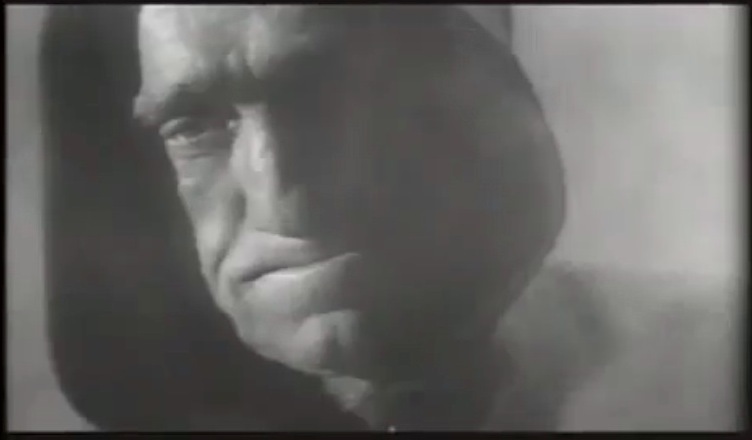 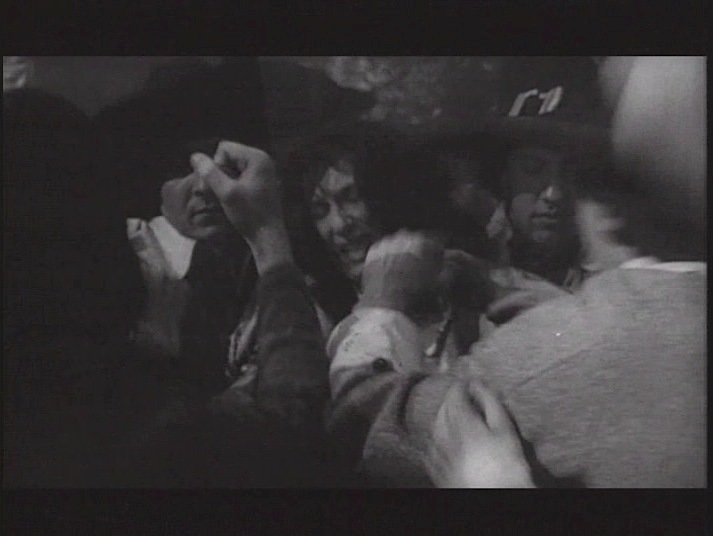 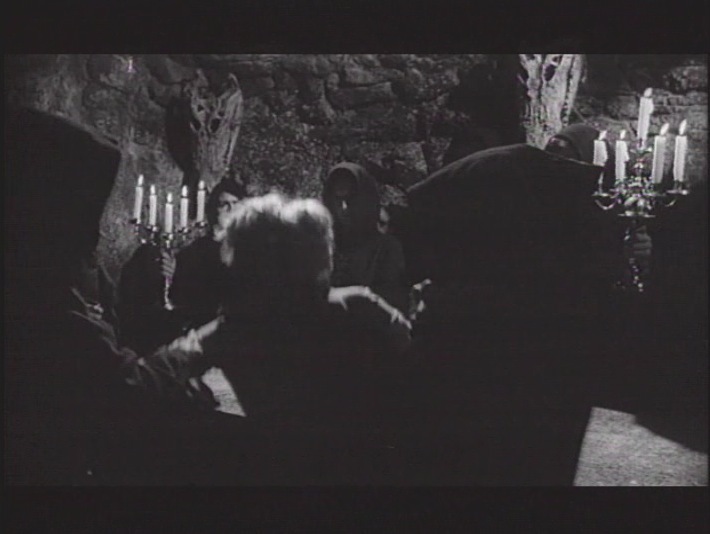 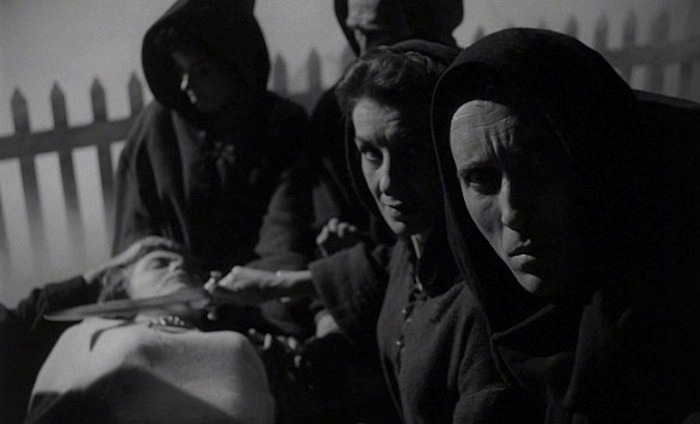 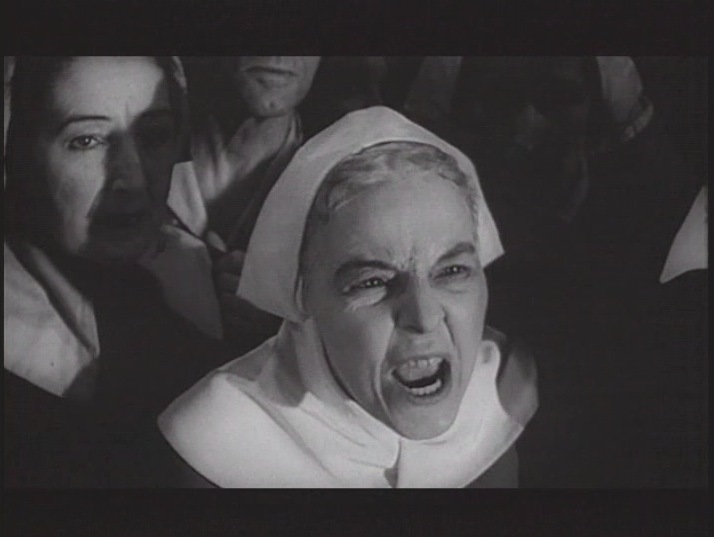 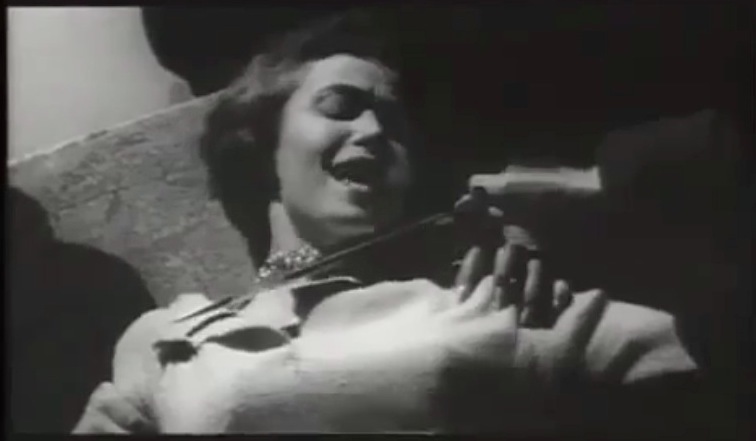 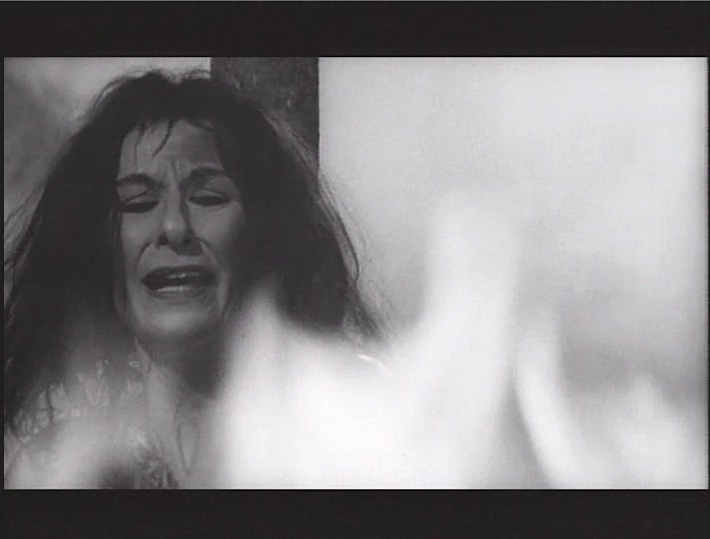 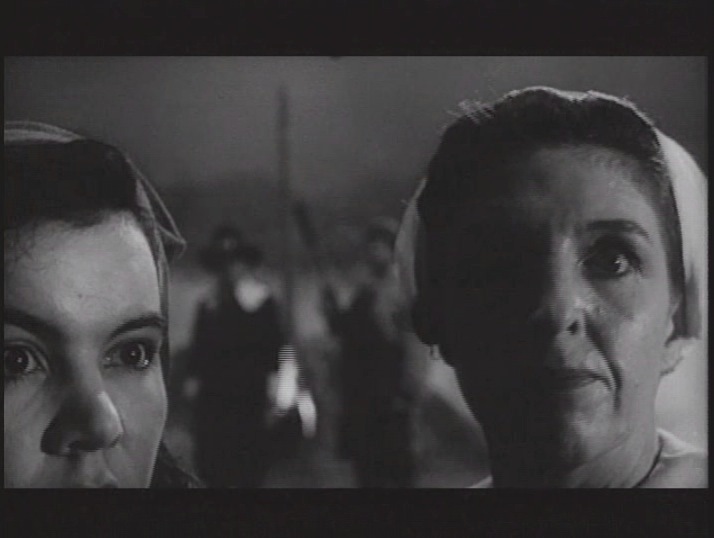 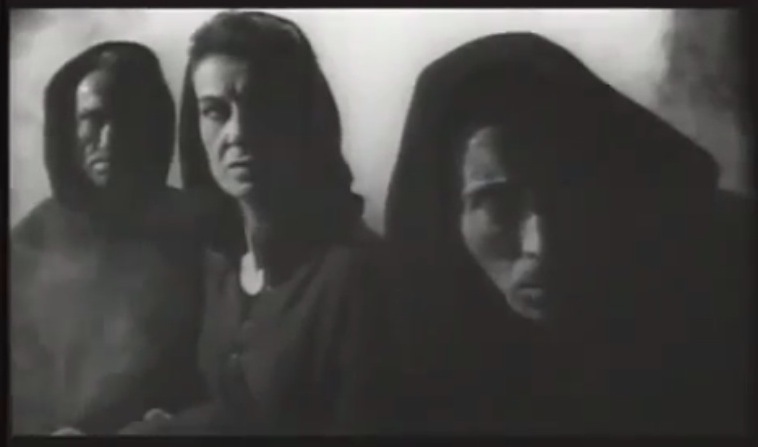 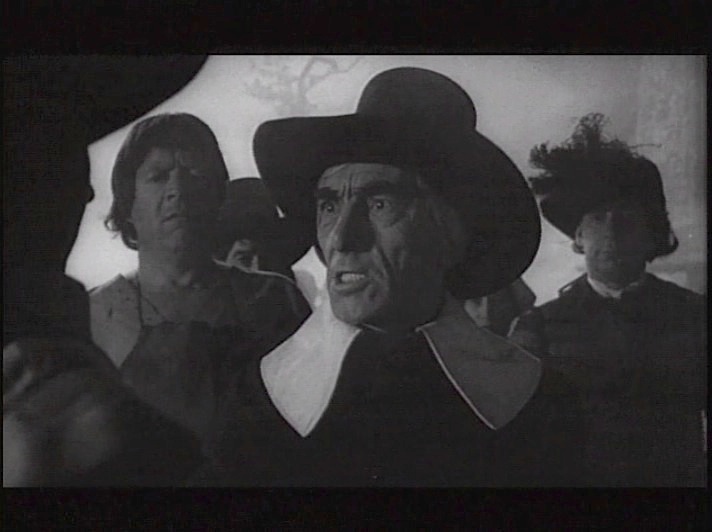 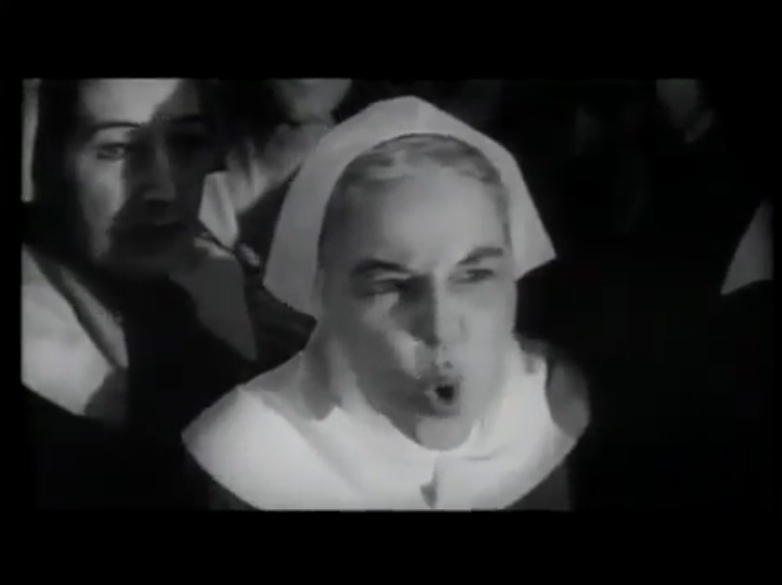 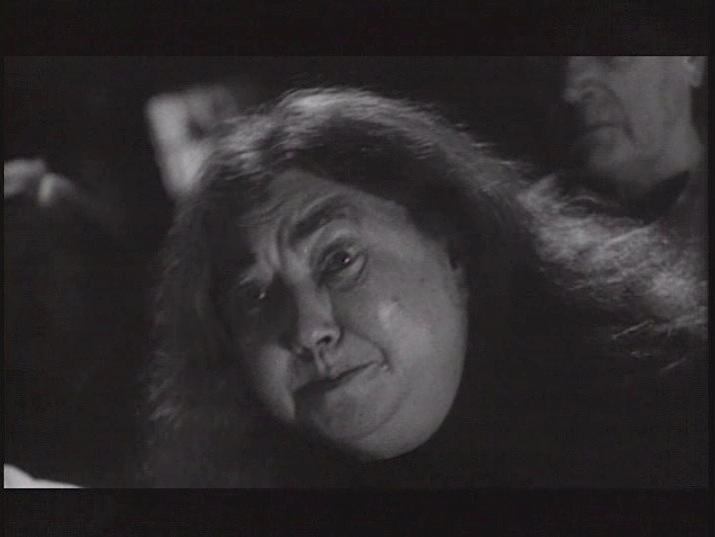 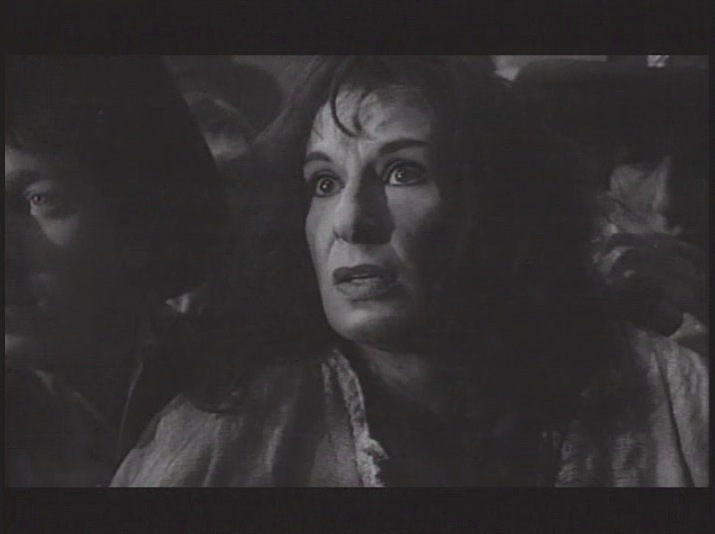 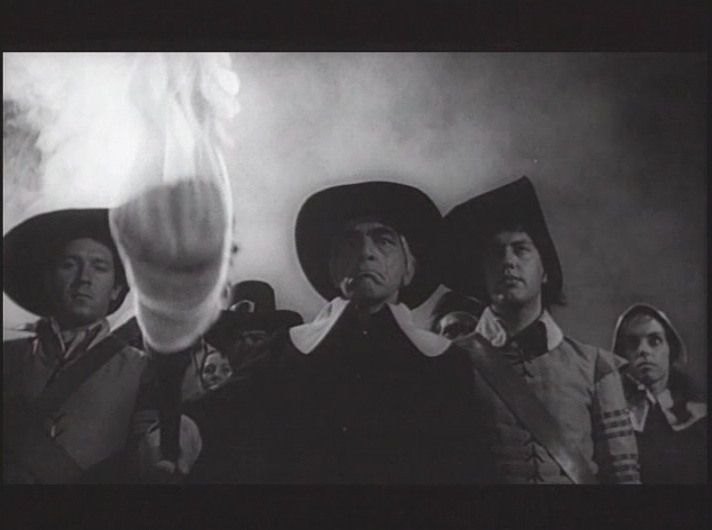 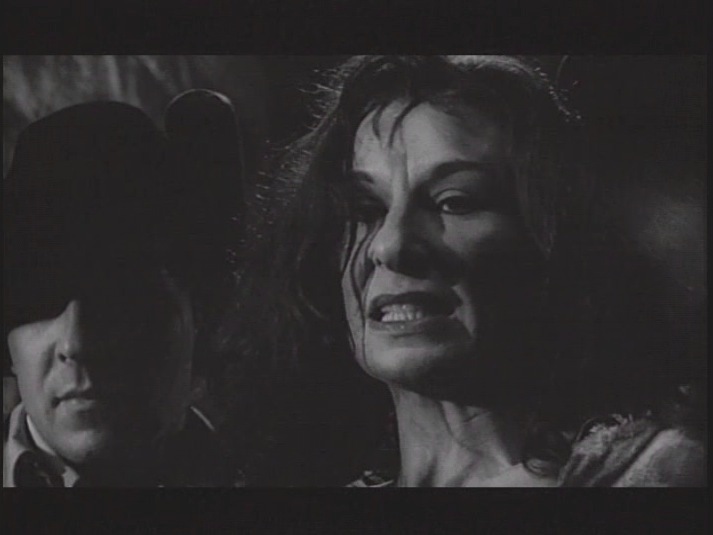 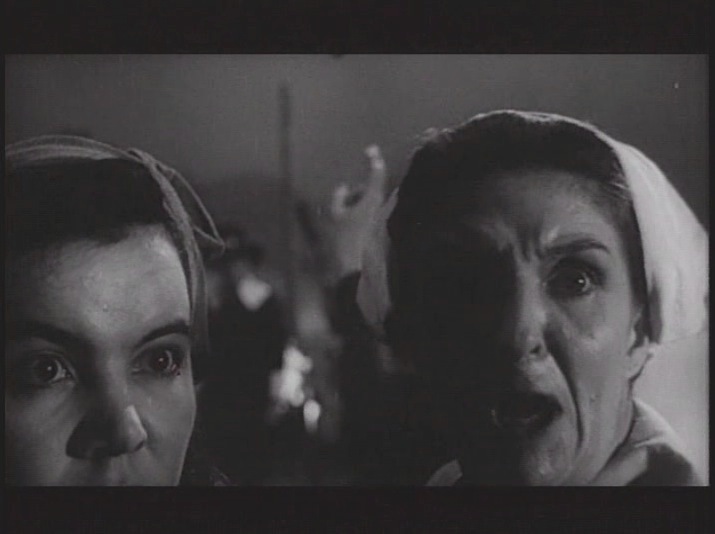 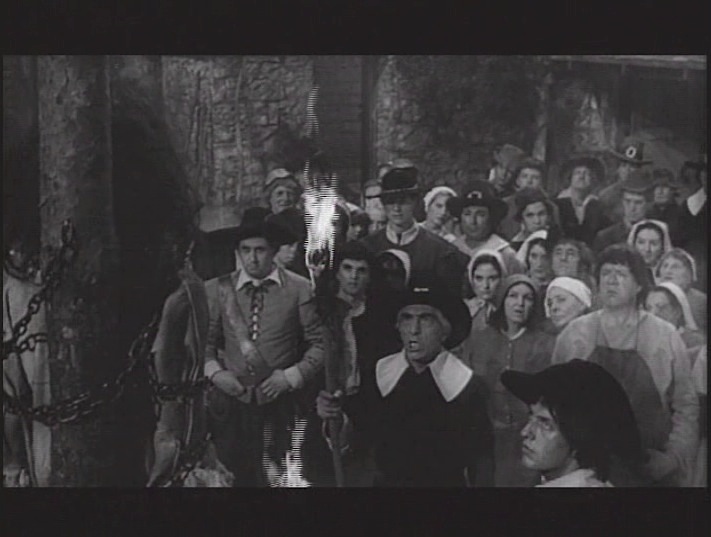 The camera work is startling at times, and surprisingly cerebral for a low budget film, as in the opening sequence when they are executing Elizabeth Selwyn, the camera closes in tightly on several grotesquely puritanical, pious and unrelentingly exaggerated expressions of hostility and hypocrisy as the villagers call out with their blood lust to burn the witch, their fever for punishment, lacks any godliness, as they are framed more hideous than Elizabeth Selwyn who is tied to a stake and set on fire. 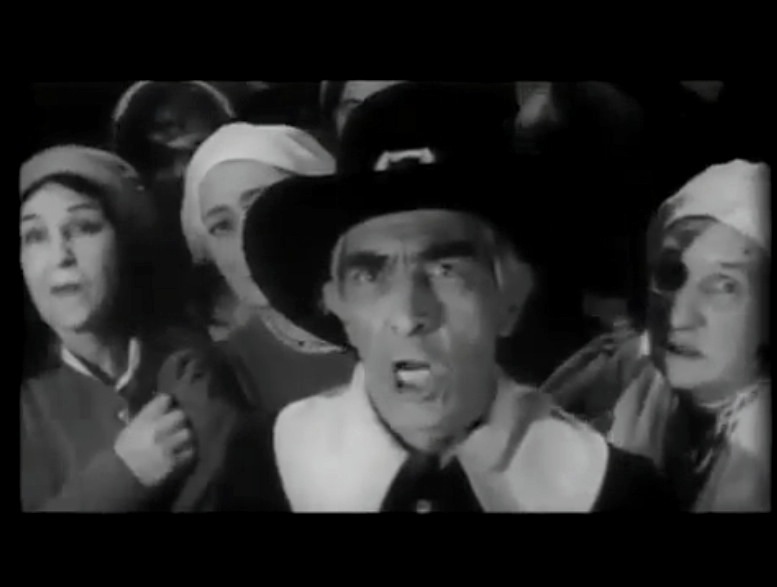 Only a quick glance at a little girl’s face read in panic as Selwyn evokes the power of Satan and a darkness washes over the villagers like a paint stroke of black light. 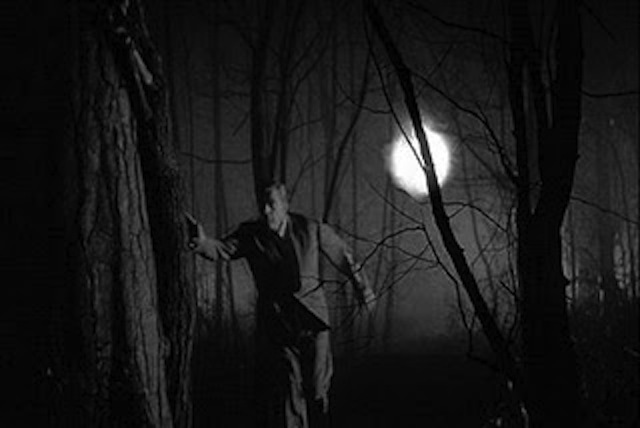 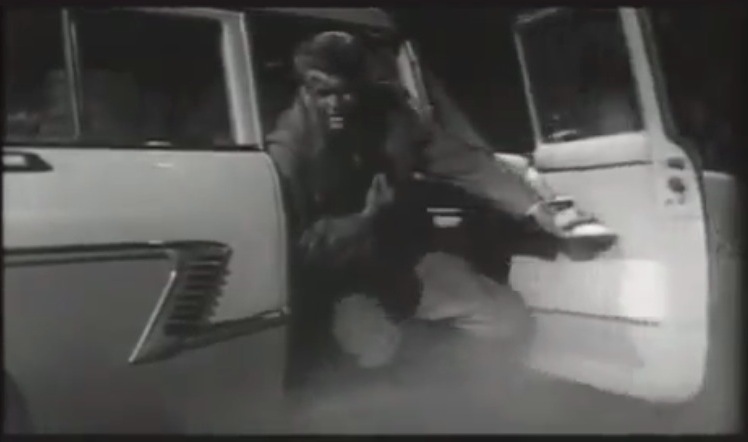 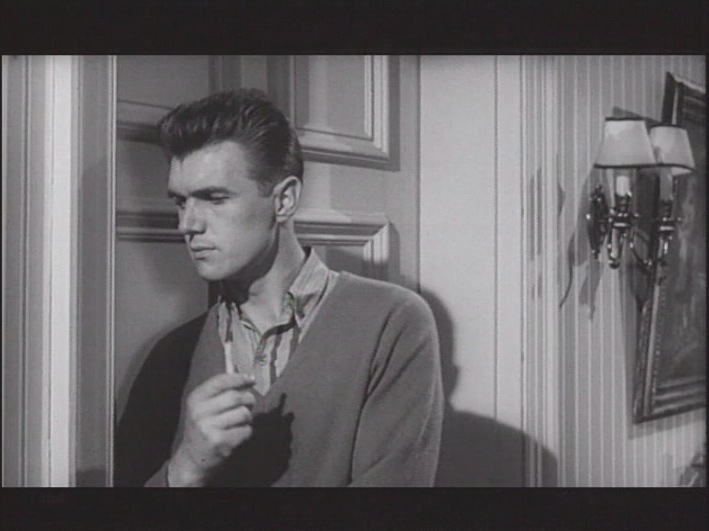 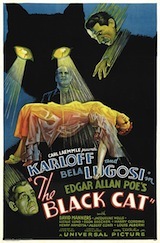 The use of shadow is almost reminiscent of Jacques Tourneur’s thoughtful psychological terror plays of the 40s, (Cat People 1942, I Walked With A Zombie 1943, noir classic Out of the Past 1947 and Curse of the Demon 1957) While not in the same league as the master of shadow and light the great Val Lewton or Tourneur, there are some elements with the added sphere of paranoia that creates an atmosphere filled with uncanny dread and unknowable spaces and devilish premeditation, that evokes some of the same type of moodiness. 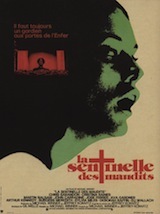 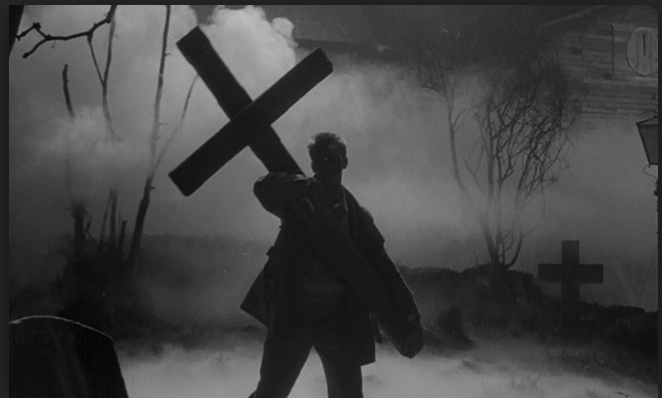 Again, not being hindered by the restraints of a small budget, the film appears as a beautifully eerie Lovecraftian fable, filled with an entire village inhabited by listless cult followers dedicated to the worship of Satan. 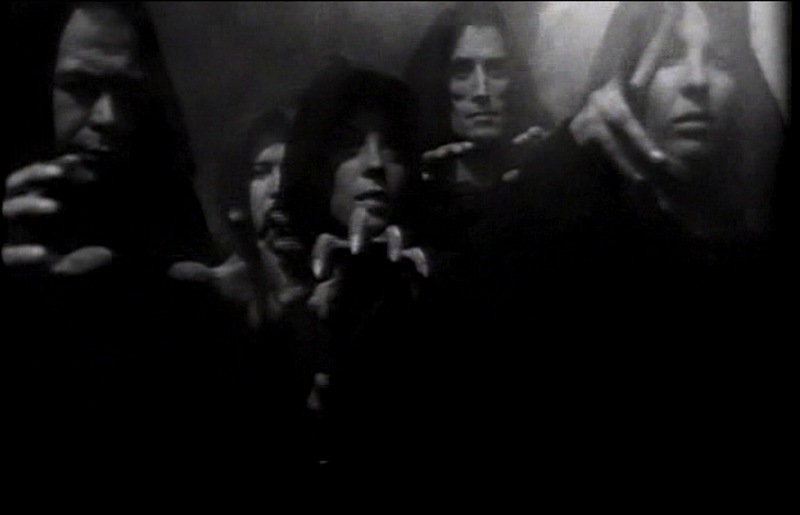 They haunt the streets swathed in ritual robes shrouded in shadows and fog, wandering through swirling mists, and an ominous sweep of fog that obscures these undead spirits of the night, soulless, dressed in robes or outdated clothing. 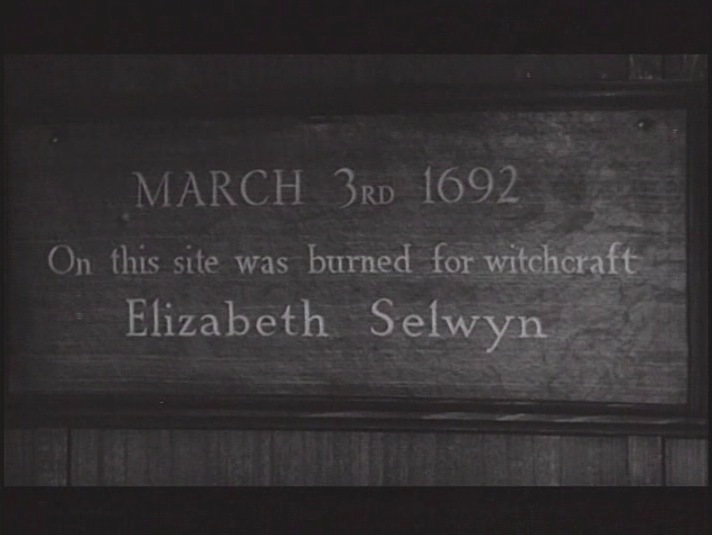 The entire village is vexed by black magic reigned over by the resurrected witch Elizabeth Selwyn who was burned at the stake more than 300 years before in 1692. 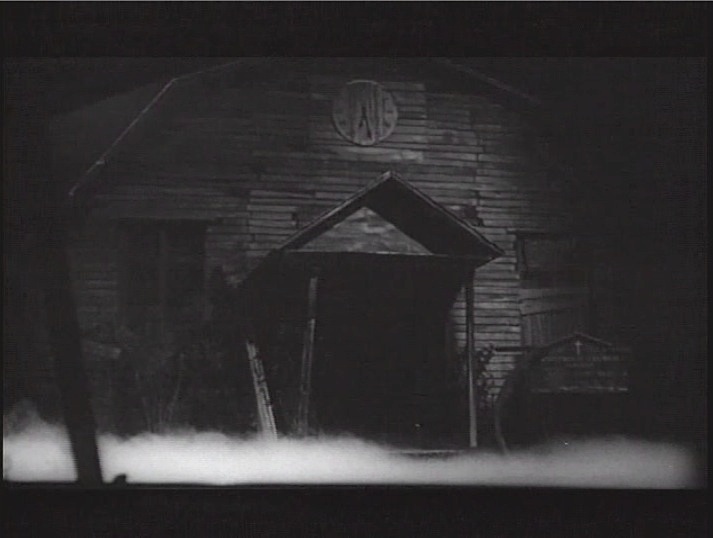 While it’s obvious that the degenerating, decomposing village of Whitewood is a sparsely designed set on a humble sound stage, John Llewellyn Moxey manages to infuse this little city of the dead with a very disquieting ambiance. 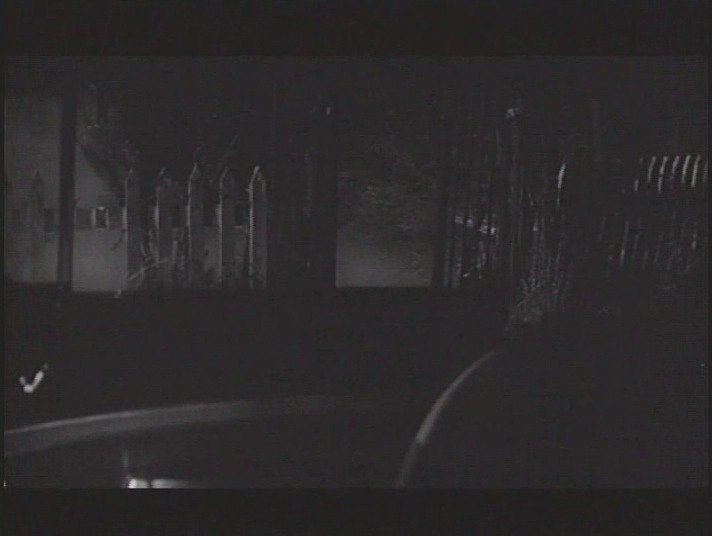 Dickinson lights the inhabitants of Whitewood and the hazy mysterious village itself using very enigmatic black and white compositions. 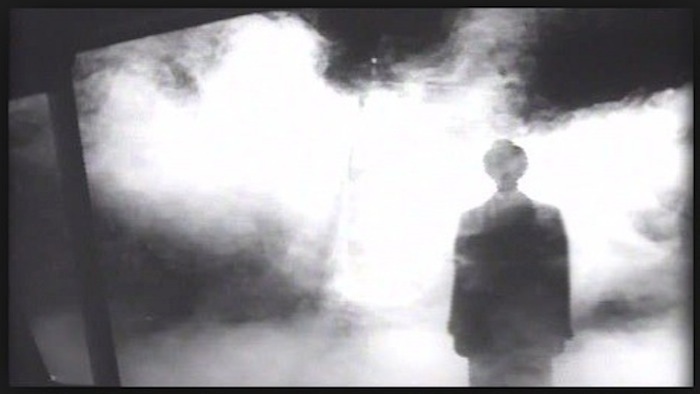 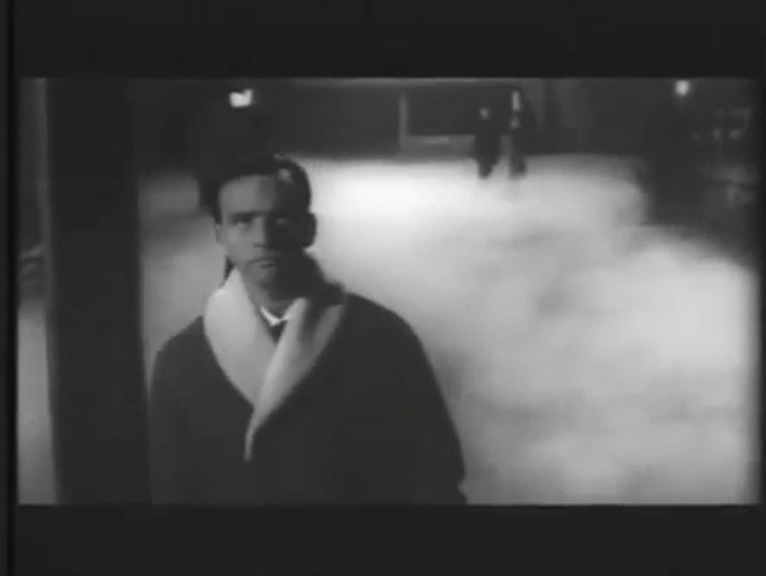 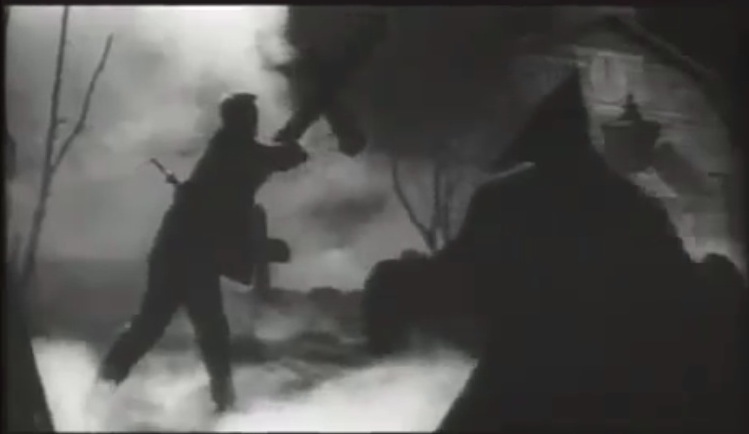 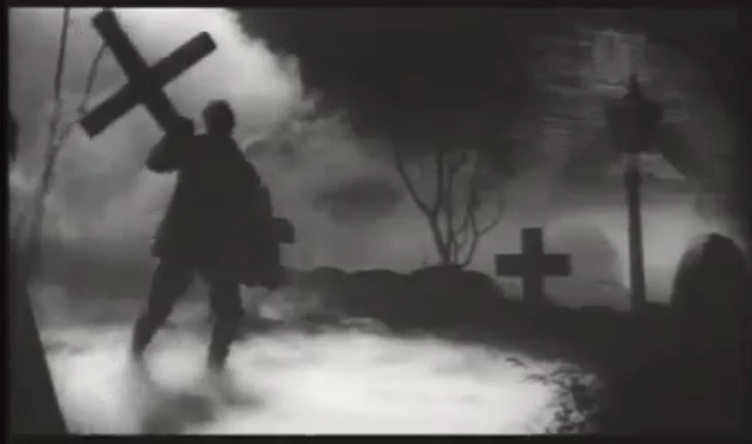 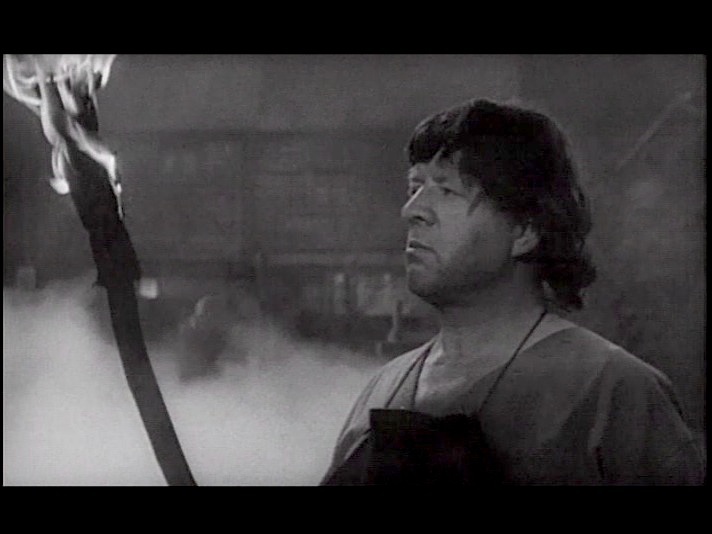 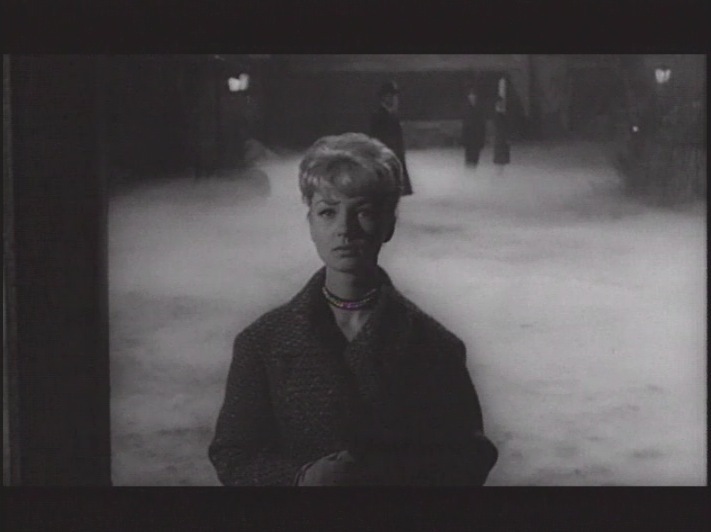 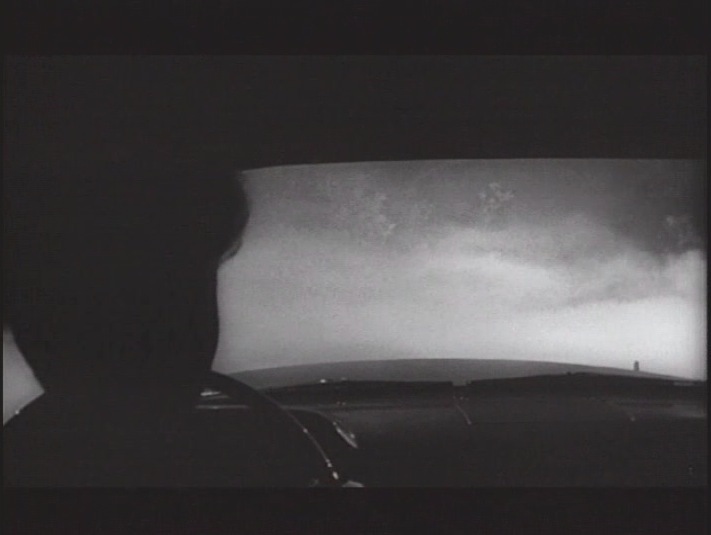 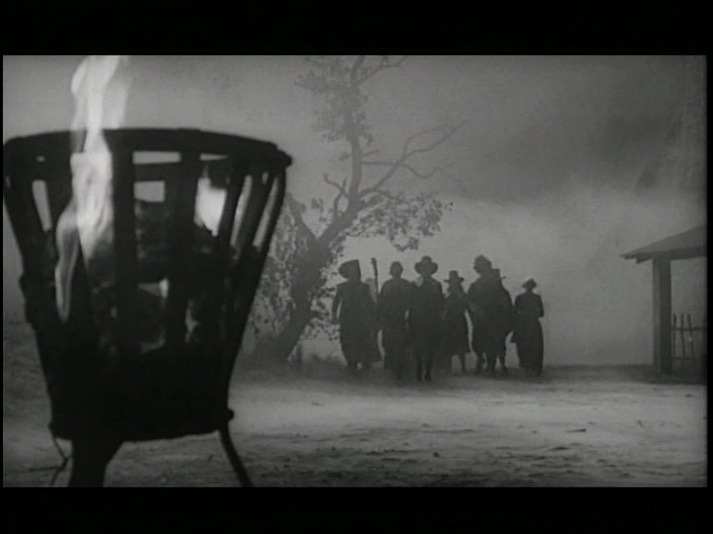 The film opens as the fog shrouded village of Whitewood is at first an empty frame consumed within a smokey cloud of air except for a giant iron fire pit blazing to the left of screen. 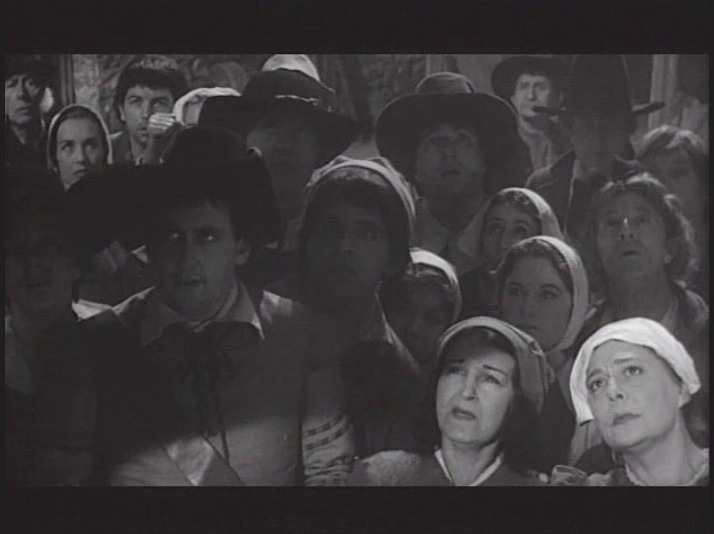 Like specters emerging through the deathly fog, several villagers move closer into focus until they are upon us in mid screen. 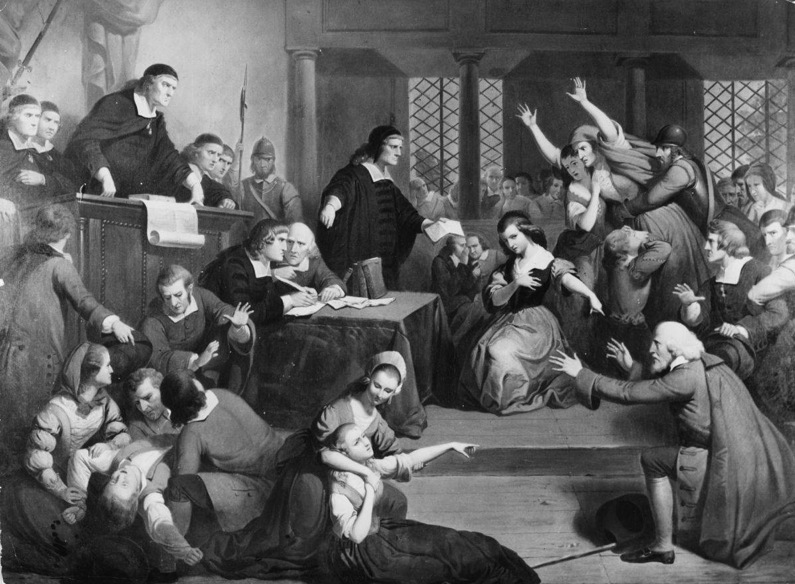 They are thirsty for the blood of the declared witch Elizabeth Selwyn who has brought about the death of Abigail Adams. 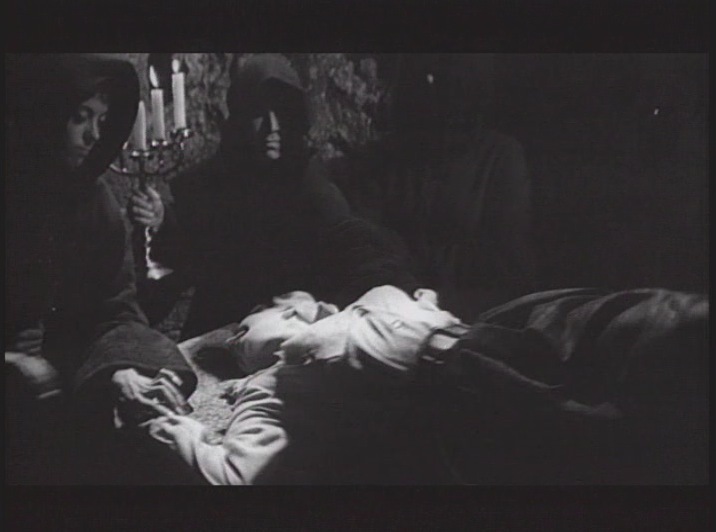 They decree that she should be put to death as a witch, and so they converge on her little cottage, dragging her out and tying her to a large wooden stake. 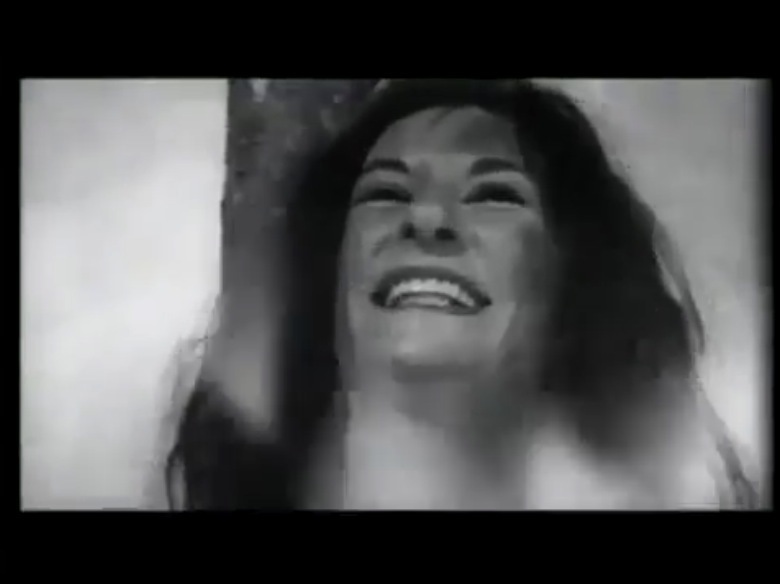 As she faces her accusers it seems as if she is emitting a hissing sound like a serpent. 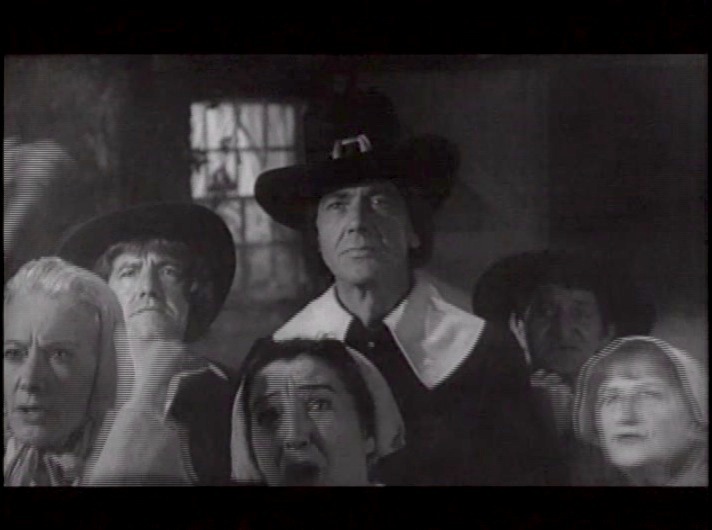 A pilgrim woman slowly grinds out the words, “Wiittcch!!! 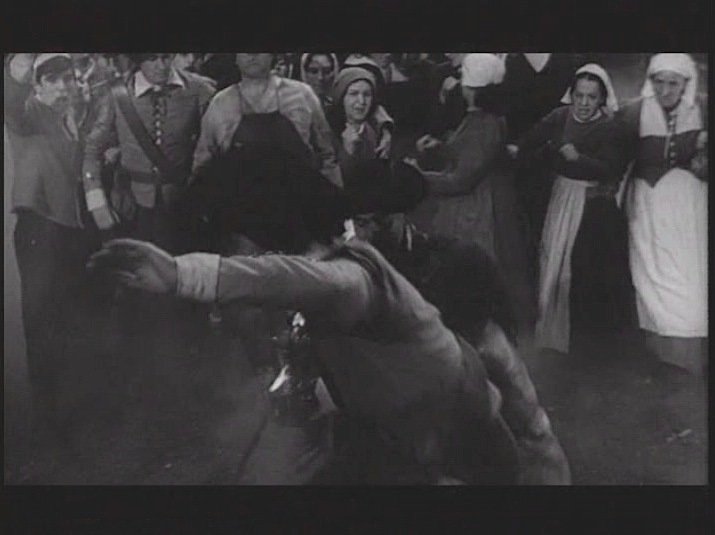 !“ as Elizabeth Selwyn contemptuously spits on her. 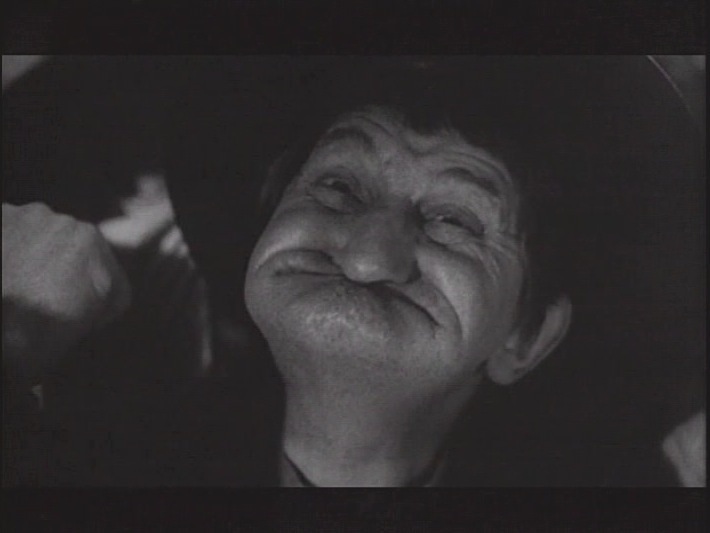 The camera closes in on a villagers face, a grotesque caricature. 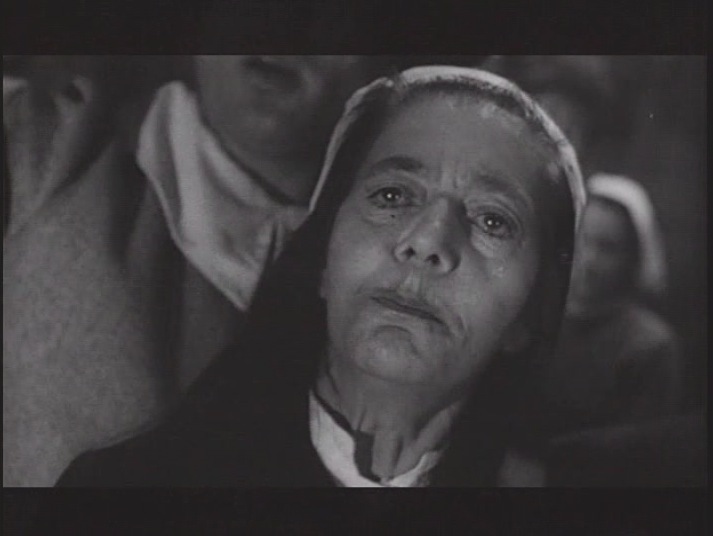 The elders and the crowd of villagers scream out for her death. 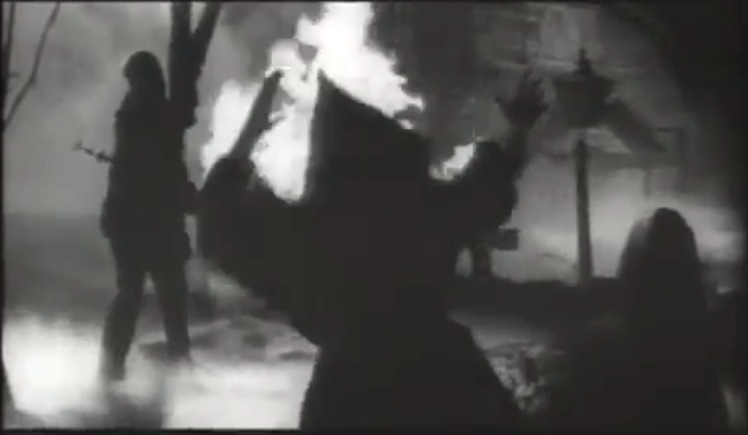 To burn the witch. 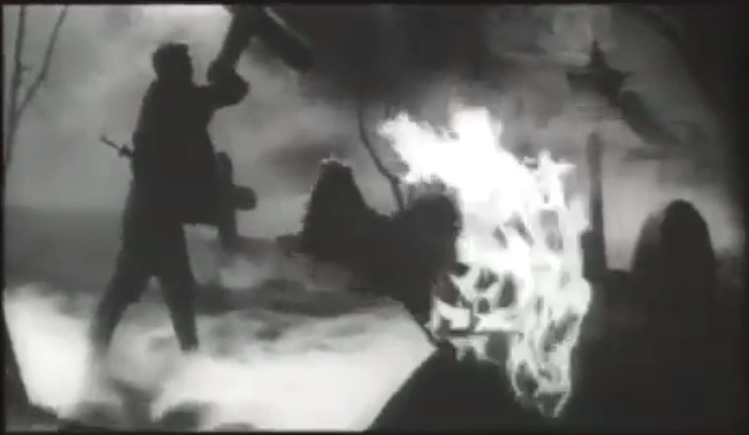 The pyre is set on fire, but as she becomes engulfed in the purifying flames, she declares her devotion to Satan. 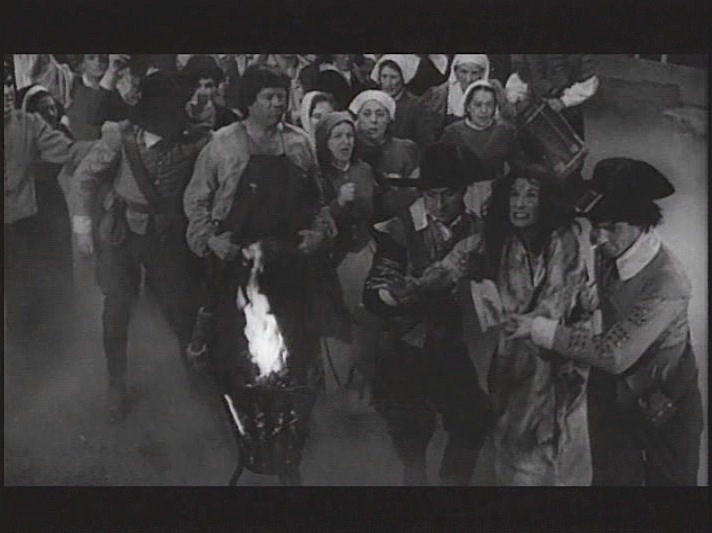 Meanwhile Jethrow Keane secretly still an acolyte of Elizabeth pretends to deny that he has consorted with the witch, privately begging “Help her Lucifer, Help Her.” As the fevered villagers watch Elizabeth burn, she cackles and laughs her unspoken vow to come back and wreak revenge on the descendants of Whitewood. 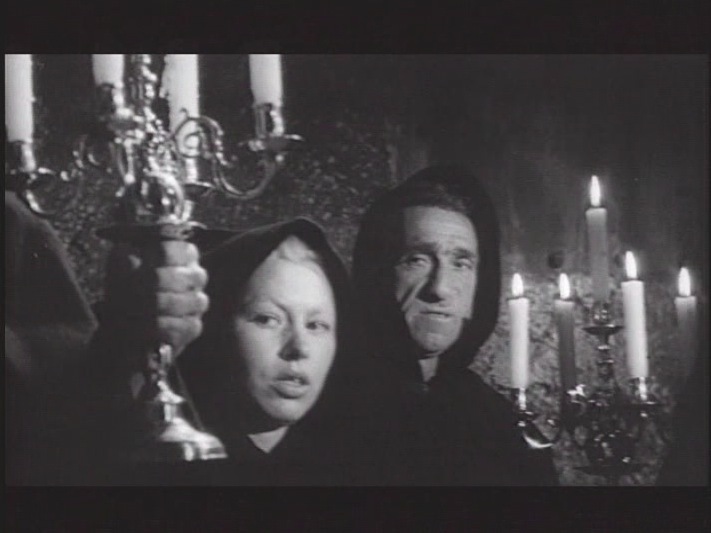 She has made a pact with the devil for eternal life in exchange for providing him with human sacrifices, which she manages to procure by luring unsuspecting visitors to her rustic Raven’s Inn. 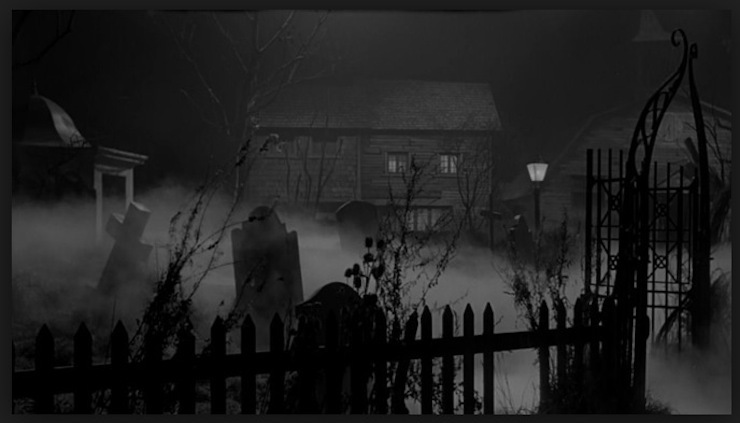 It’s modern day… the village is now left in desolation and gripped in an eerie pal that hangs over everything with it’s deathly fog. 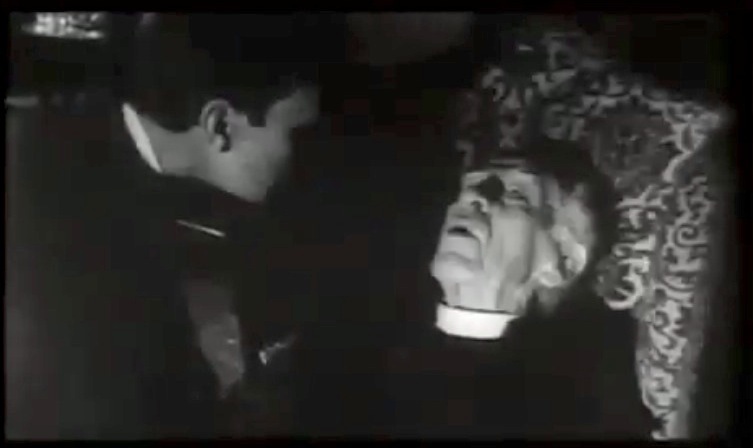 Now 1960 Professor of Demonology Alan Driscoll is relating the story of Elizabeth Selwyn, demonstratively narrating to his class the lurid story, ending with the same chant the villagers had been shouting, “Burn Witch Burn, Burn Witch Burn…” An intense look occupies his deep and darkly riveting eyes. 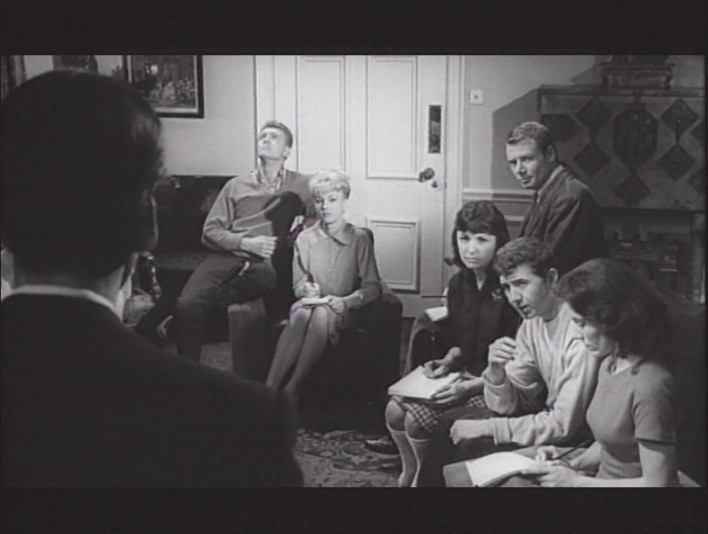 While most of the class is bored and distracted, Nan who is consumed with the legend of witchcraft and Elizabeth Selwyn’s legacy, stays after class to continue talking to Professor Driscoll, much to the dismay of her hunky boyfriend Bill. 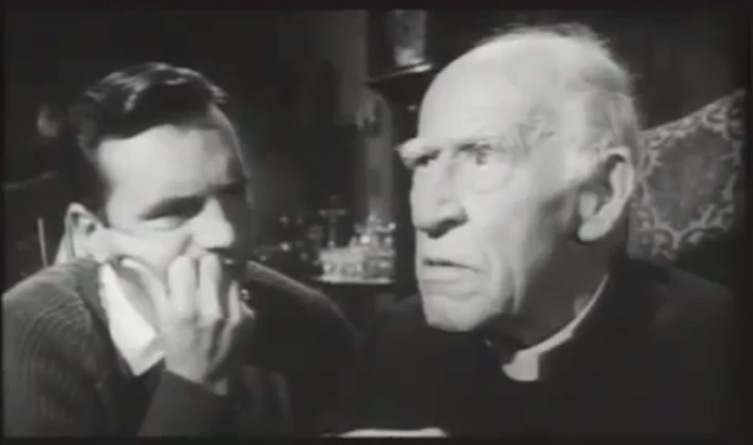 Nan looking for some good material for her thesis asks Driscoll for some guidance. 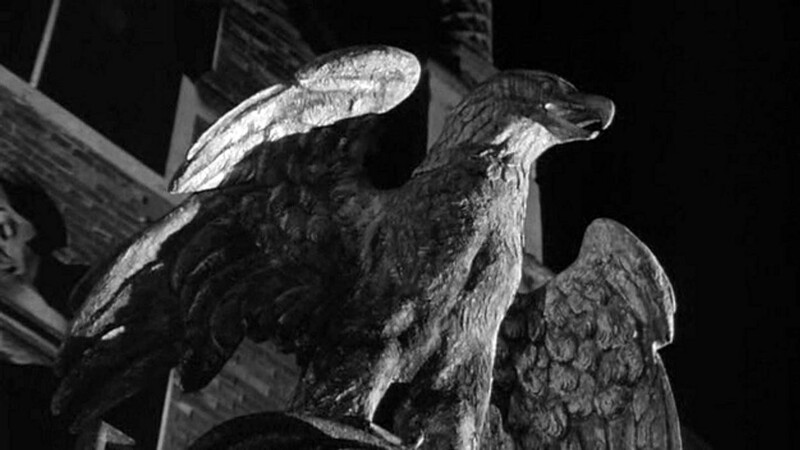 He informs Nan in a very grim manner that the myth of human sacrifice isn’t just a story, that it still exists, and that it is said that Elizabeth Selwyn still walks the murky streets of Whitewood. 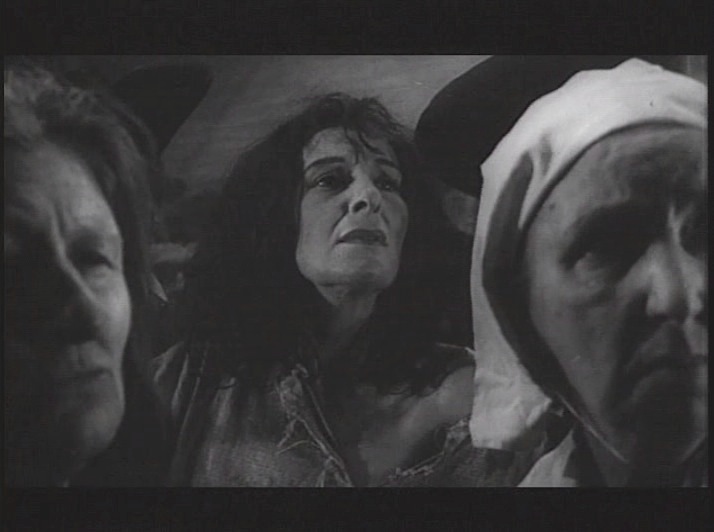 So Professor Driscoll sends Nan Barlow to Whitewood, Massachusetts to conduct her research about the local prevailing myth that witchcraft is alive and well and still being practiced by a coven in the decaying old New England village. 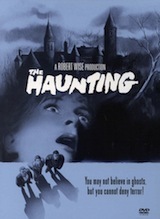 Nan goes willingly to uncover the truth behind the rumors of sightings of Elizabeth Selwyn believed to have come back from the dead. 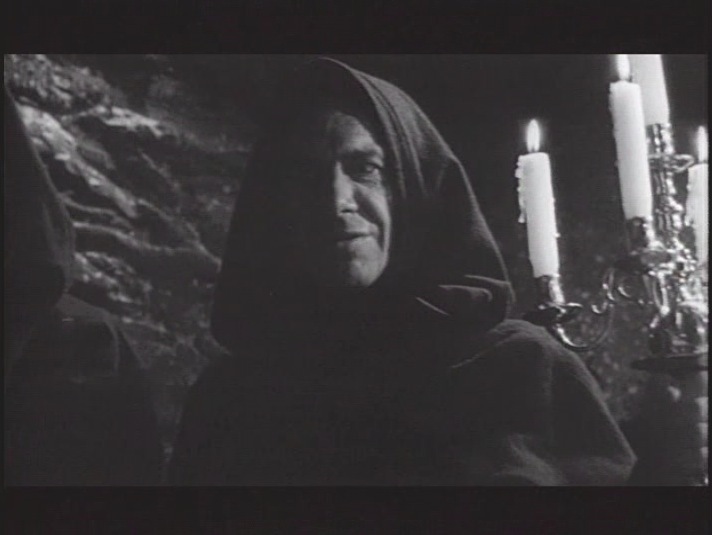 Professor Driscoll is not just an avid academic of the occult, he is also an ancestor of Whitewood and a practicing Warlock in cahoots with Elizabeth Selwyn now having taken the name of Mrs.Newlis who has in fact been resurrected from the grave and now runs the claustrophobic and infernal Raven’s Inn, equip with trap door that leads to the subterranean primitive altar where blood sacrifices are held, and shadowy figures come to dance cheek to cheek to smokey jazz music by the flickering light of the fireplace at the Raven’s Inn. 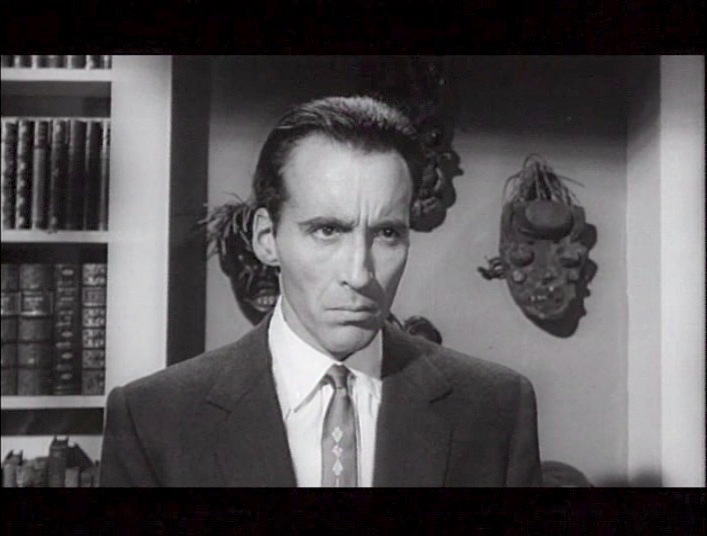 Of course Nan’s brother a scientist, is not thrilled with Nan going on a witch hunt, but thinks that she should be allowed to pursue her academic dream. 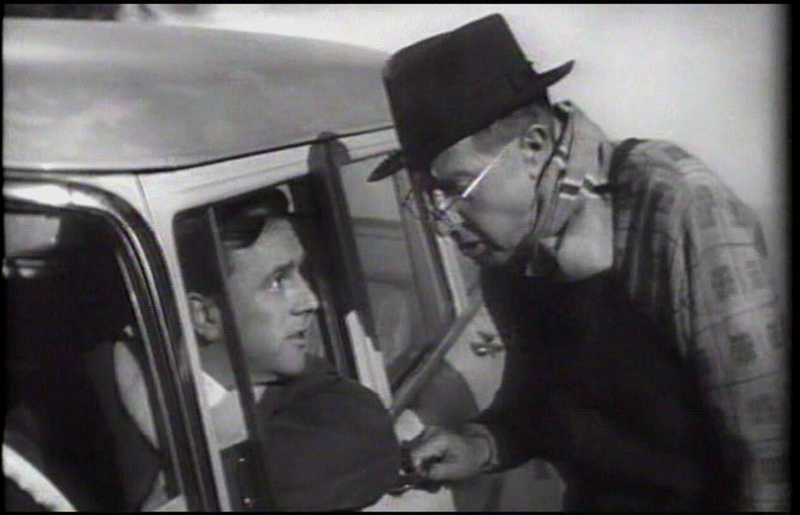 However boyfriend Bill is not happy at all by the news that his girlfriend is about to take a road trip to some small village out of the way chasing ridiculous nonsensical theories. 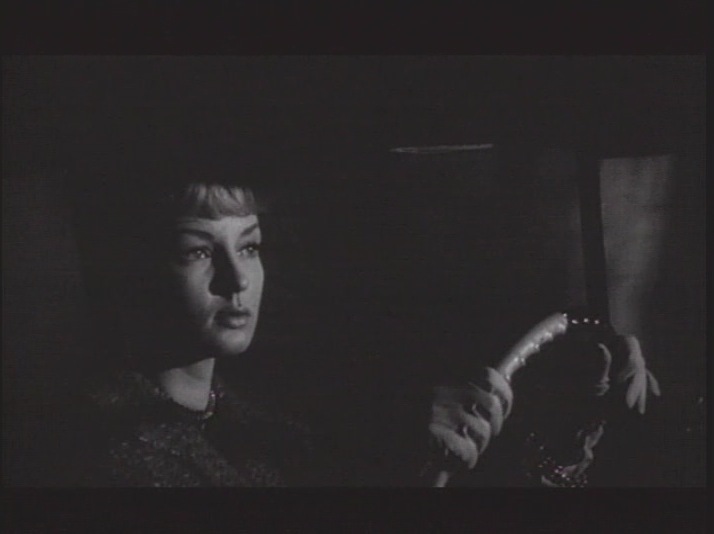 Nan gets in the car and begins to drive. 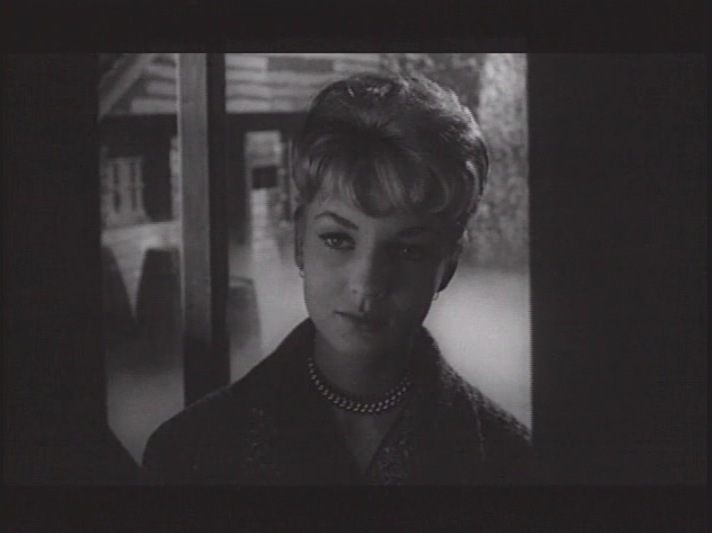 Passing by a gas station she asks if she’s headed in the right direction, and of course the attendant gives a worried look when she tells him that her destination is the town of Whitewood. 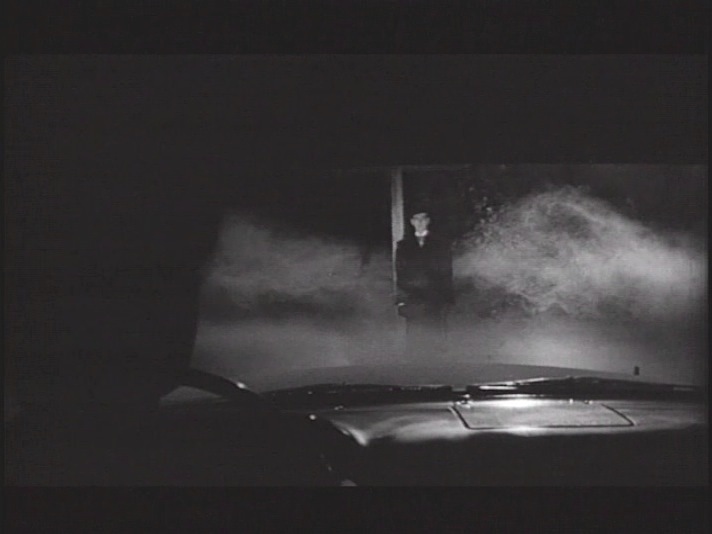 On the way, she comes upon a tall man off to the side of the road standing in the murky shadows. 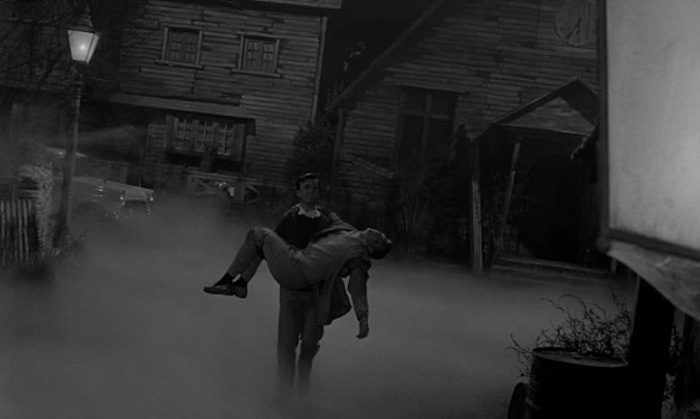 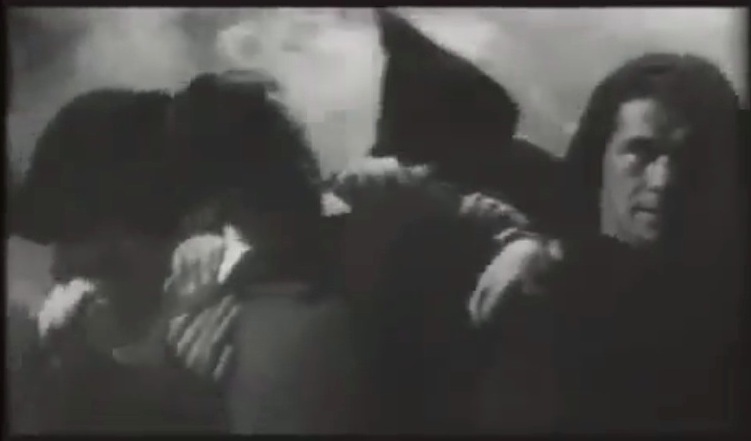 She offers him a lift as he is also headed to Whitewood to seek lodgings at the Raven’s Inn. 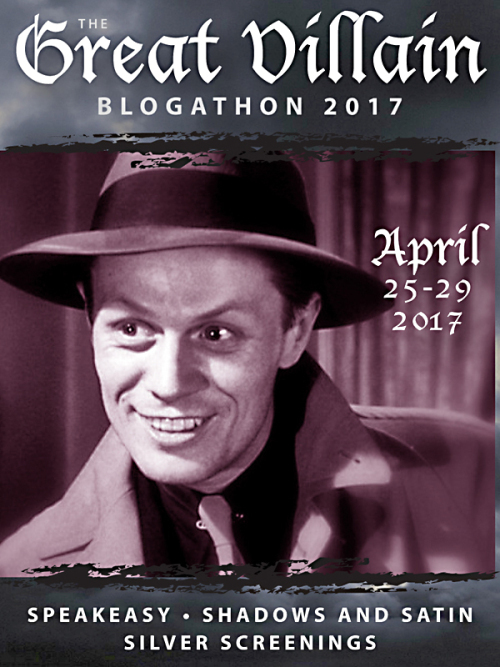 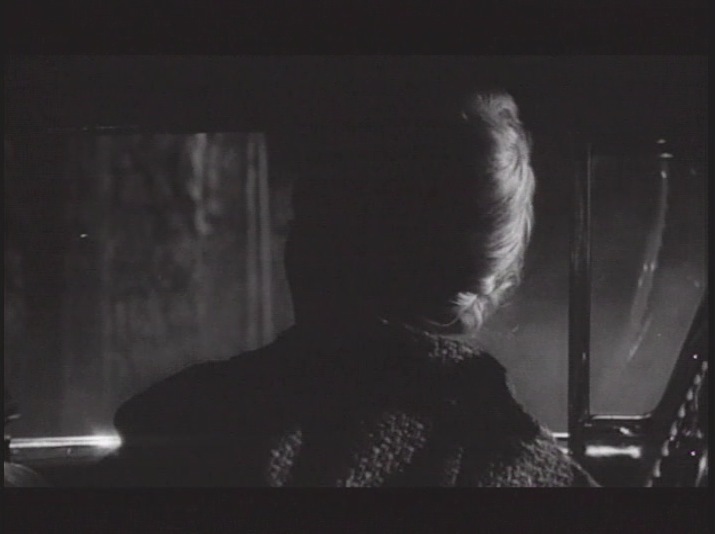 His name is Jethrow Keane, who of course is also a specter, at first carrying on a conversation with Nan, but once Nan arrives at the Raven’s Inn, while she turns away for a brief second to grab her luggage in a flash once she turns back around she finds the passenger seat completely empty. 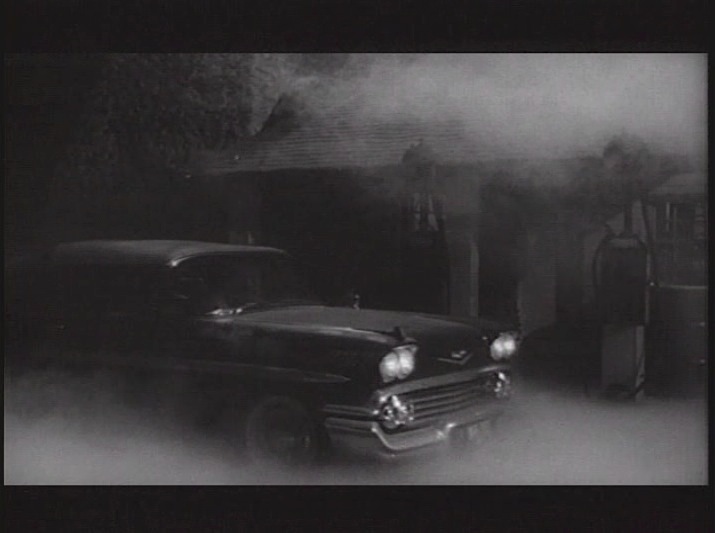 No sign of the tall and mysterious stranger, and the car has stopped in front of a fog encircled gnarled and tangle rooted graveyard. 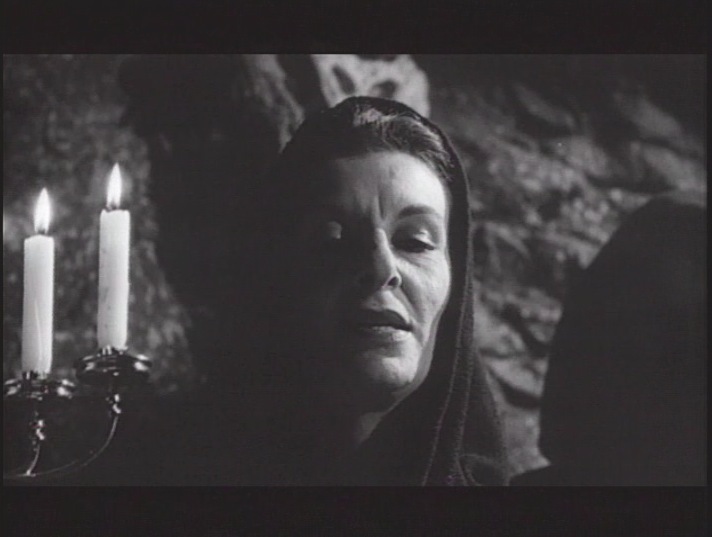 Nan has arrived on the night of the witches sabbath, Candelmas Eve February Ist. 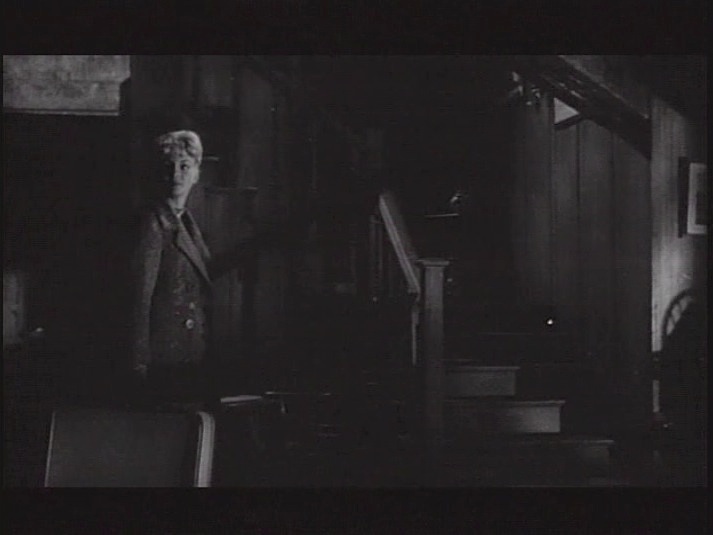 She checks into the Raven’s Inn, where first she encounters the timid and petrified mute Lottie. 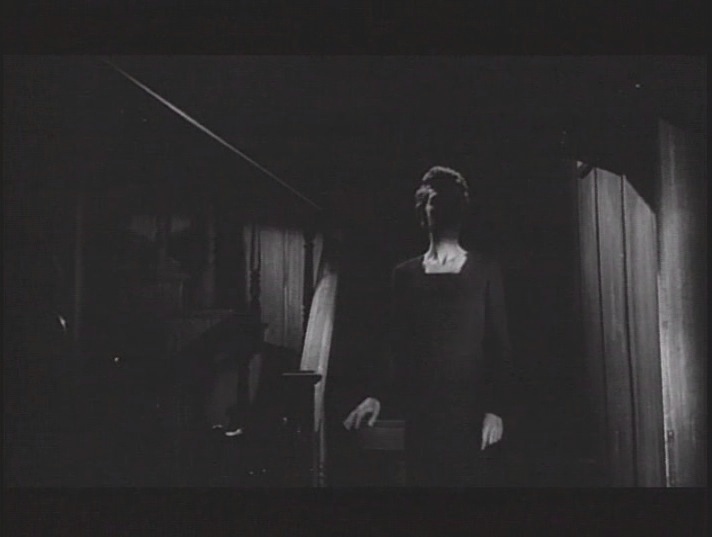 Then descending down the stairs like a vision of Nosferatu Mrs.Newlis emerges draped in blackness. 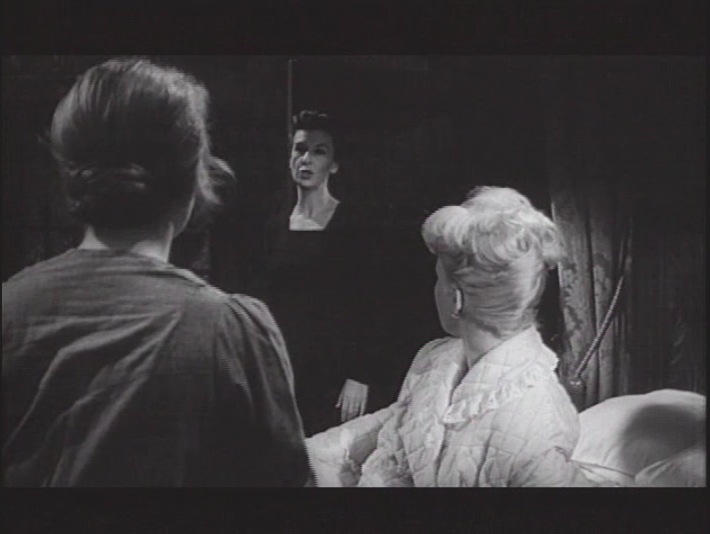 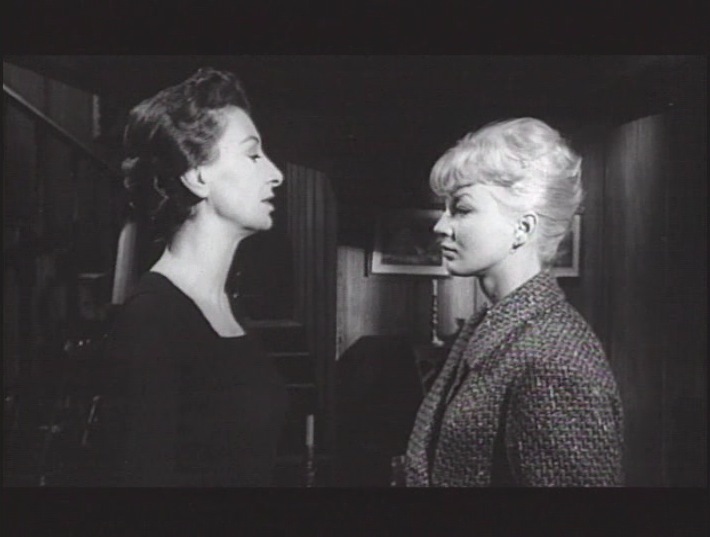 Nan introduces herself to the mordant Mrs. Newlis, who is tall and penetrating. 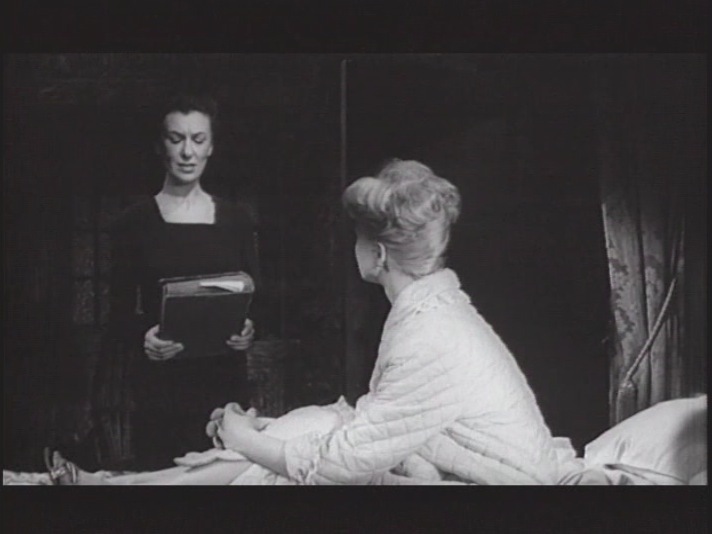 At first Mrs. Newlis tells her that there are no vacancies, but once Nan explains that Professor Driscoll has sent her, Newlis finds a room for her right away. 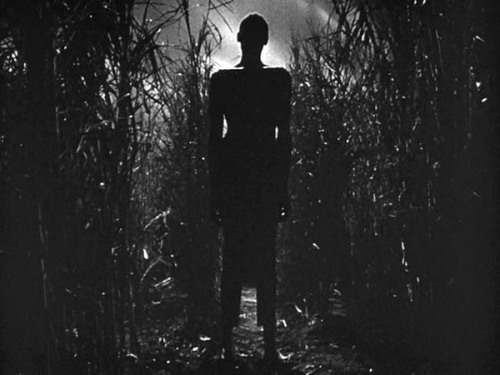 Once inside we can feel the growing sense of dis-ease and the atmosphere of danger that surrounds the village and the malevolent aura this austere and imposing reptilian woman exudes. 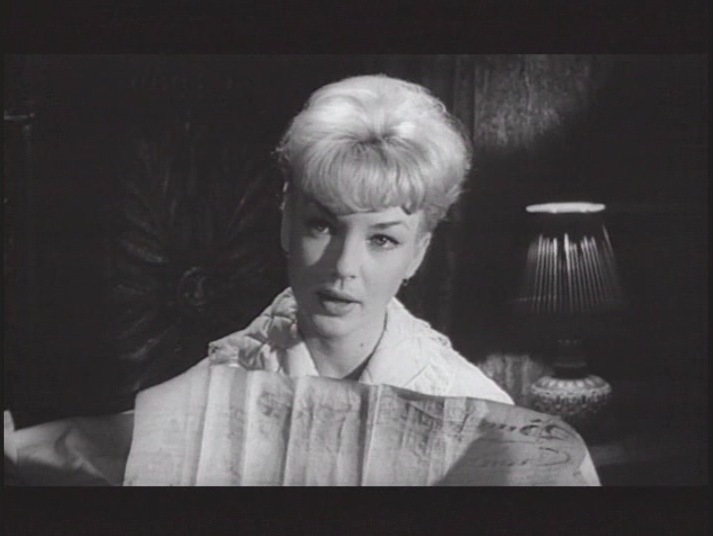 But Nan seems oblivious as she is so absorbed in her scholarly mission to research the history of Whitewood and study the occult up close and personal. 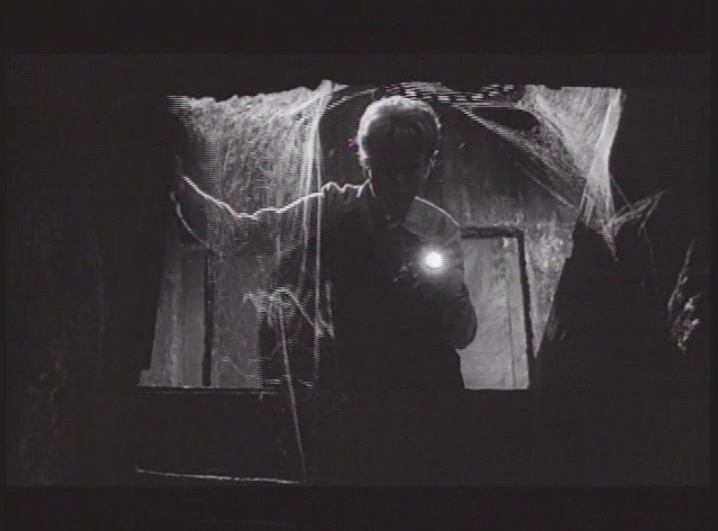 All this enthusiasm seems to blind her to the definite signs that somethings not right, and the strange little occurrences like the knotted woodbine twine tied to her window pane, the dead bird in her bed. 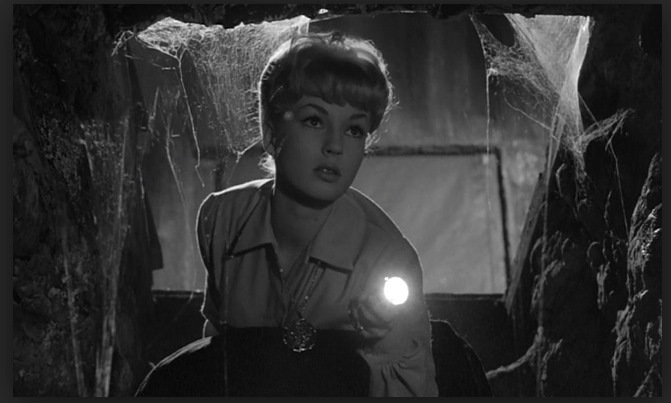 Nan missing her charm bracelet, when she’s just read that an article of the person being sacrificed is needed as part of the ritual. 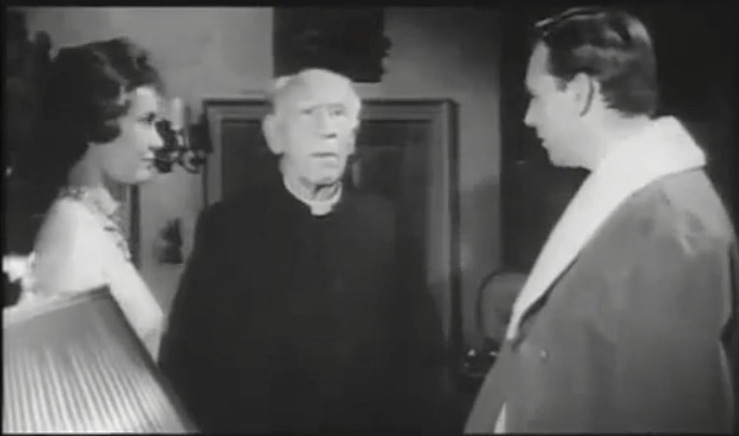 The constant worried look on Lottie’s face. 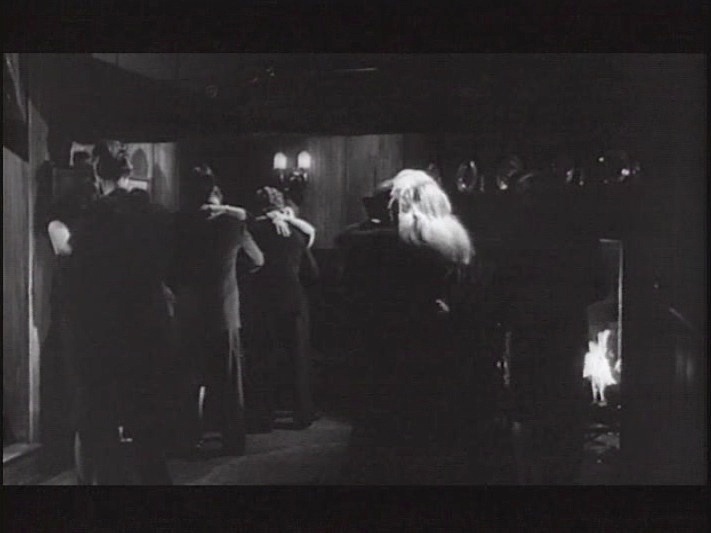 The ghostly inhabitants of Whitewood that float through the murk, the fear the old blind minister seems to be riddled with and the disappearing act of the crowded room of couples dancing to jazz music one minute, then vanishing as Nan opens her door. 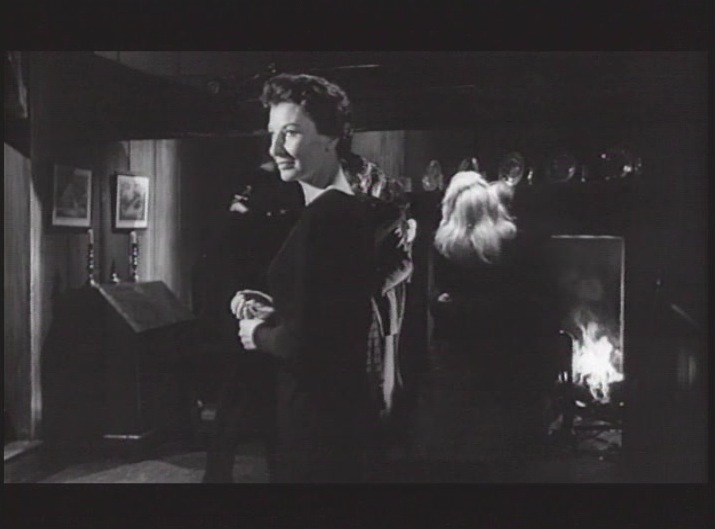 And last but not least, the foreboding presence of Mrs. Newlis herself. 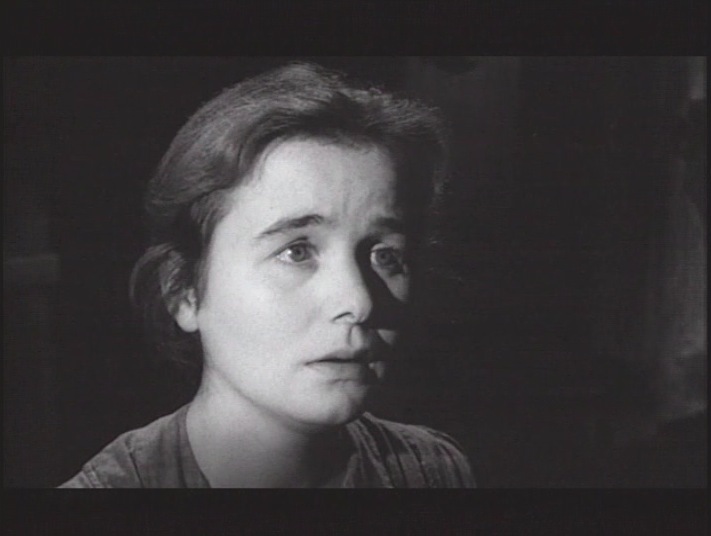 Mrs. Newlis’ mute servant girl Lottie, is a meek little bird who tries desperately to warn Nan, but is under the watchful eye of the frightful Mrs. Newlis. 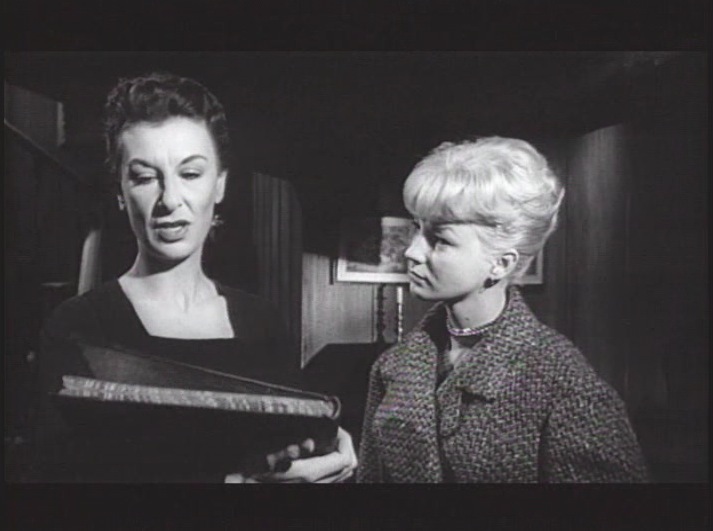 At each attempt to warn Nan to get away, Mrs. Newlis gets more furious with Lottie’s meddling. 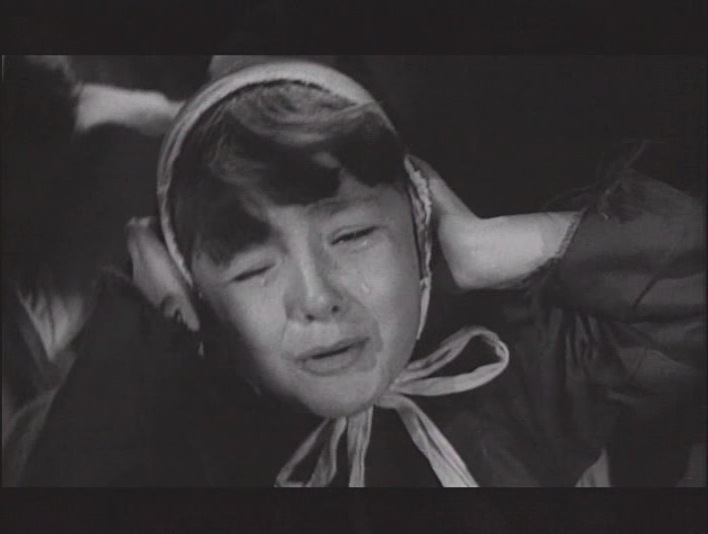 You can only guess what will happen to the poor girl. 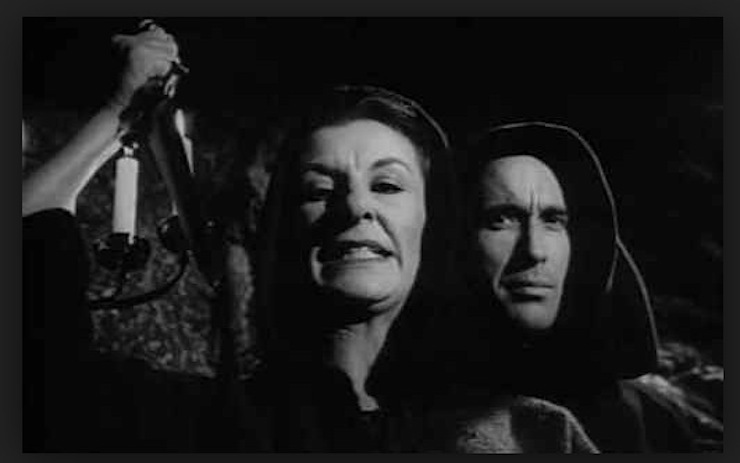 Perhaps a throat slitting. 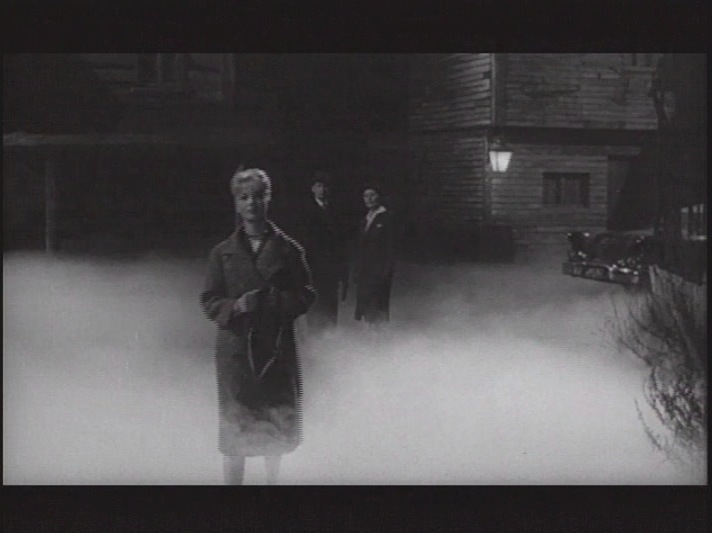 Nan walks around town in the ghostly night mist. 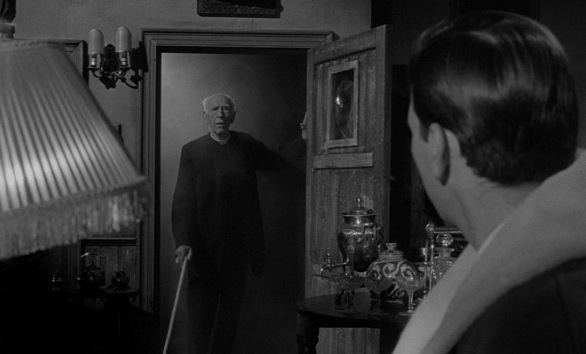 Meets the blind Reverend Russell in a scene that is quite creepy and powerfully effusive. 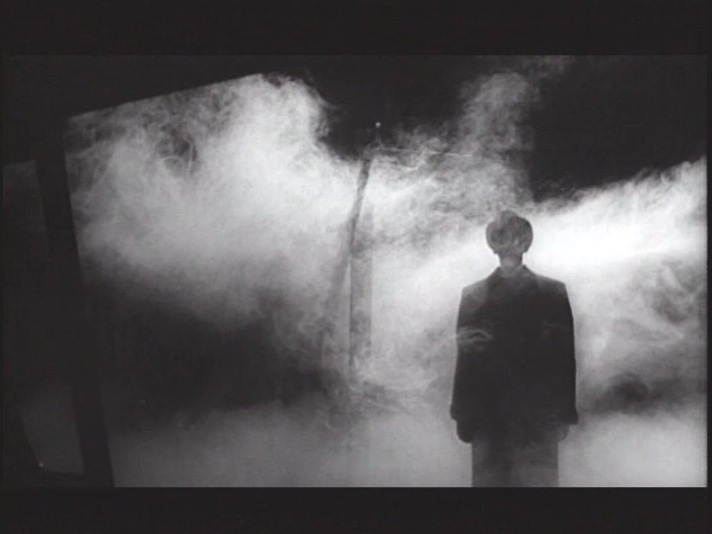 As he emerges at his doorway, like an oracle of doom, only to retreat, withdraw back into the shadows, a very stylish bit of camera work. 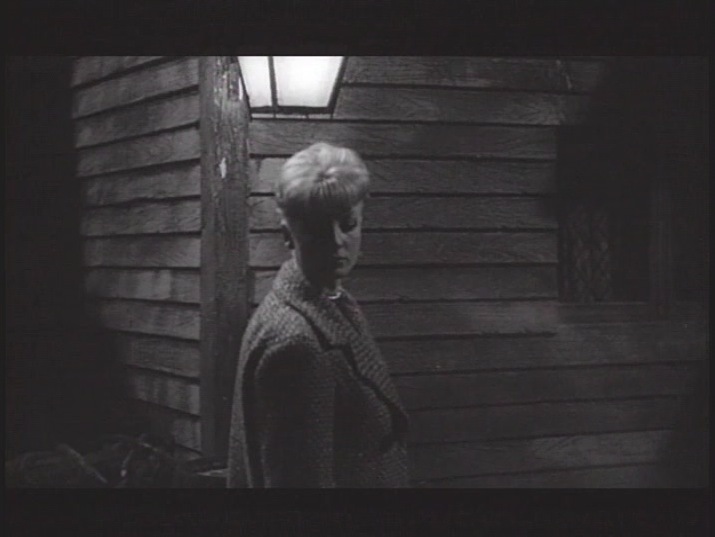 Nan then goes on to the used books and antique shop in town where she meets his granddaughter Patricia who has come to Whitewood to take care of her blind grandfather. 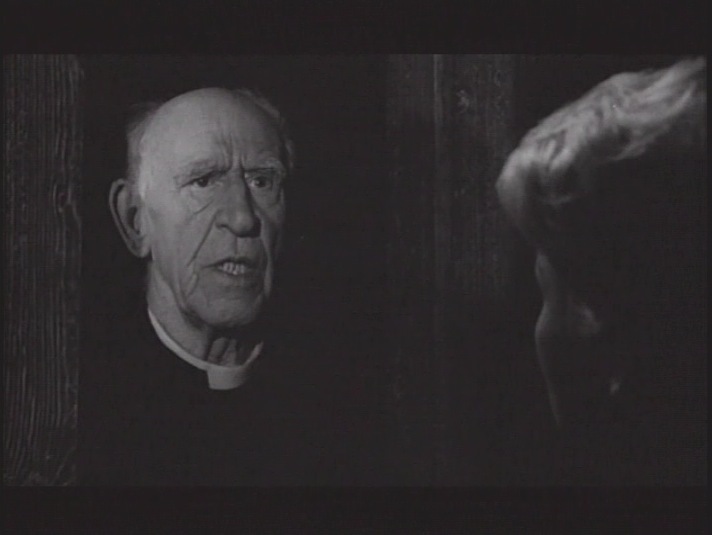 He still lives in the church although he no longer has a congregation. 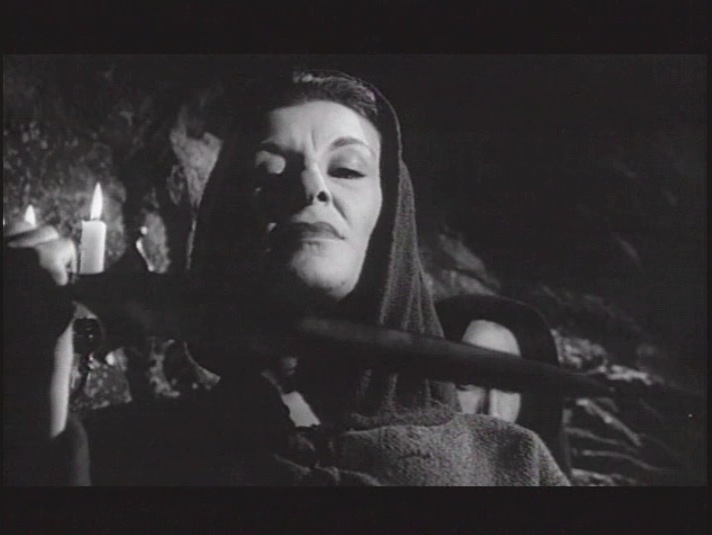 Patricia gives Nan several books on witchcraft to devour. 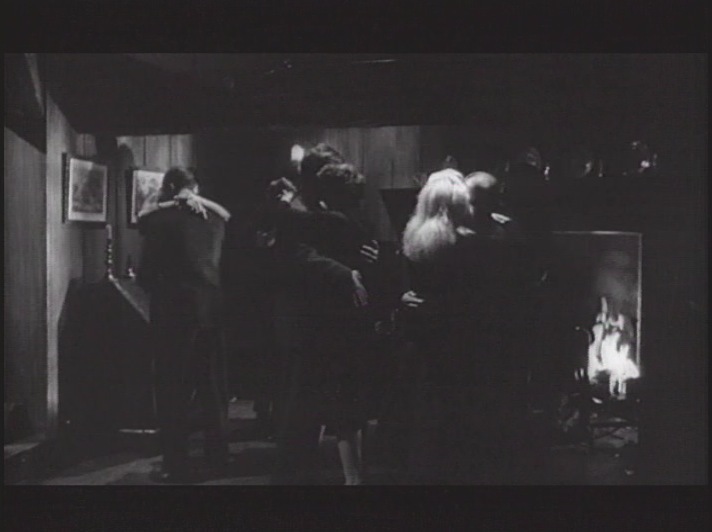 Nan goes back to the Raven’s Inn, gets invited to join the night time dancing to jazz by the fireside, but by the time she gets dressed and opens her door, everyone inexplicably vanishes, evaporating into thin air as if no one was ever treading the floor boards moments earlier. 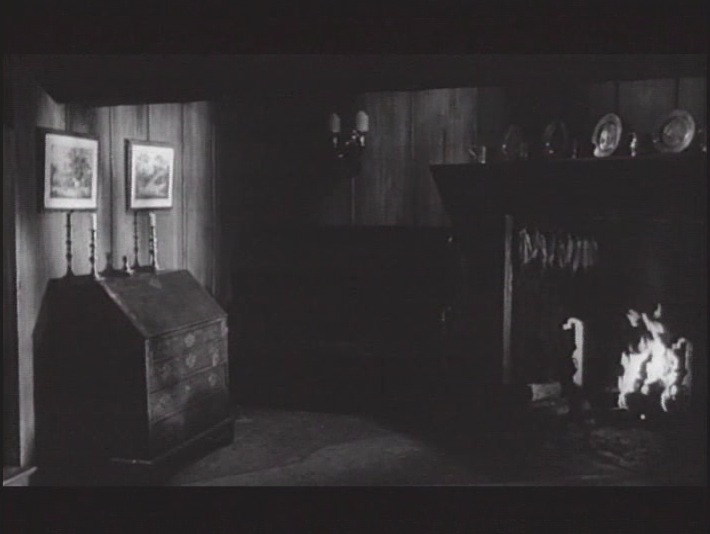 Merely the quiet flickering of the fireplace, the flames casting darting shadows on the rustic walls, and Mrs Newlis lurking about. 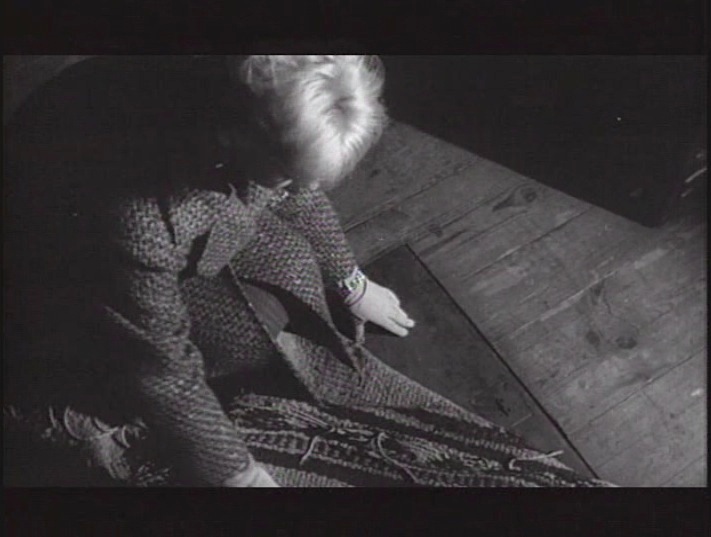 At the stroke of twelve Candlemas Eve, Nan decides to open the trap door hidden under the rug in her room, and go exploring. 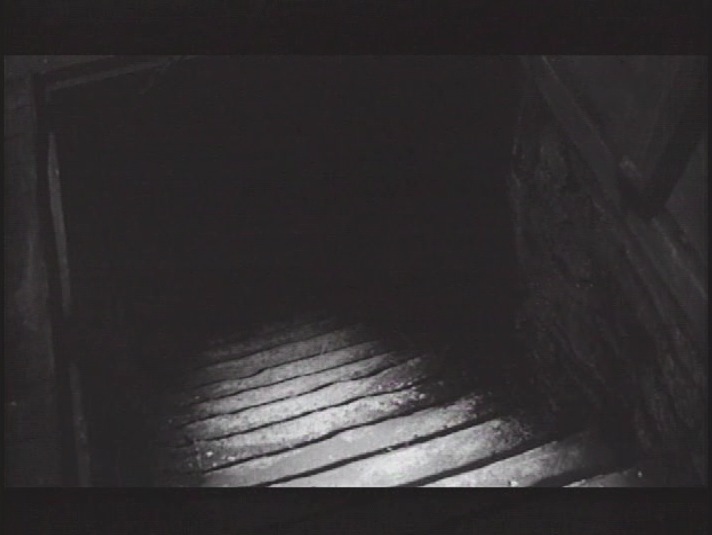 Shining her flashlight into the cobwebby stone stairway that leads into the bowels of the underground tunnels she decides to go further downward. 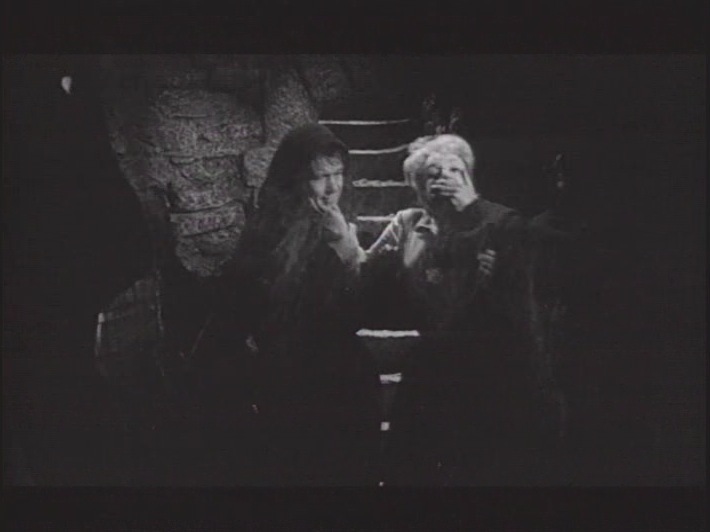 As she descends the stone steps, she is suddenly seized by two robed figures who restrain her and then throw her onto a cement slab while she’s screaming and struggling. 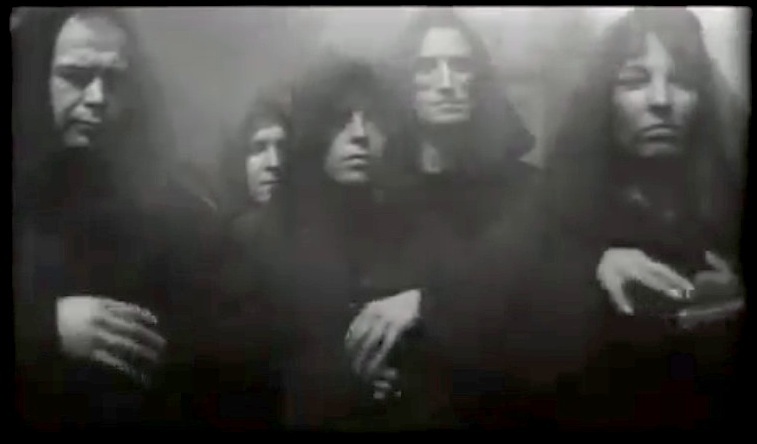 The altar is surrounded by other hooded practitioners of the Satanic Cult. 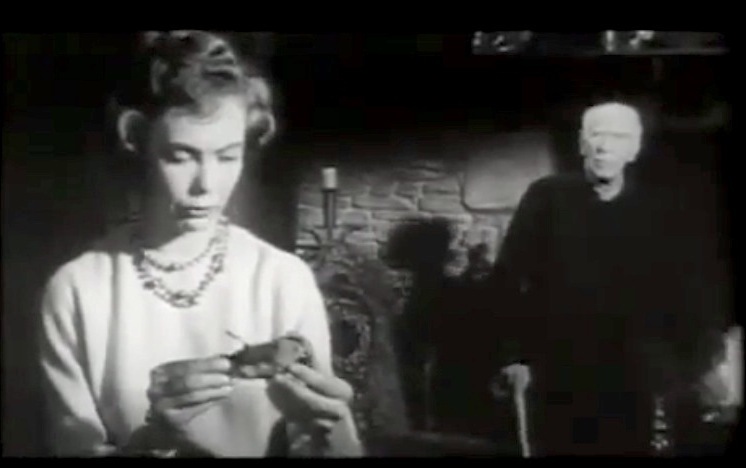 Present are Professor Driscoll and Mrs.Newlis who is holding a very very large butchers knife. 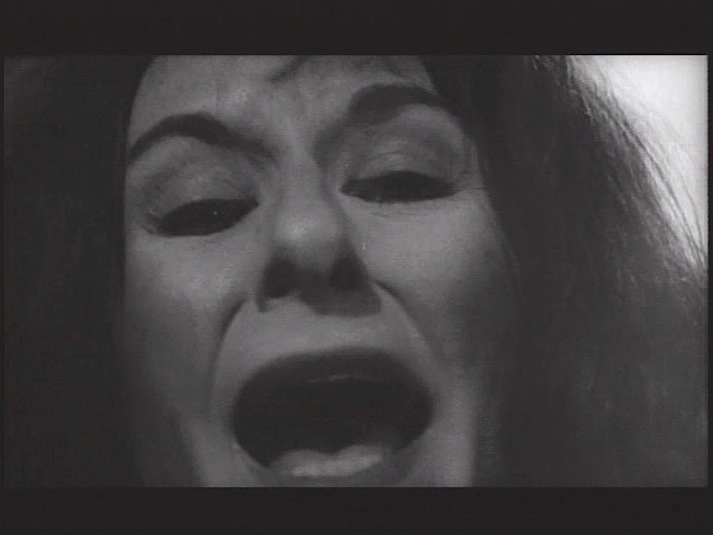 Nan is screaming for her life, but it is too late, she has become their sacrifice to Satan as Mrs Newlis plunges the knife into Nan’s heart. 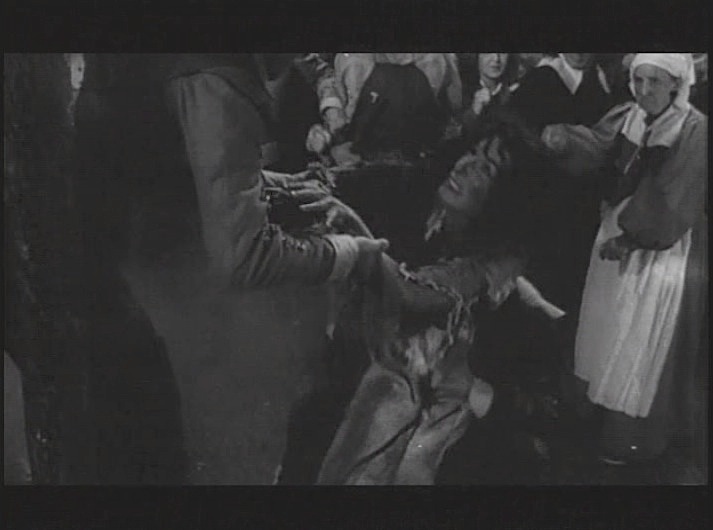 The heroine has just been killed off, leaving Patricia to be the lead woman in peril. 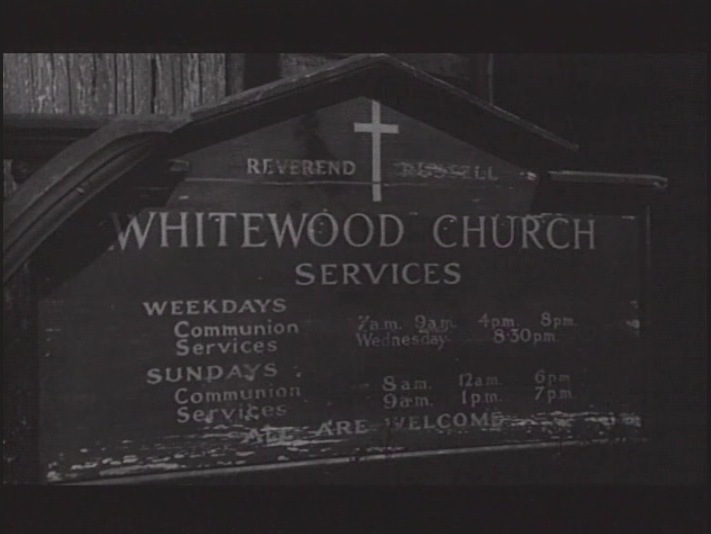 Nan’s boyfriend Bill and Brother Richard journey to the village of Whitewood in search of Nan. 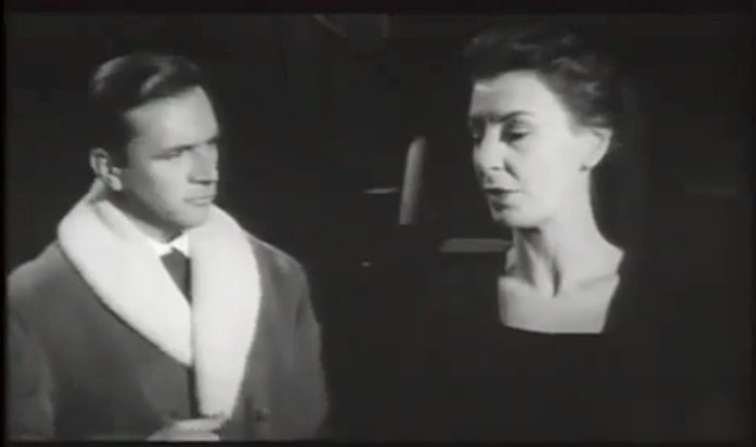 Richard Barlow meets Patricia and takes a liking to her. 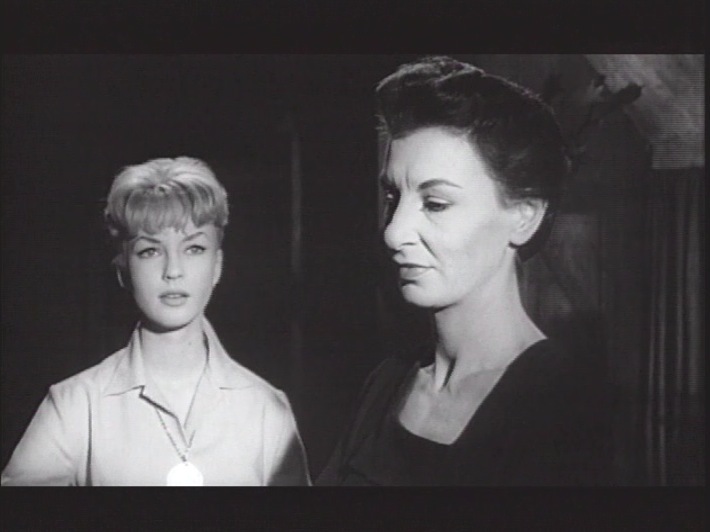 Both want to find out what has happened to the missing Nan. 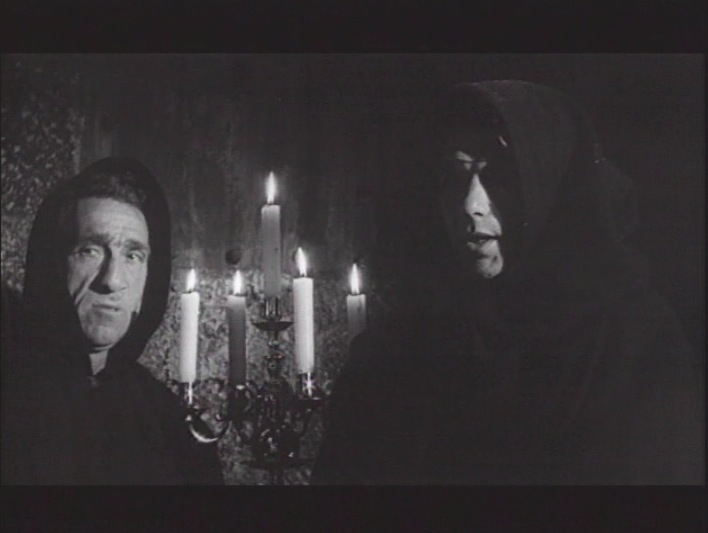 But Richard and Bill both discover the blind minister’s granddaughter is about to be the next sacrifice of the coven. 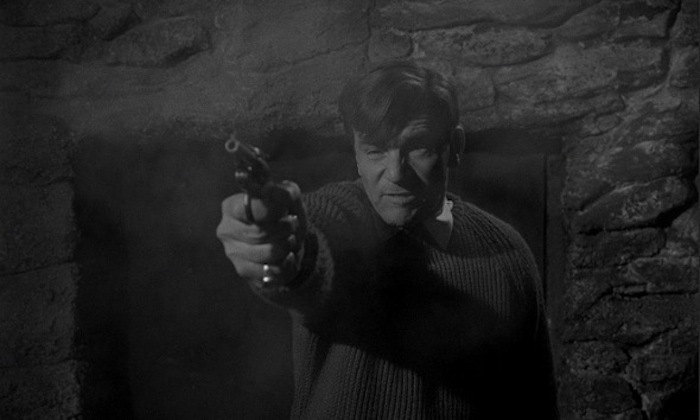 The sinister town folk of the coven are eventually killed by Nan’s boyfriend Bill. 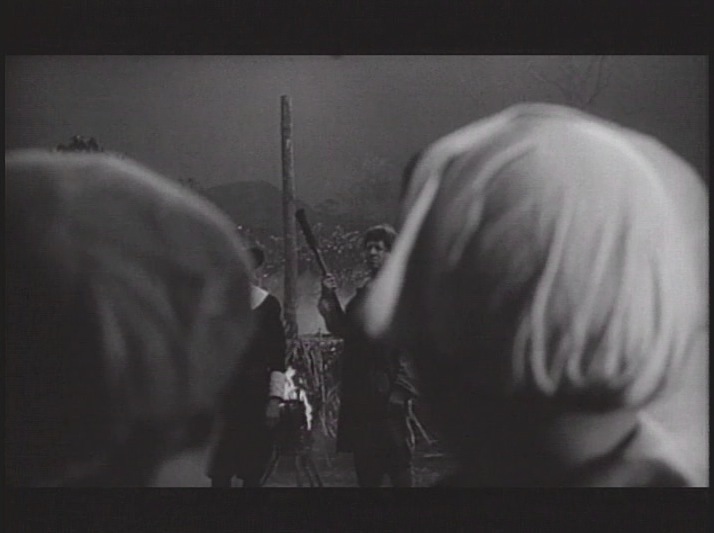 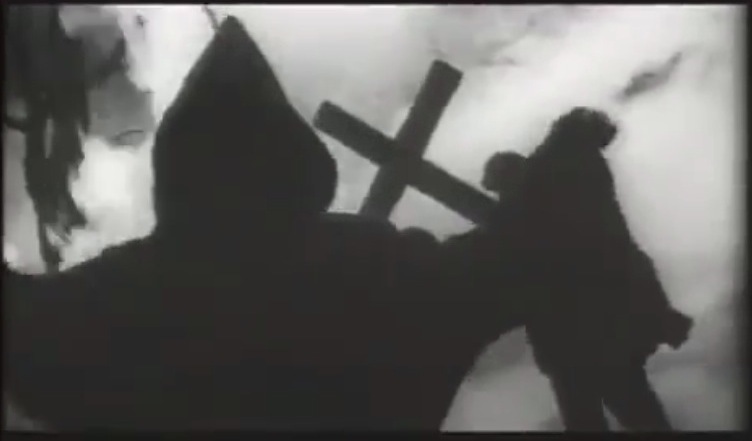 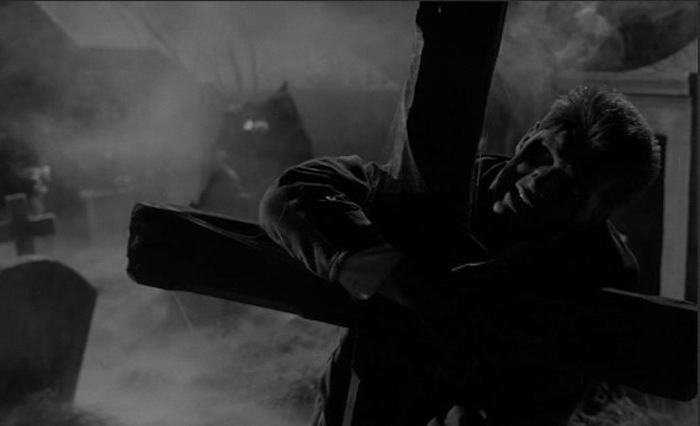 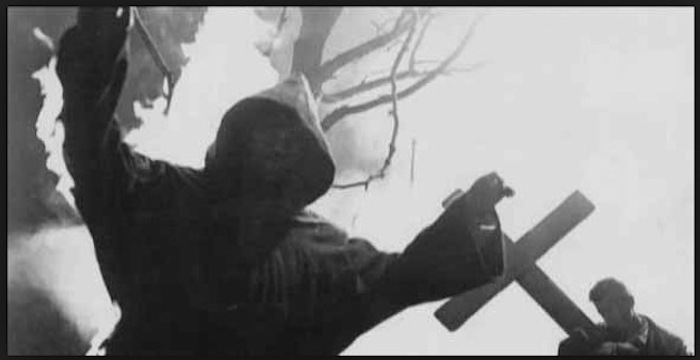 In a very energetic scene he stumbles toward the practitioners of the black arts, dying gradually with a knife in his back he manages to wield a giant cross casting it’s shadow on the members of the coven, burning each one to blasphemous cinders as they burst into flames, all set to marvelous Gregorian chanting. 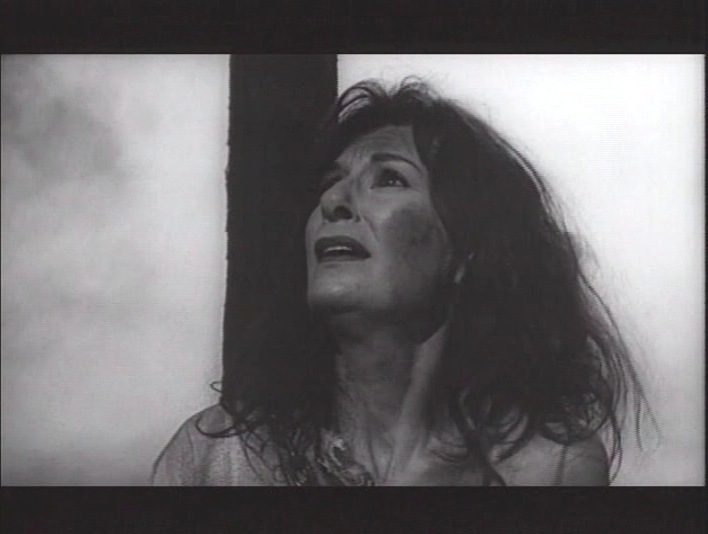 Supposedly the U.S. version where the sorcerer’s death occurs is shortened by at least two whole minutes. 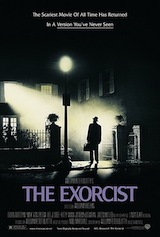 I was too young when I first started watching and re-watching this film to remember now if there are any scenes missing. 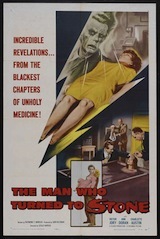 If you haven’t seen this apparently obscure gem, I won’t give away quite a nice touch at the end. 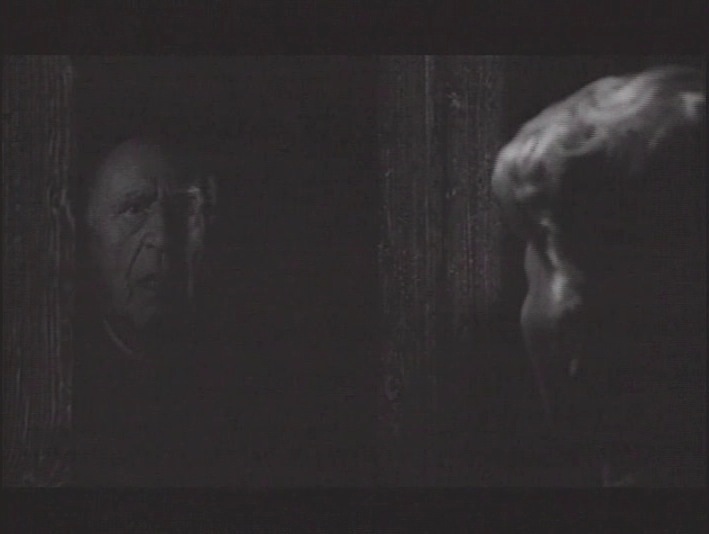 Although I’ve summed up the gist of the plot, I don’t believe I would have ruined it for you, as you must experience it’s eerie atmospherics and it’s truly creepy environment for yourselves. 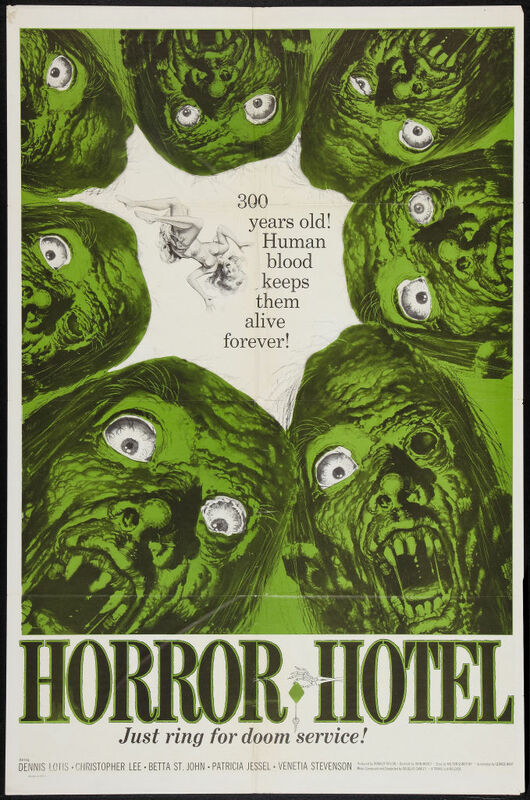 Horror Hotel is suspenseful, imaginative and though it’s a low budget fright flick it possesses an eerie quality that maintains it’s chills even upon viewing today. 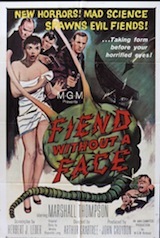 It had a long run on Chanel 5’s Creature Features which is how I got to watch it over and over again when I was just a little MonsterGirl, as well as it being part of the line up on Chanel 9’s fantastic Fright Night syndicated in NY. 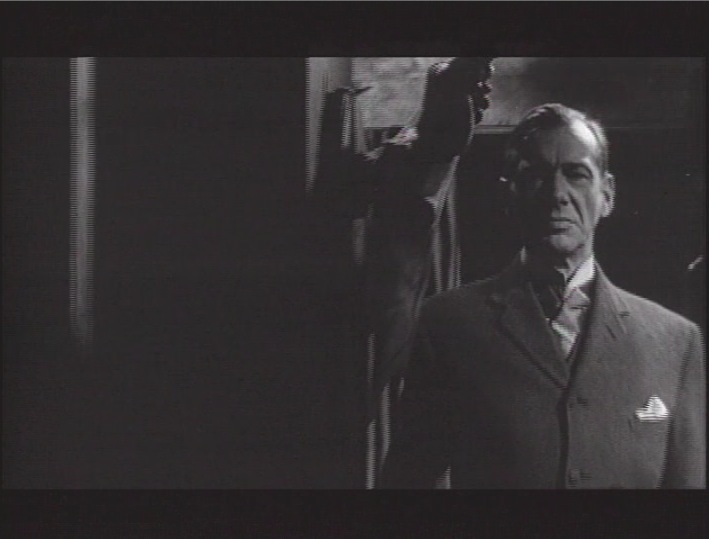 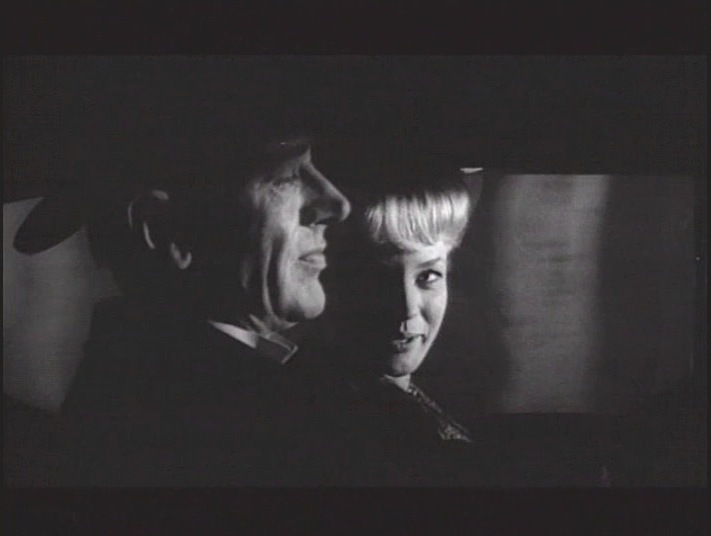 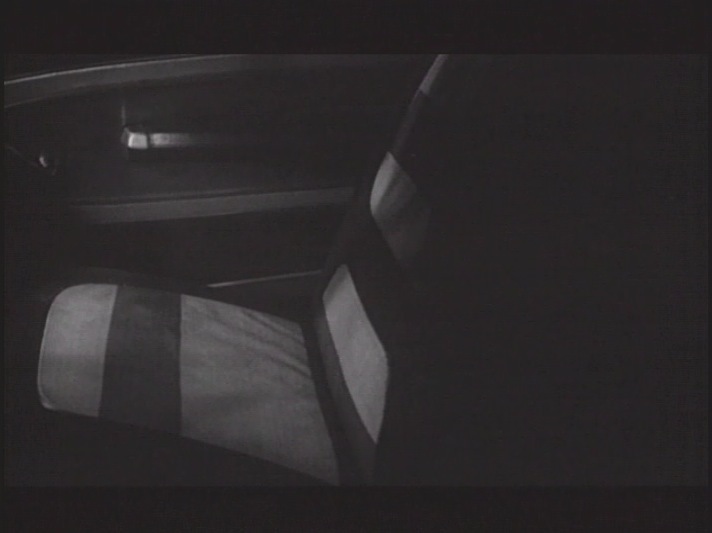 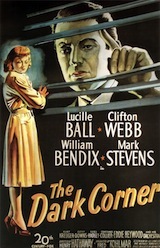 The film’s director John Llewelyn Moxey brilliantly creates a mood of foreboding that endures throughout the entire film. 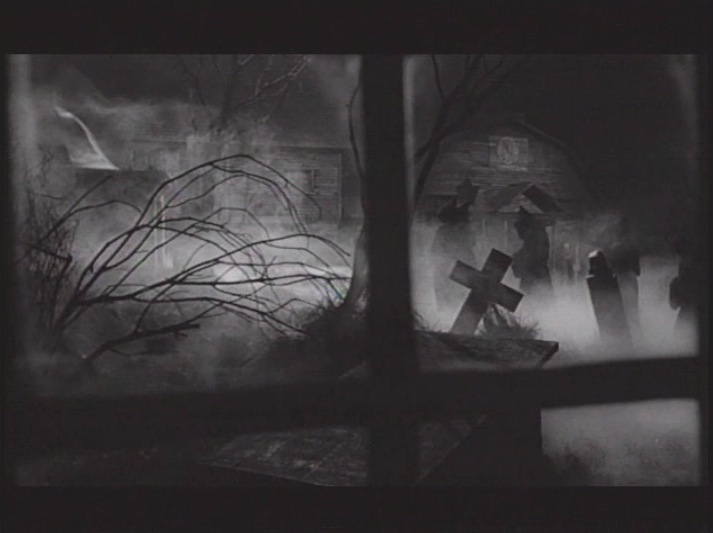 He just has a knack for creating creepy atmospheres that are not at all cheesy but quite effectively eerie and inspire dread. 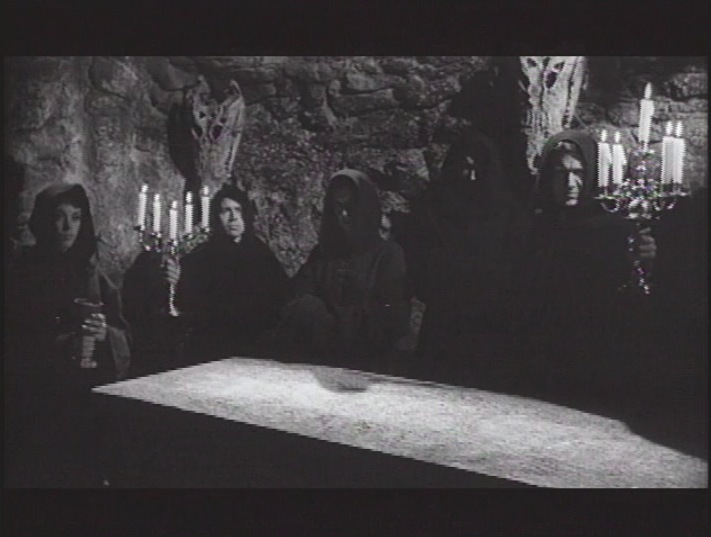 The film is saturated with ghostly shadows, menacing figures, deathly fog, the ambiance of Gregorian chanting and excellent performances by the entire cast. 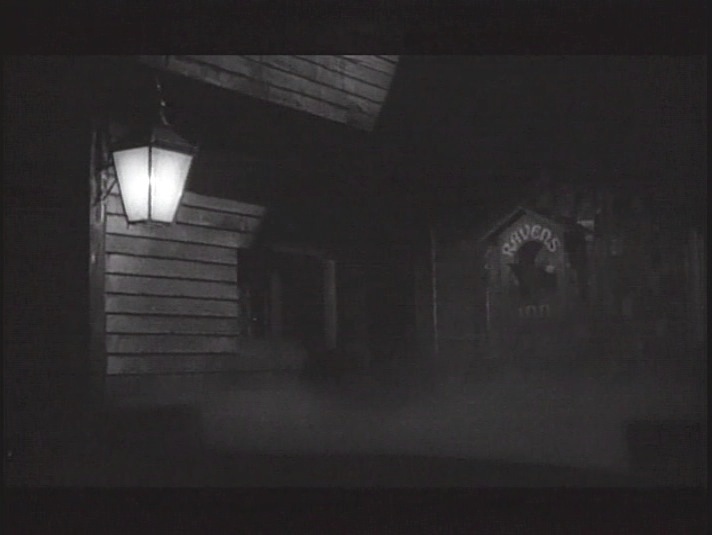 Do me a favor, if a professor of yours recommends going to a small town to do research, make sure you check into a Best Western, and keep your eye out for fog and people dressed in outmoded clothing who don’t seem to be of this world. 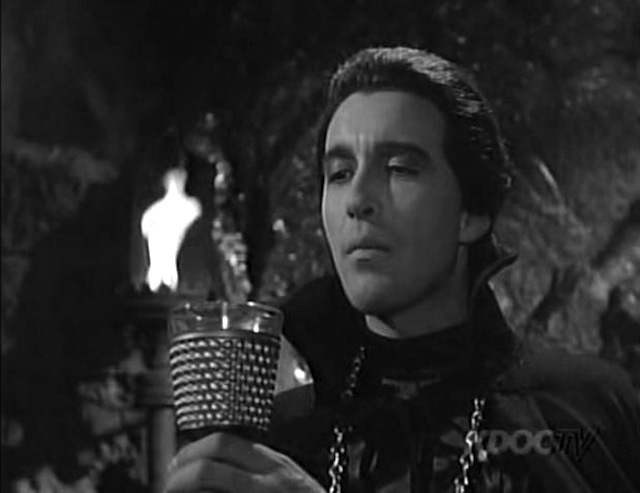 I agree that it’s a well-made nifty little chiller that deserves more recognition. 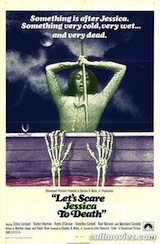 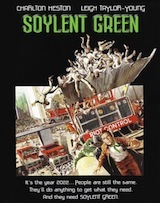 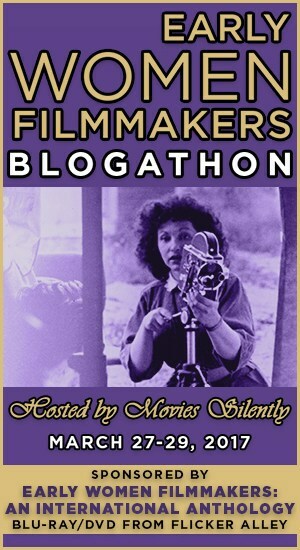 (By the way, I love the poster’s tag line…). 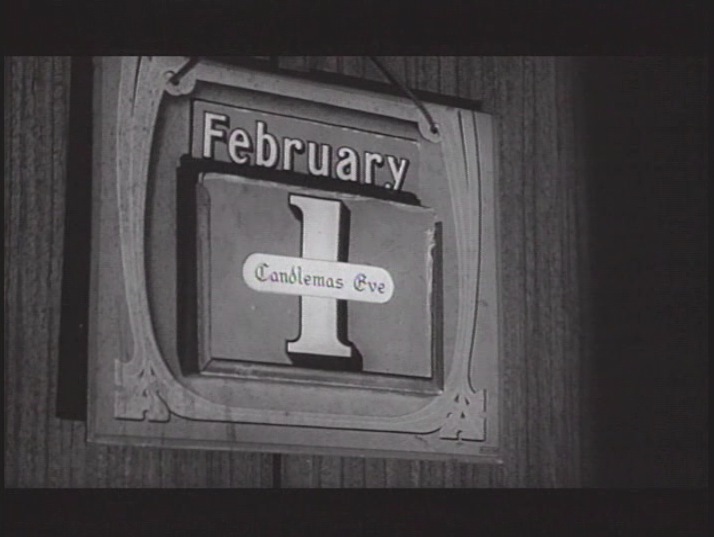 As you pointed out, its similarity to PSYCHO in terms of a key plot device, is fascinating–especially considering that both films were made in the same year. 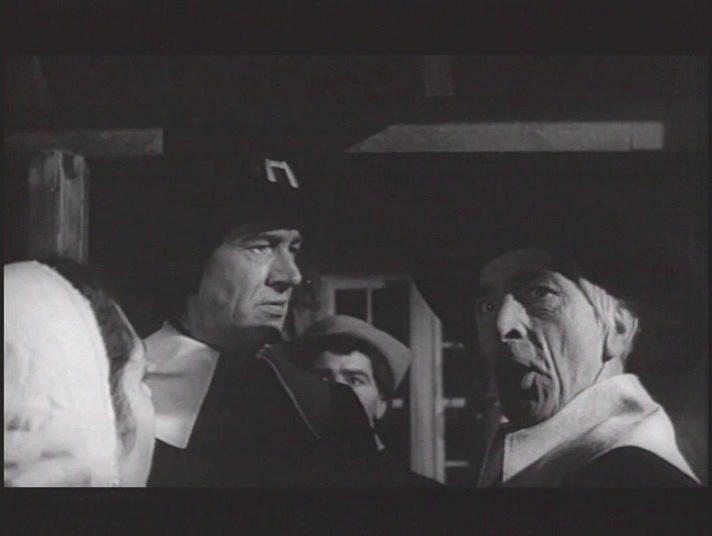 I knew an old woman once who claimed to have seen the ghost of a child who lived during the Salem witch trials. 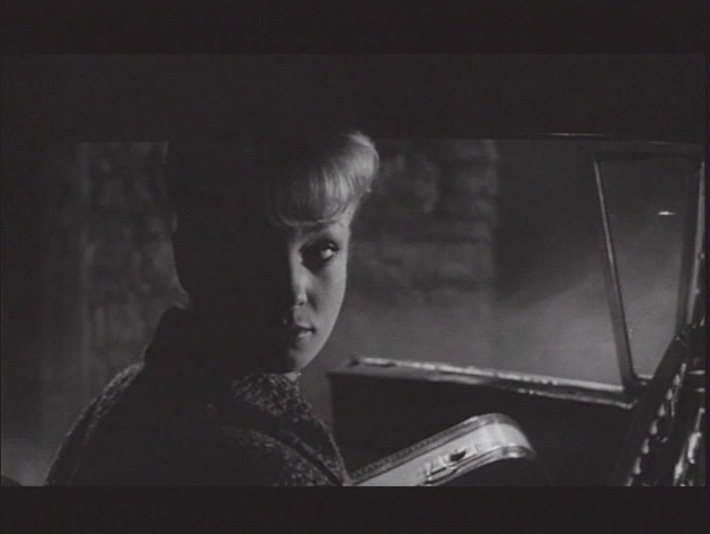 It was a life-changing experience for her, even though at the time she first saw it she didn’t know for sure that it was from that era. 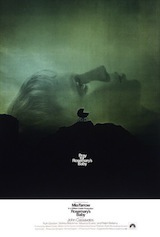 She found evidence later on that the child did in fact exist. 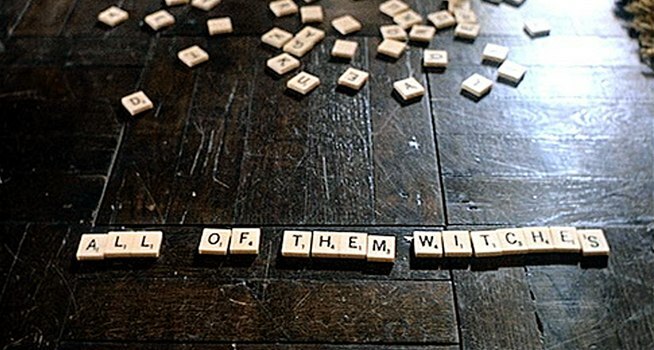 So make of that what you will. 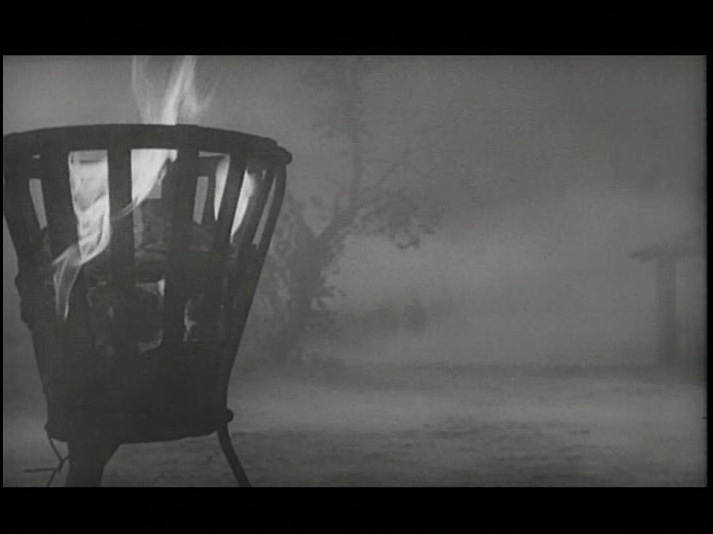 That witch-burning scene looks pretty intense. 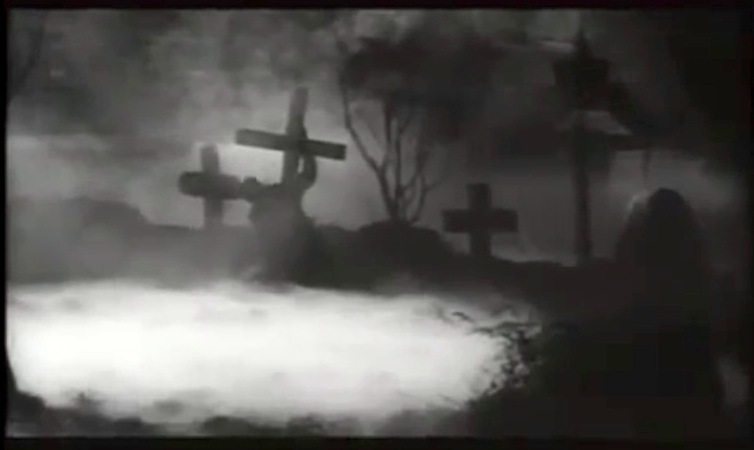 I’m fascinated by true ghost stories and tales of supernatural happenings. 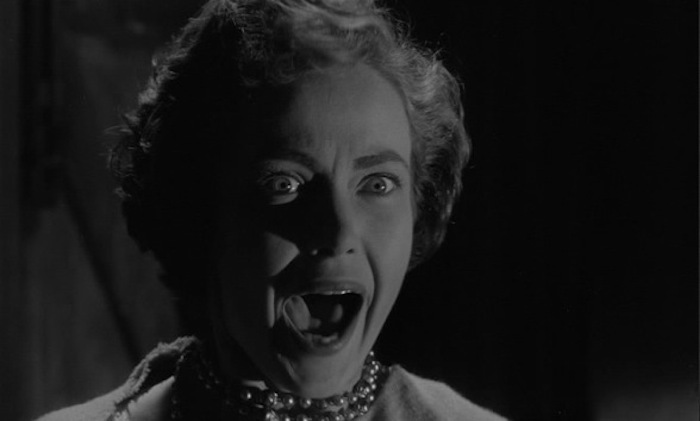 It’s why I gravitate toward more of the horror oriented genres. 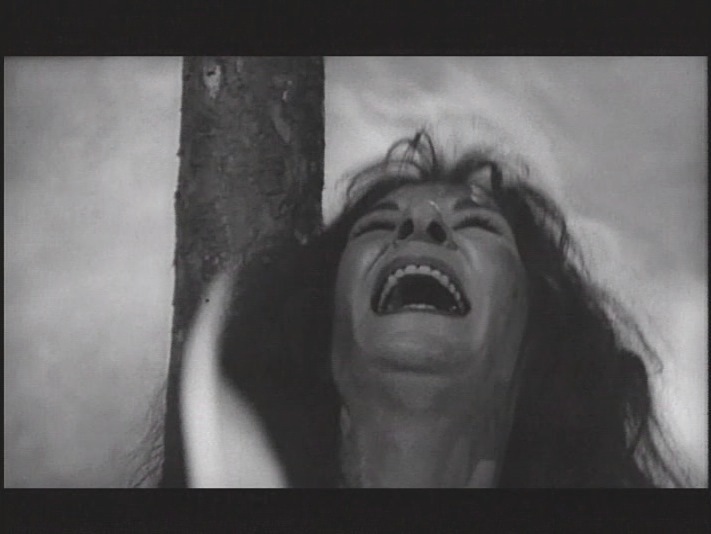 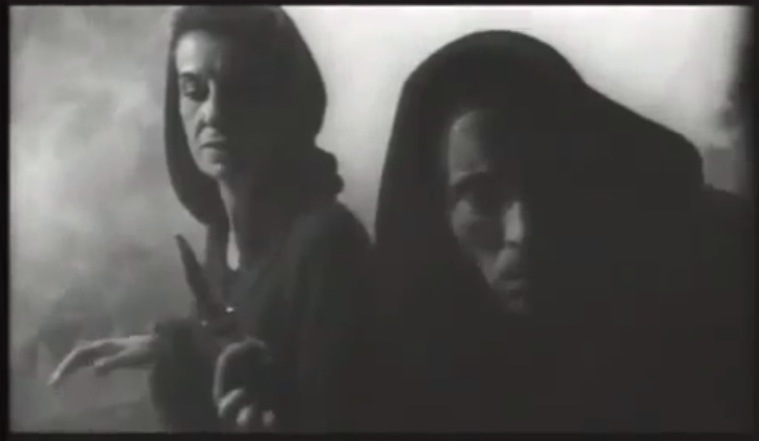 Your story about the old woman gave me shivers… isn’t the witch burning segment quite intense for it’s day. 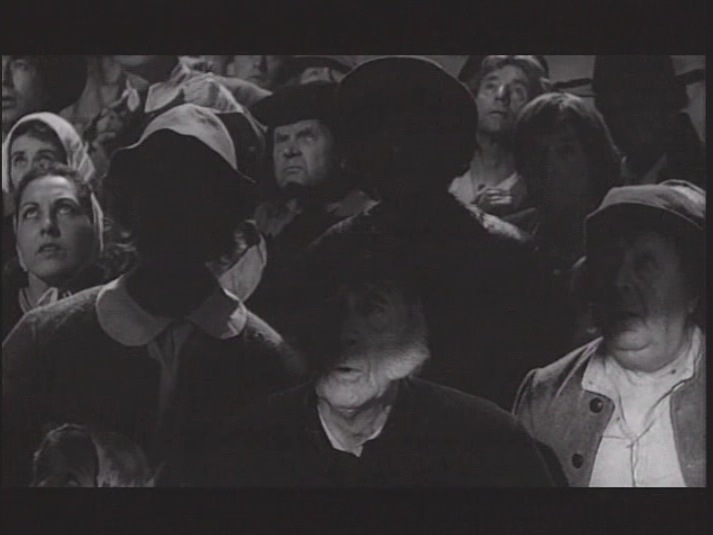 The focus on the crowd’s expressions were a very artistic edge in my opinion. 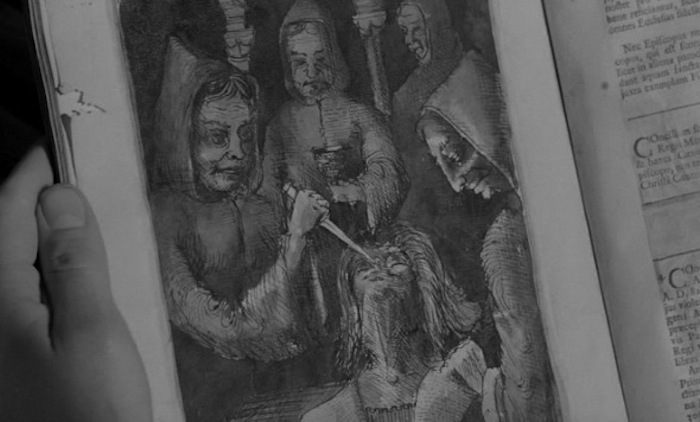 It added an eerie element of grotesqueness to the scene.